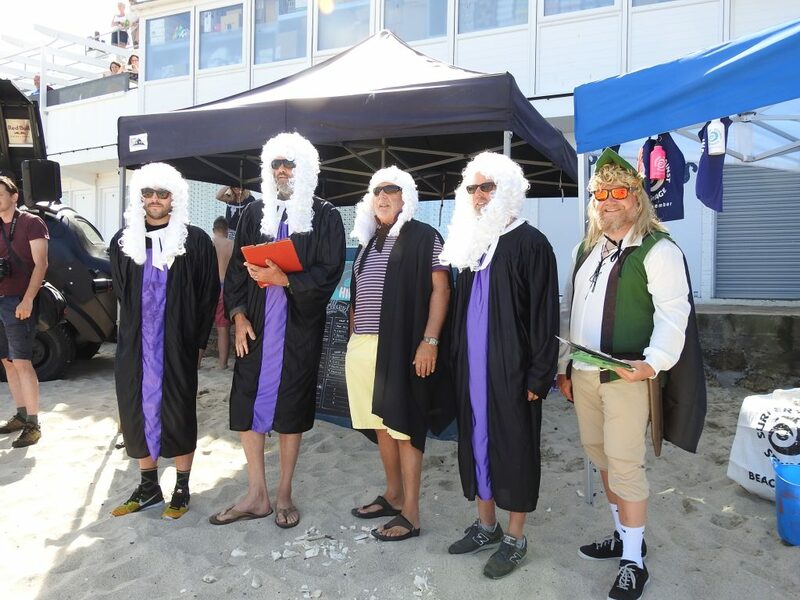 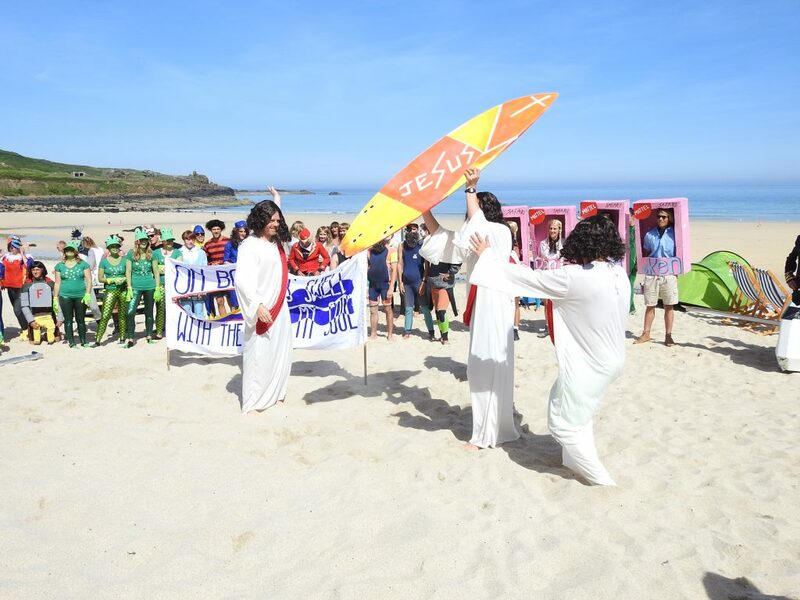 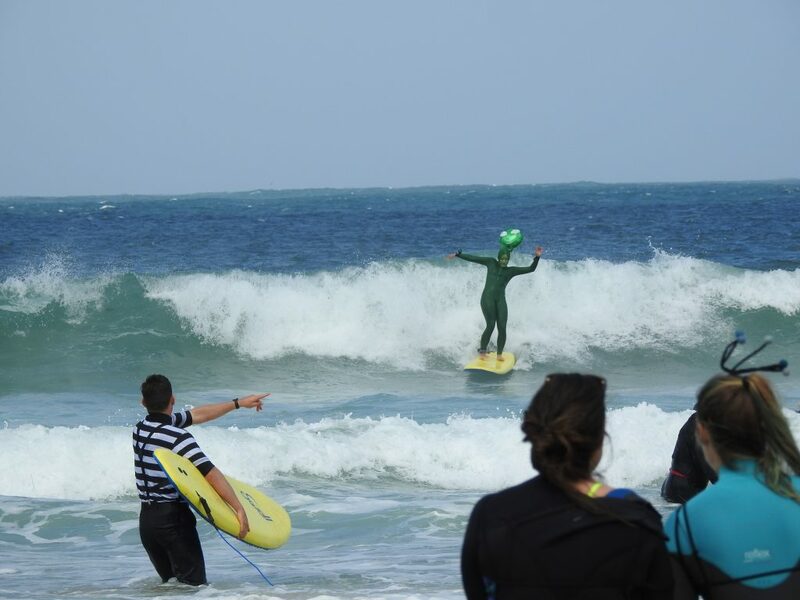 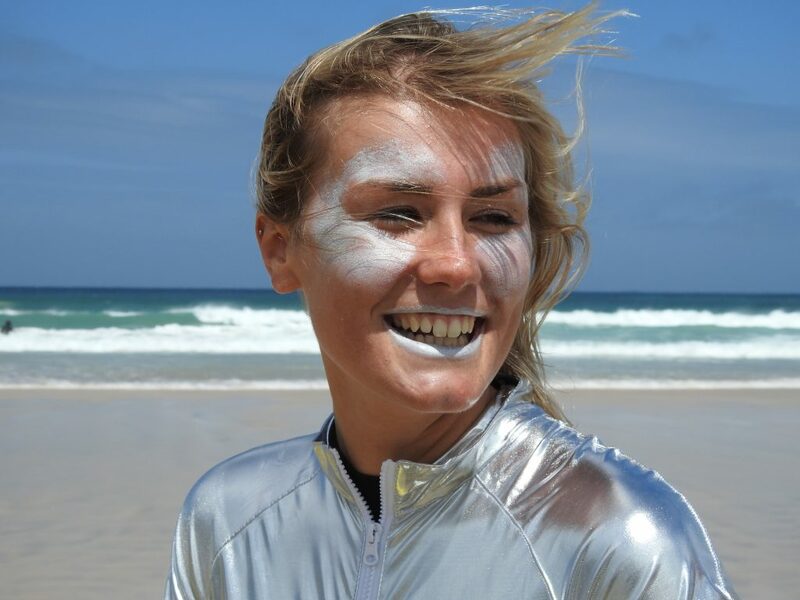 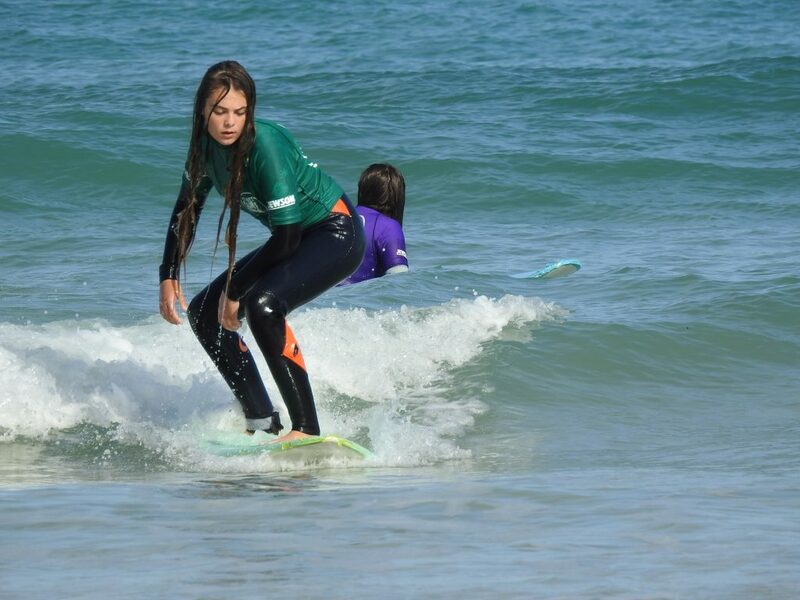 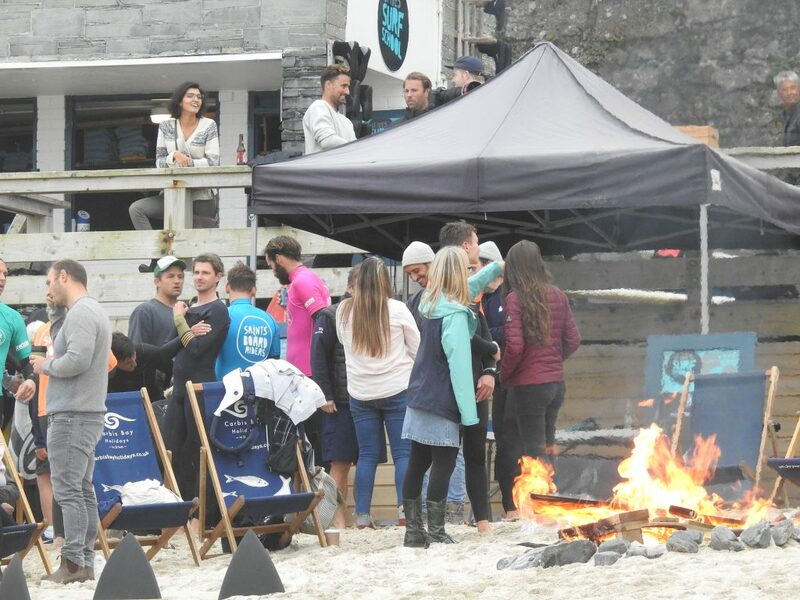 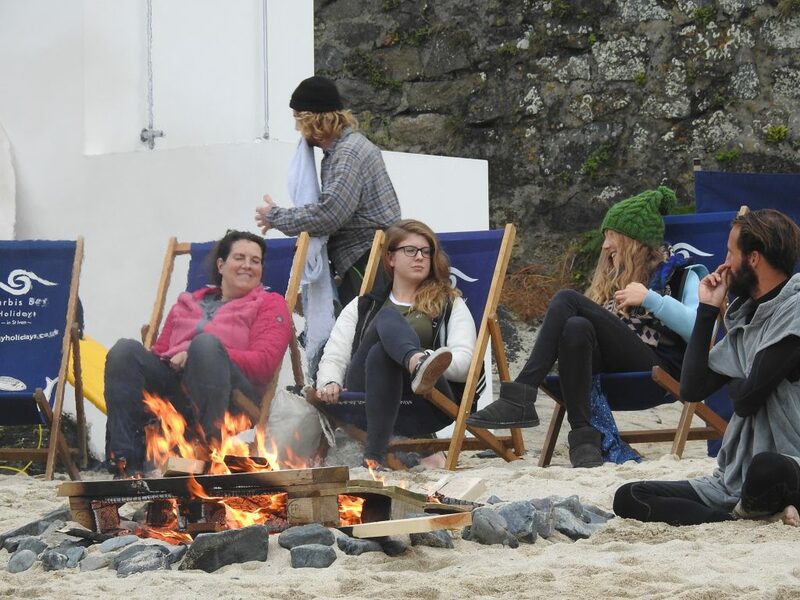 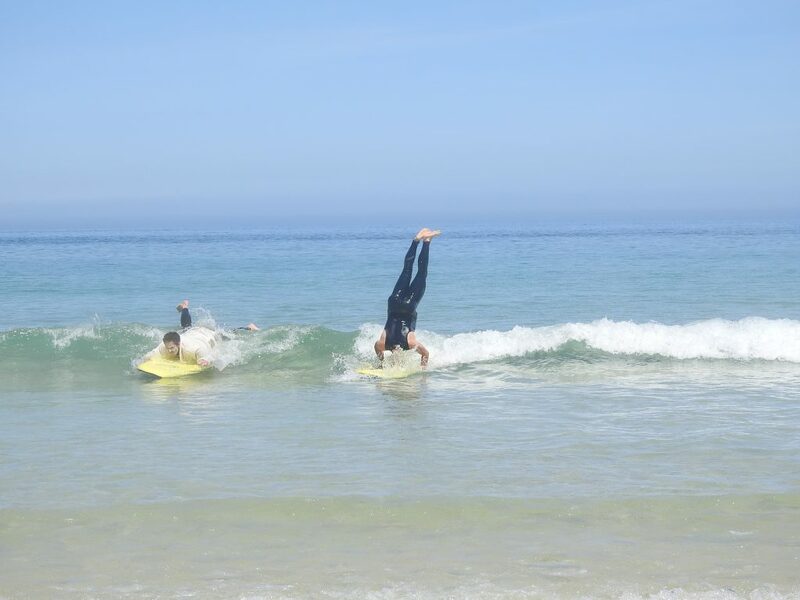 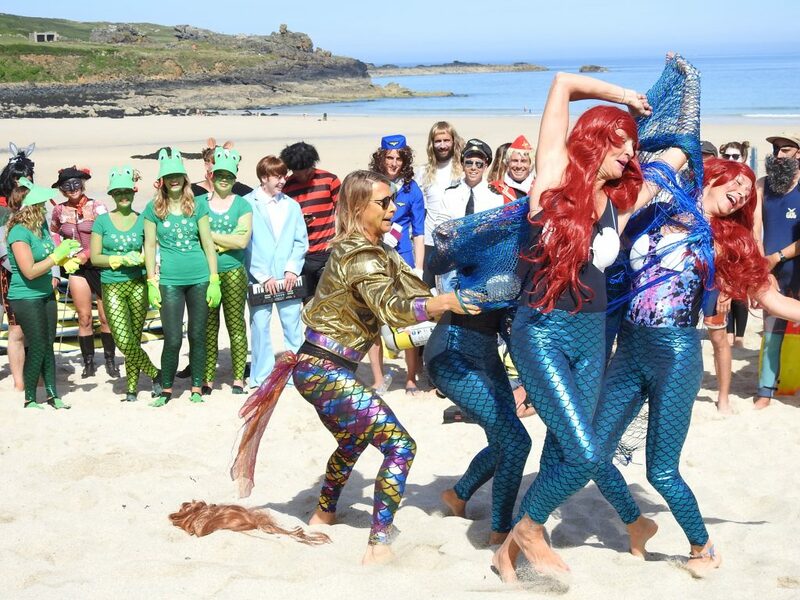 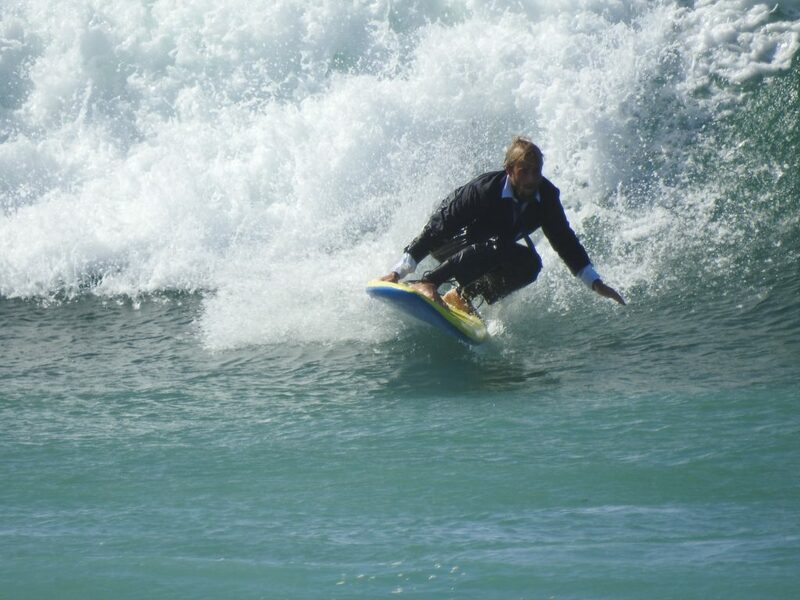 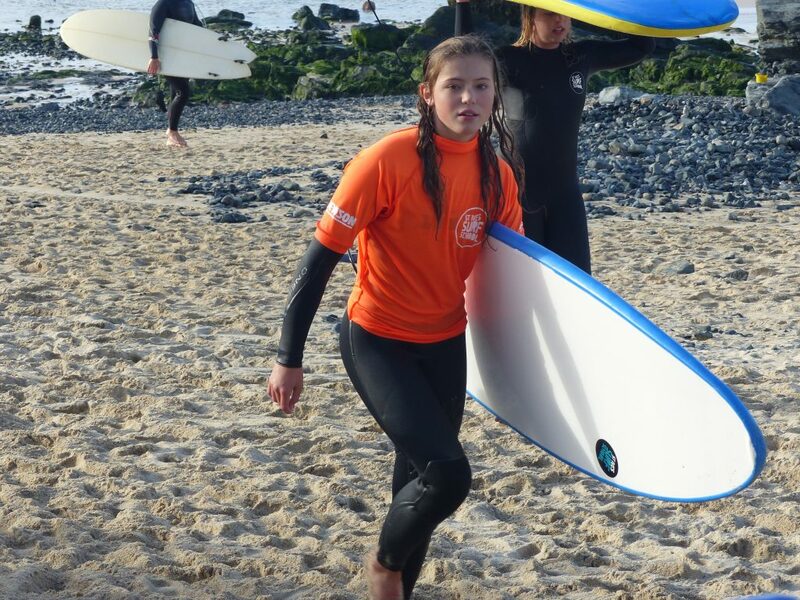 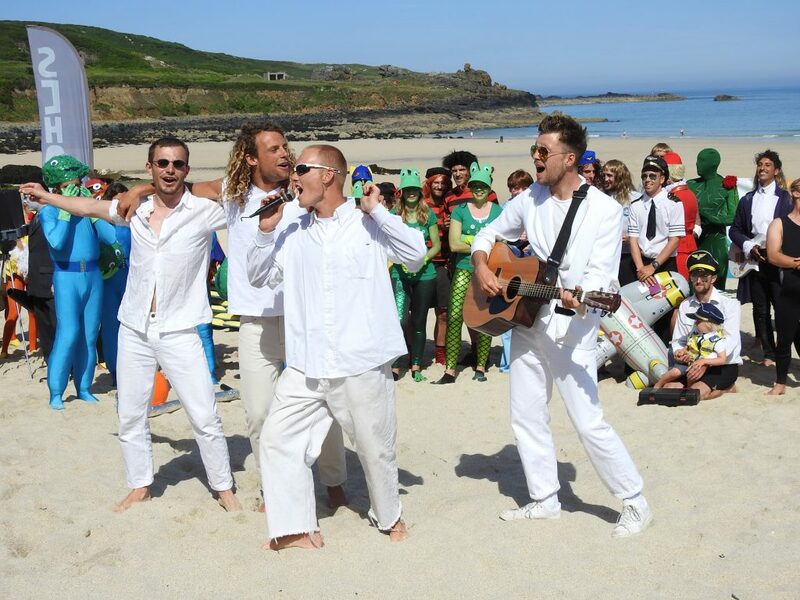 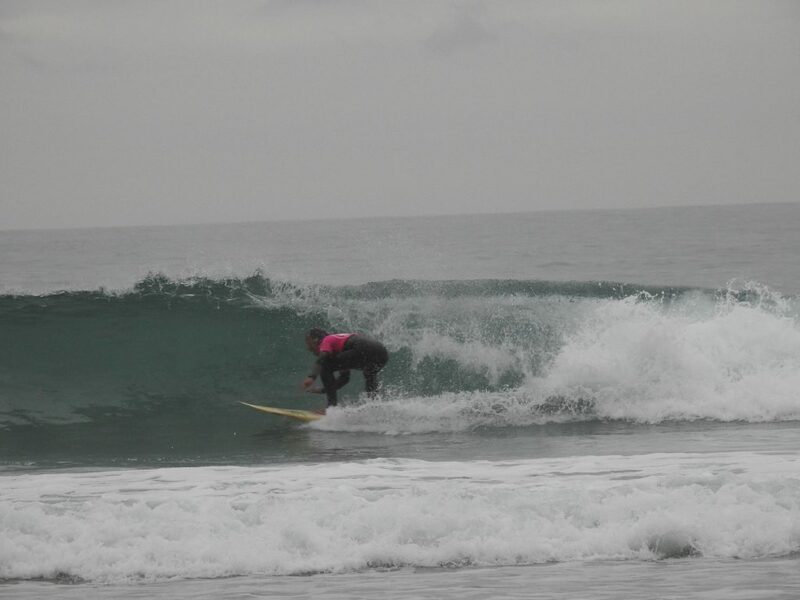 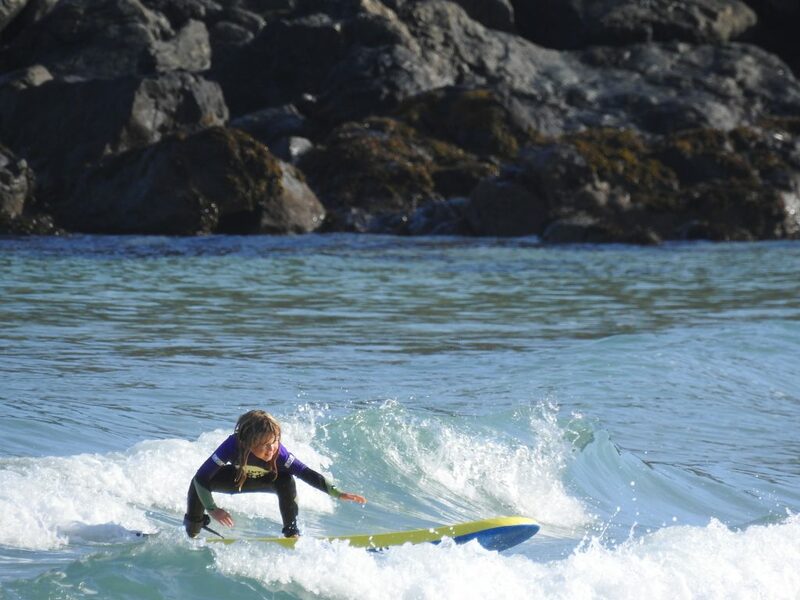 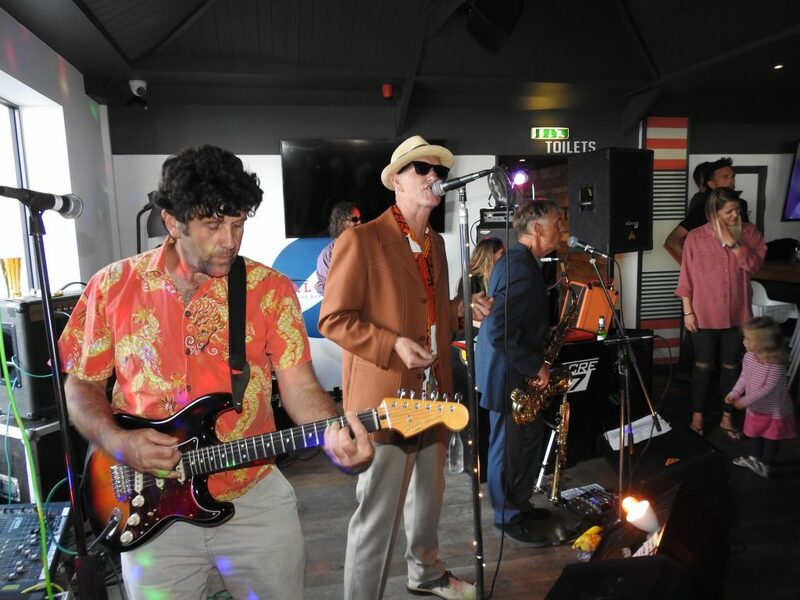 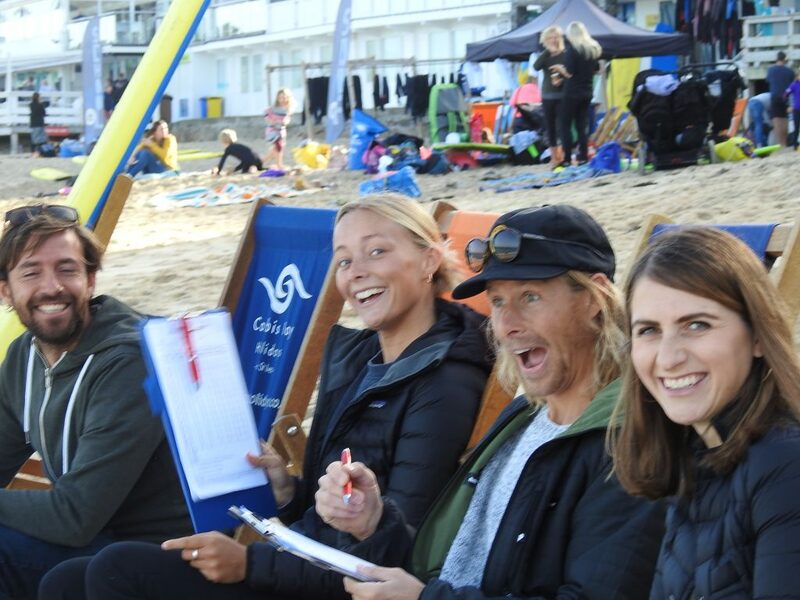 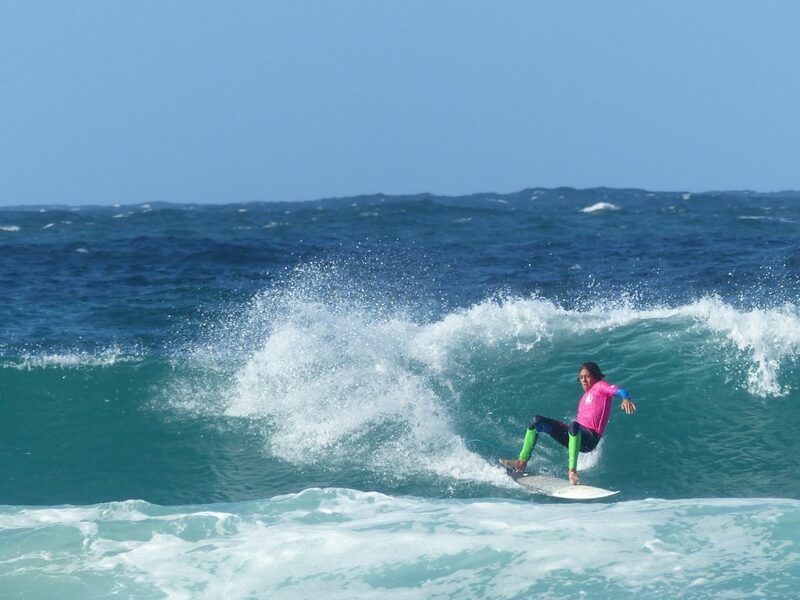 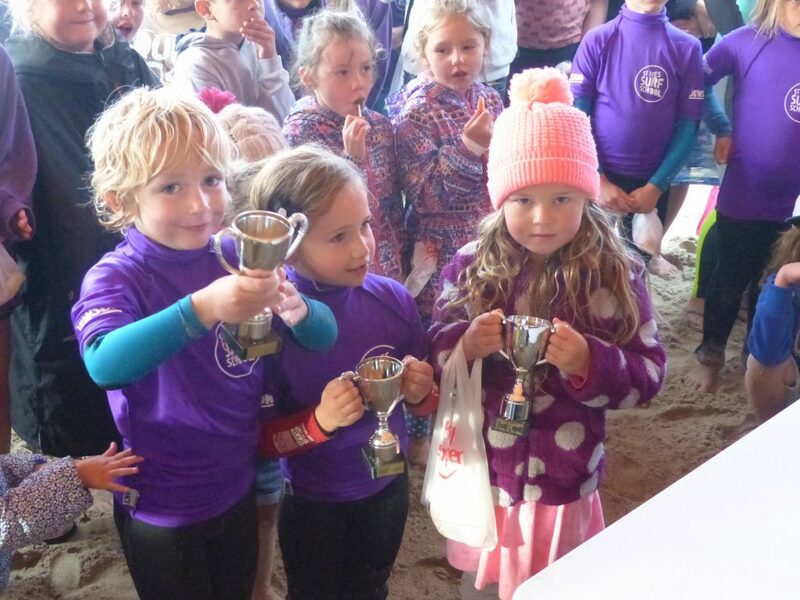 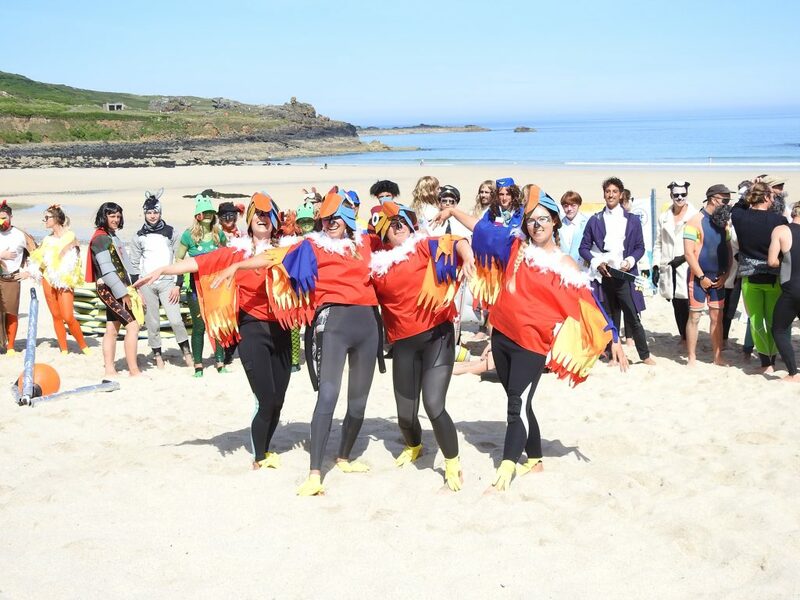 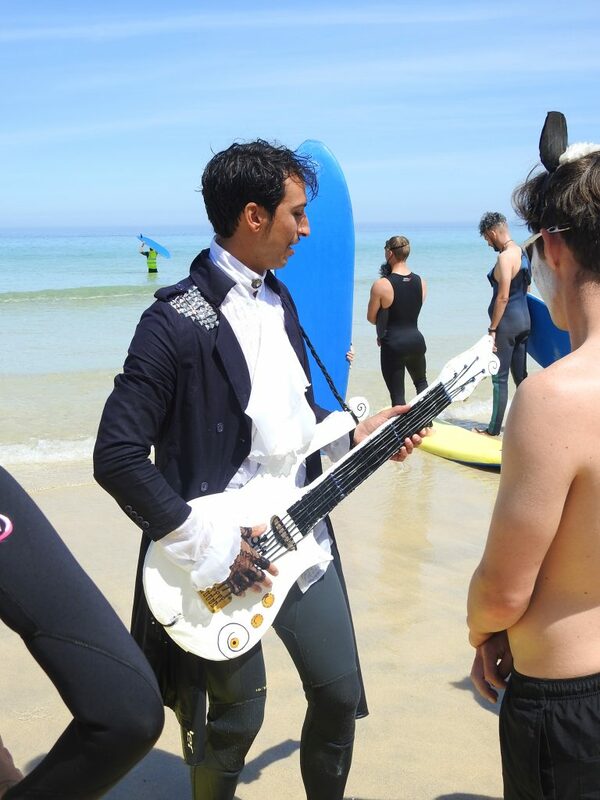 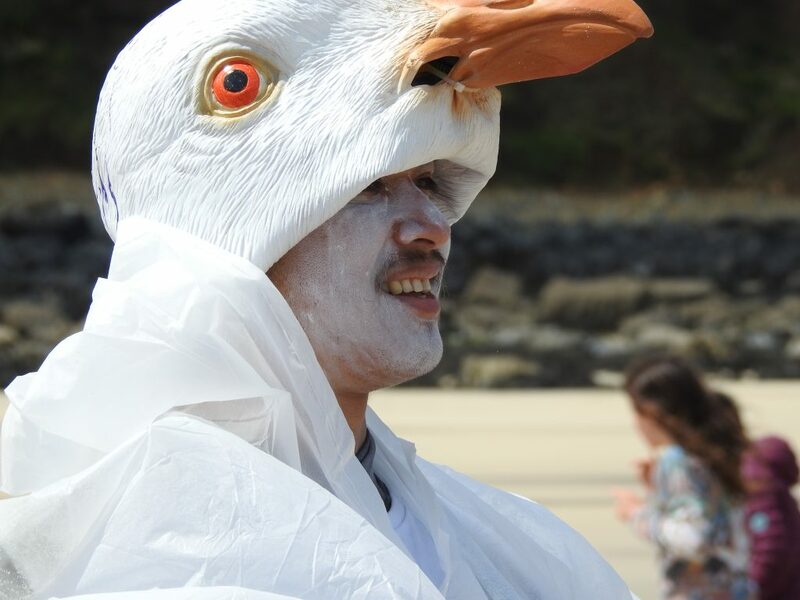 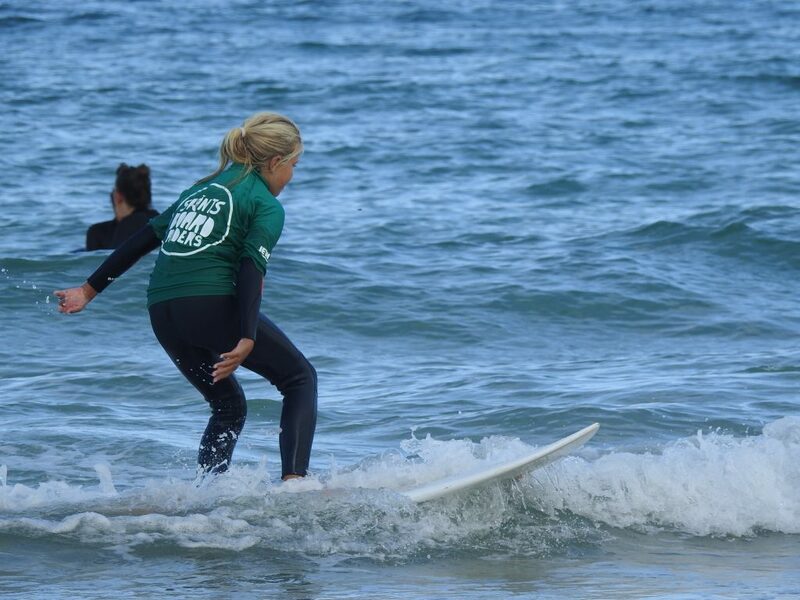 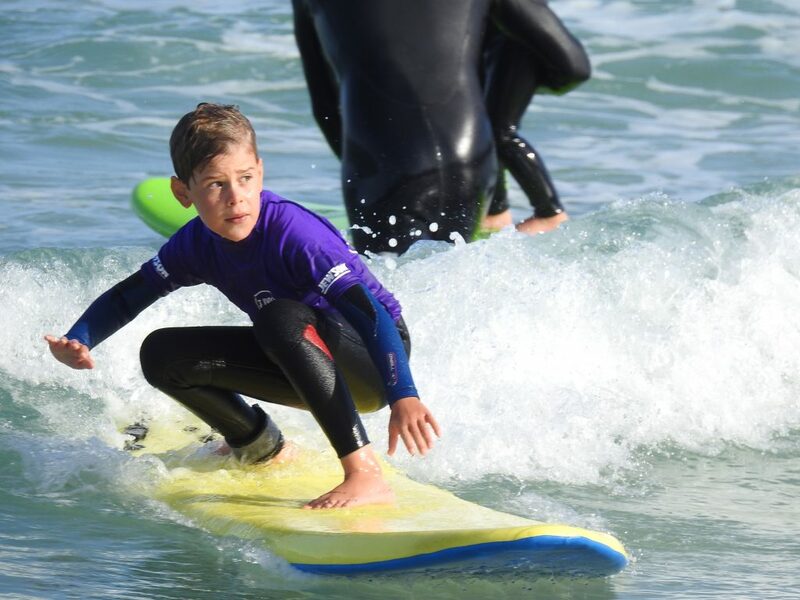 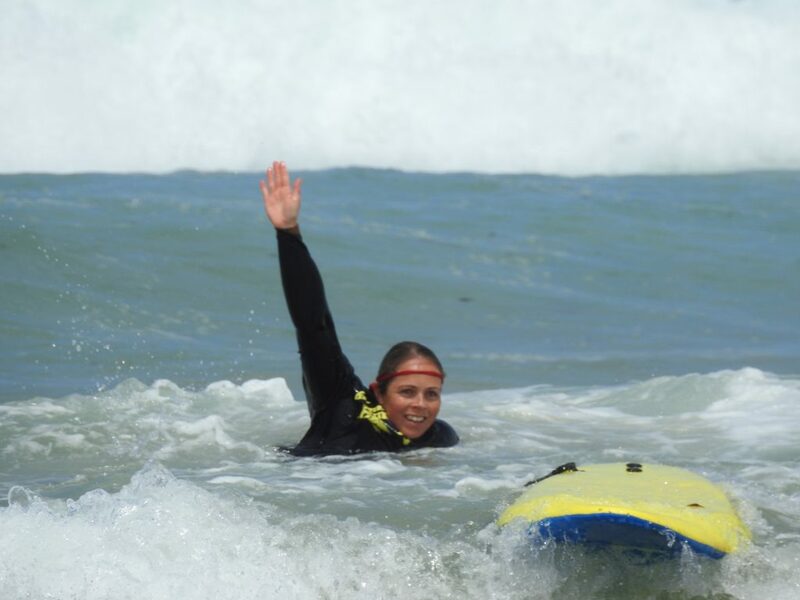 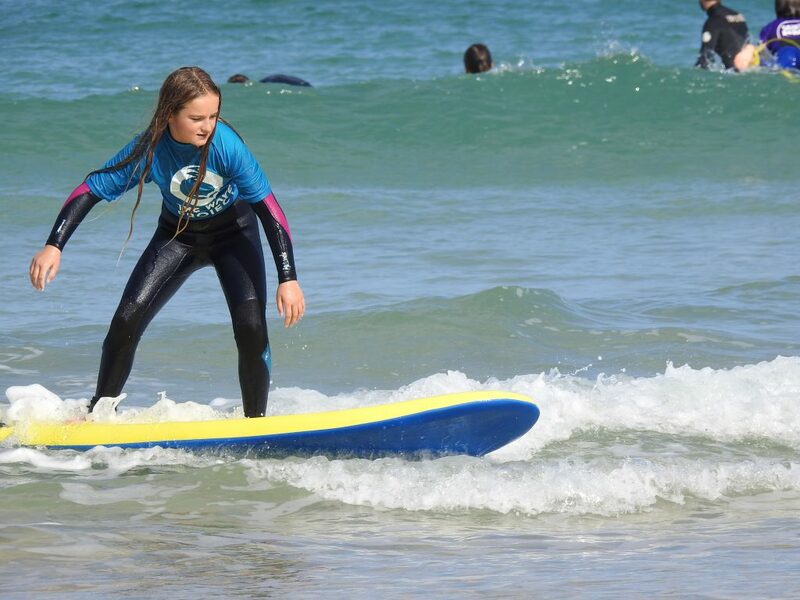 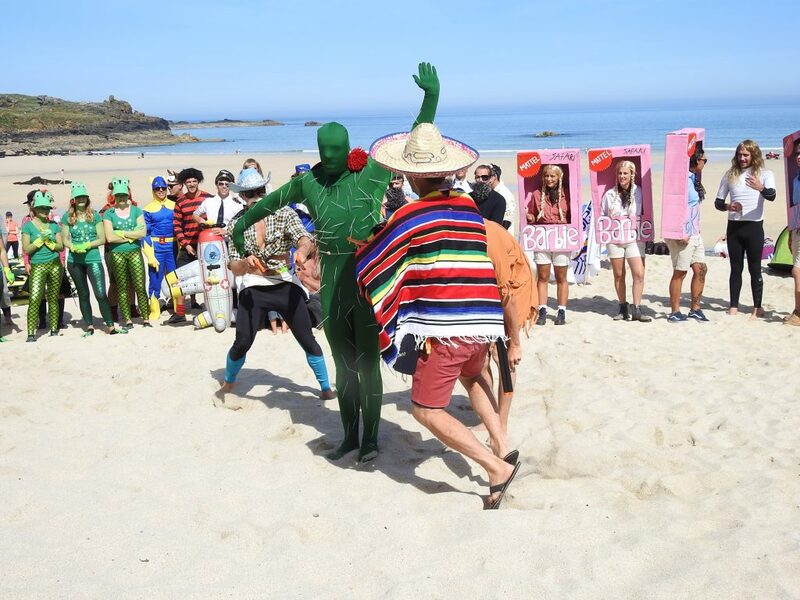 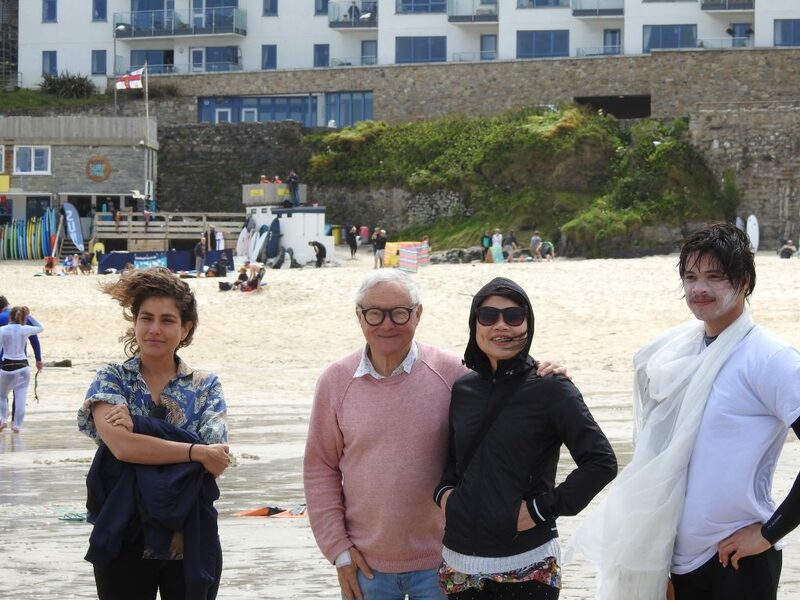 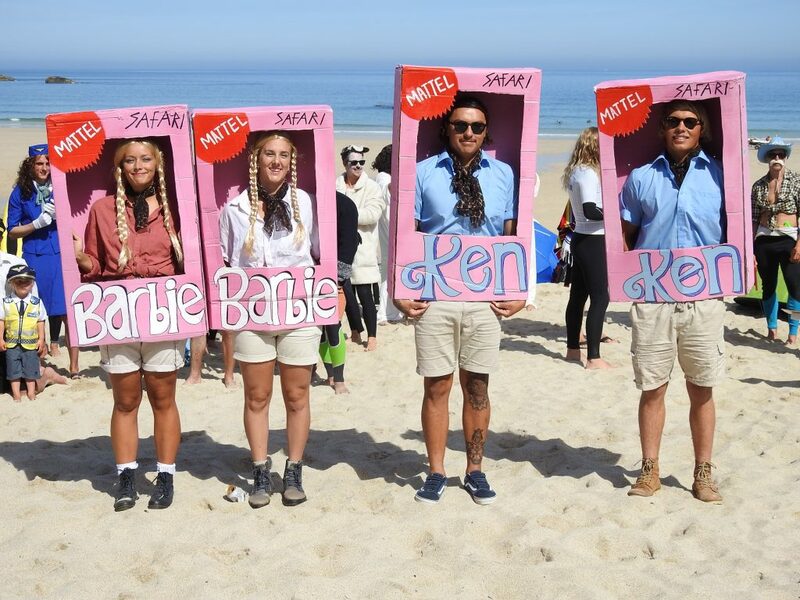 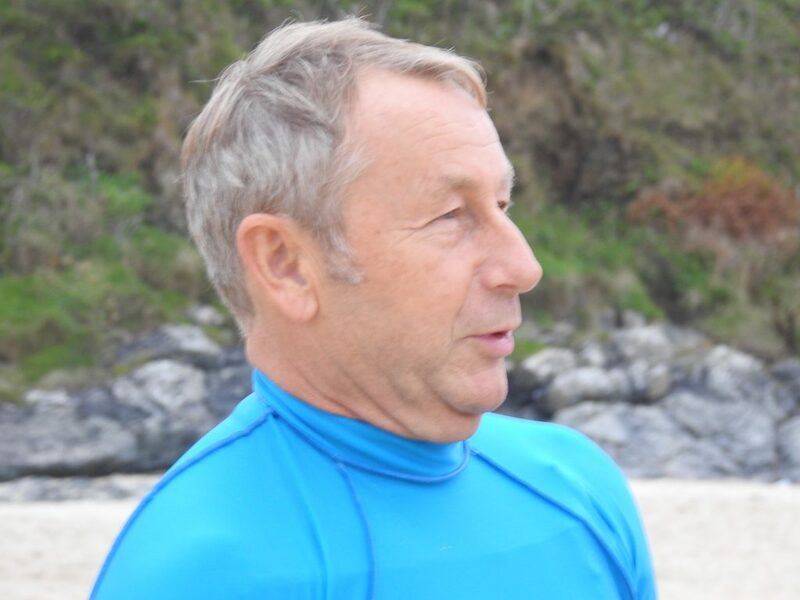 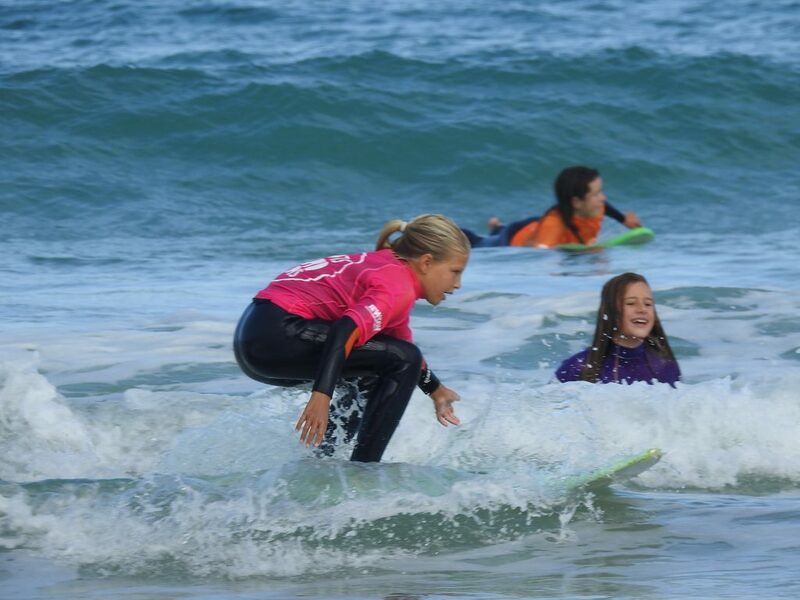 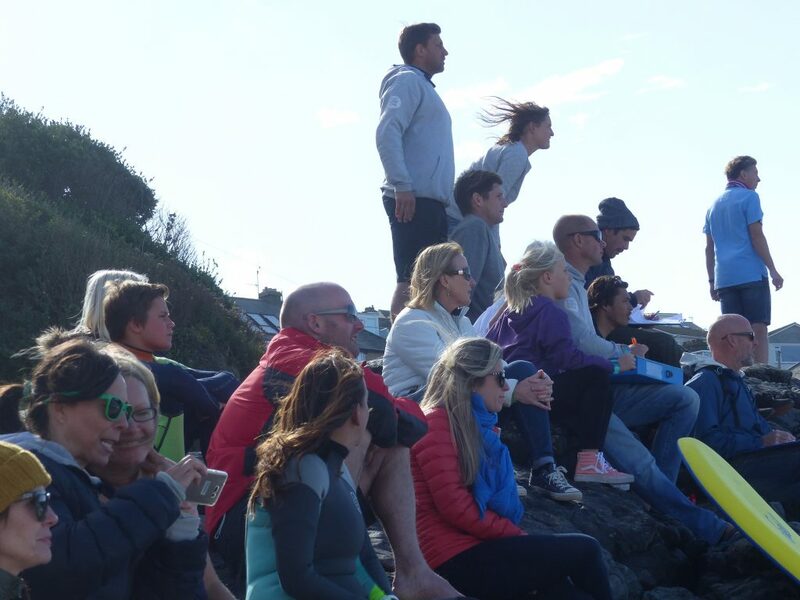 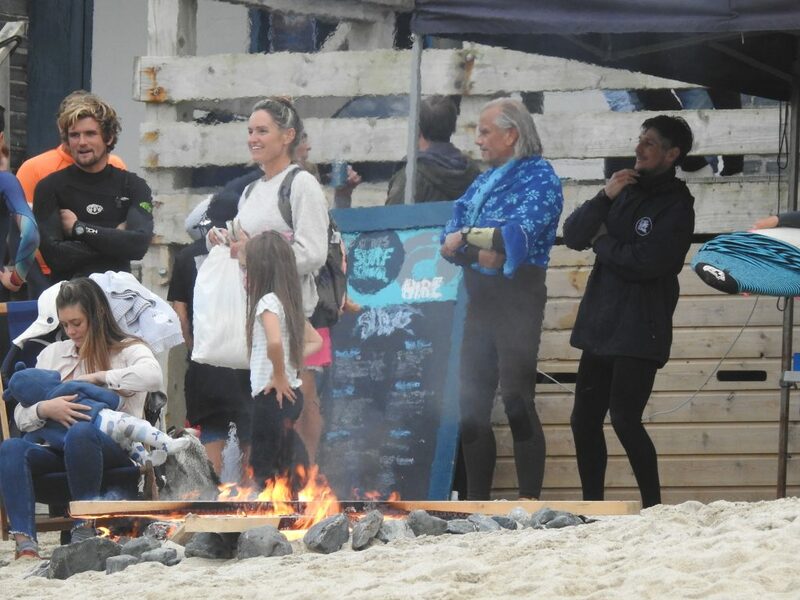 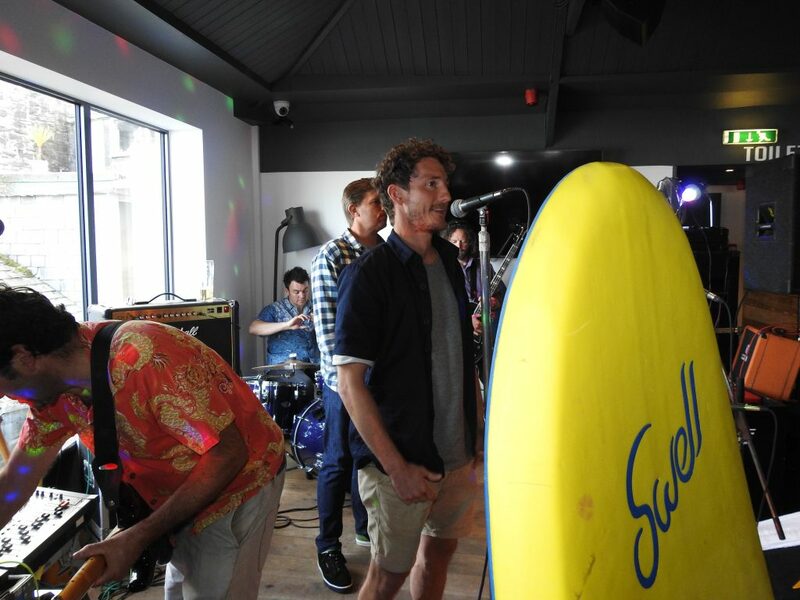 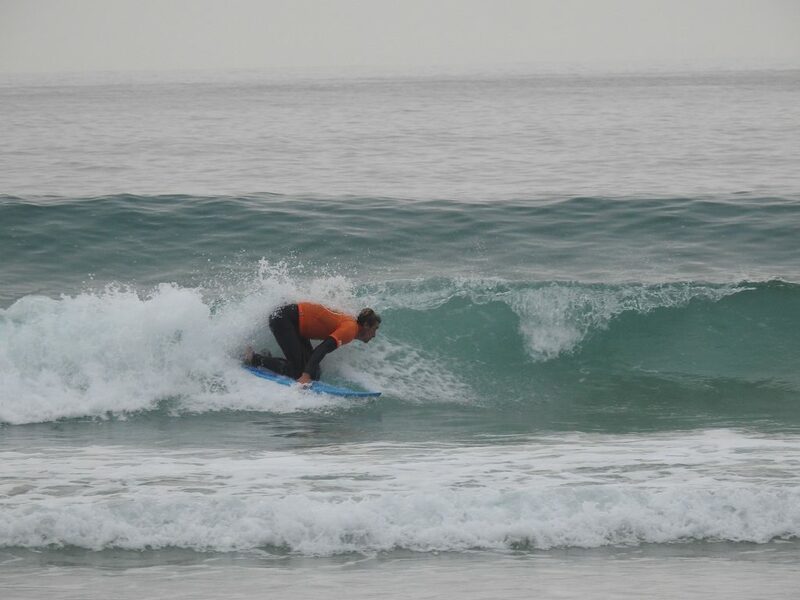 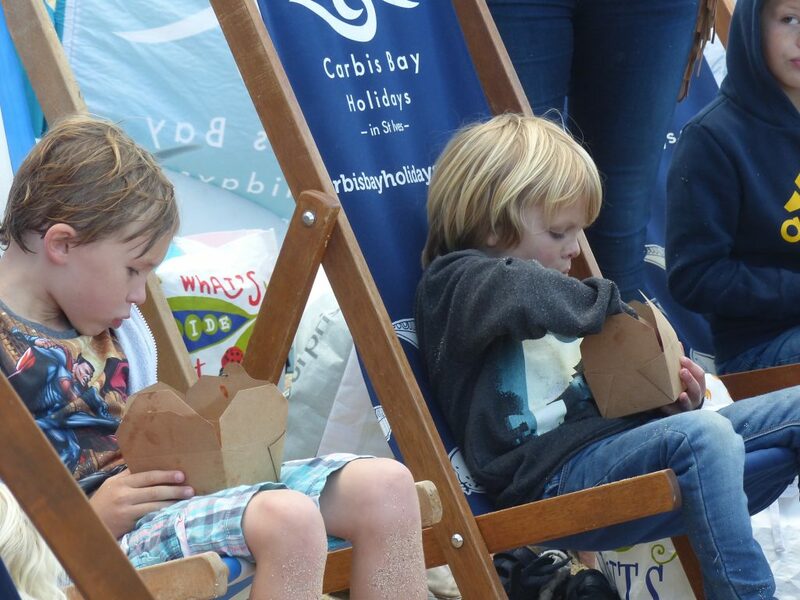 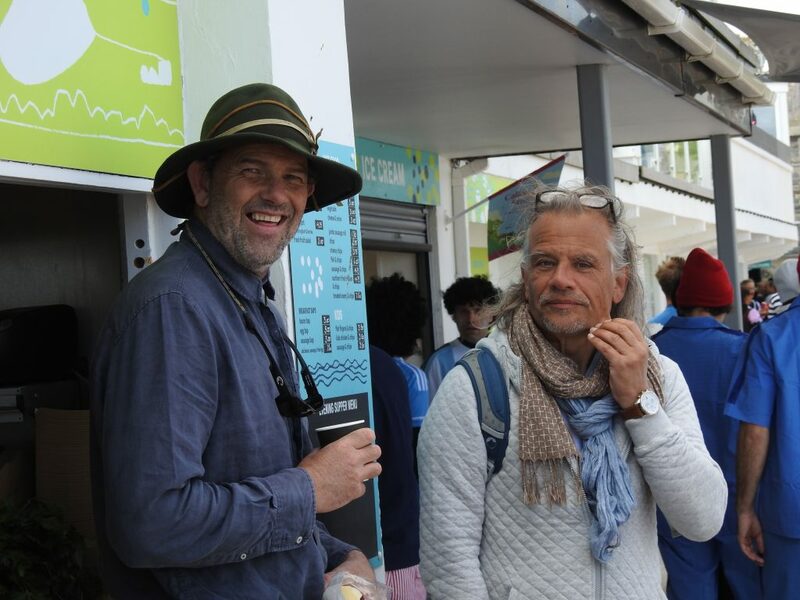 Perranporth hosted the British National Surfing Championships last weekend and some very contestable surf enabled a high standard of surfing to be seen. 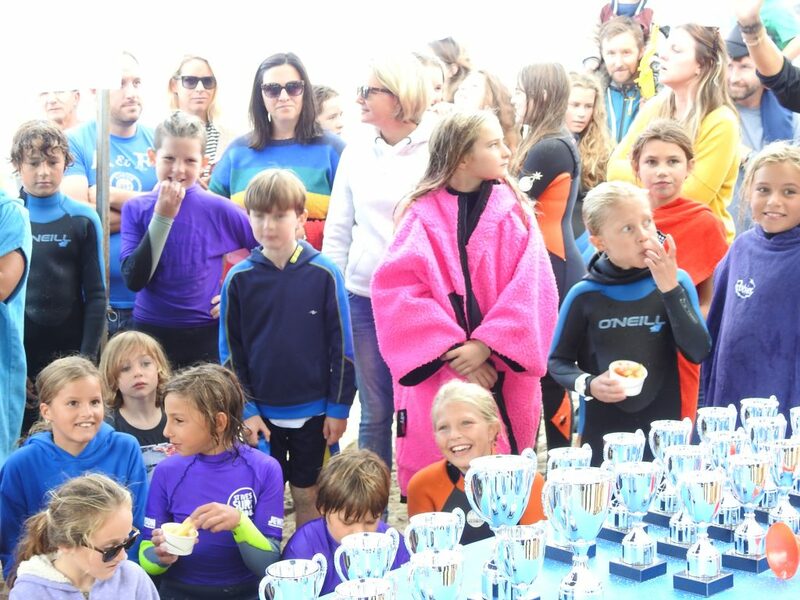 There was a hectic schedule, with two peaks in operation all weekend to get through the programme and find champions in fifteen divisions. 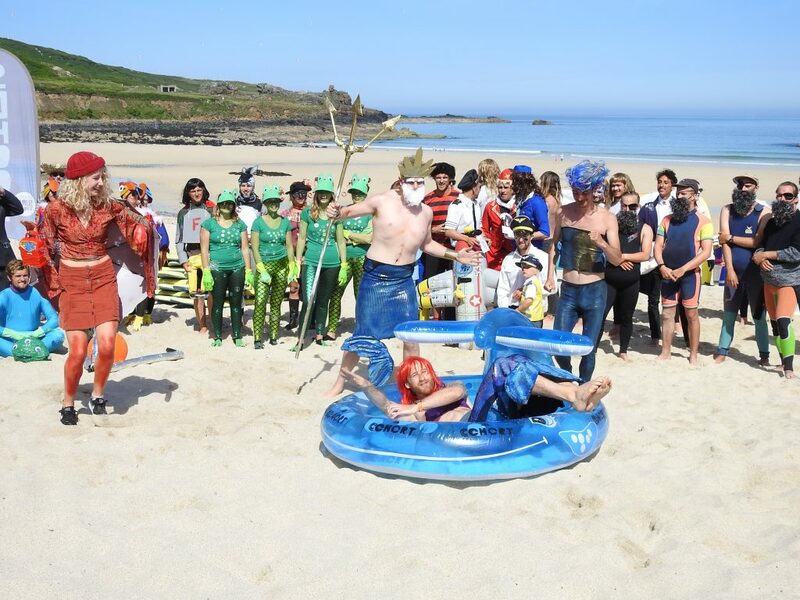 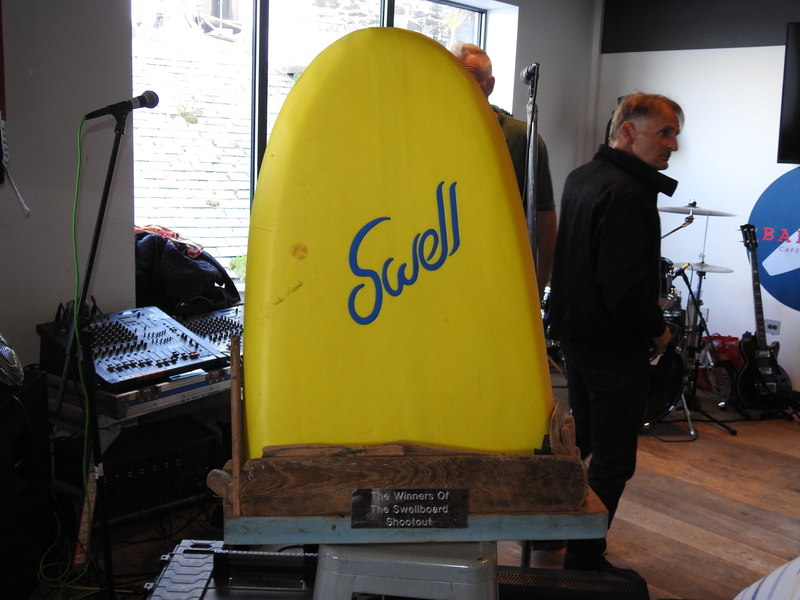 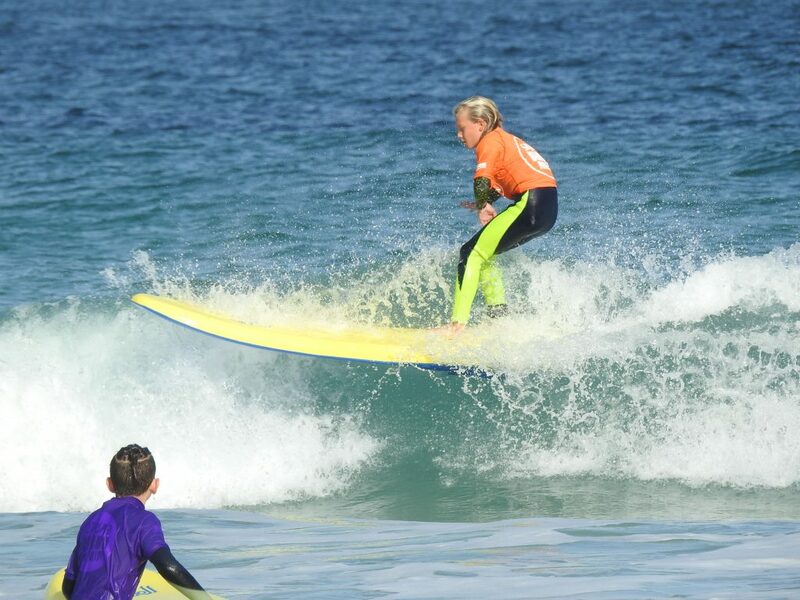 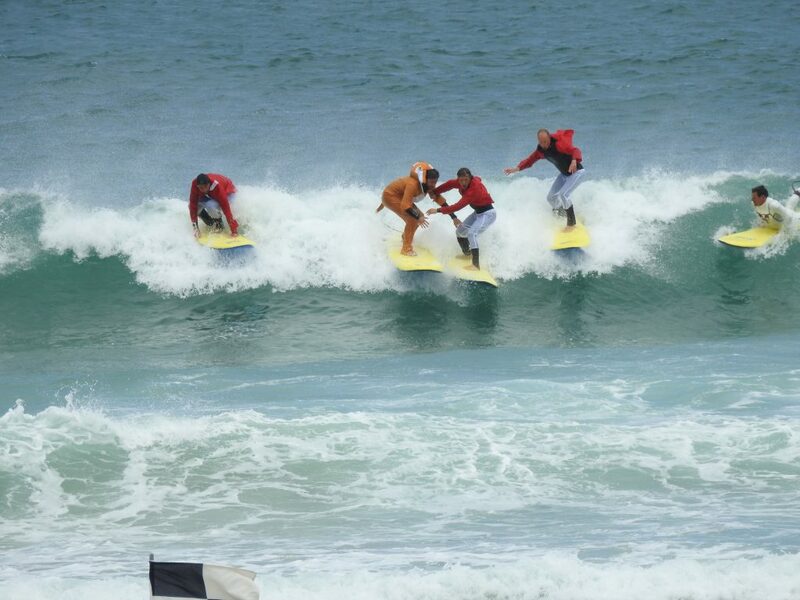 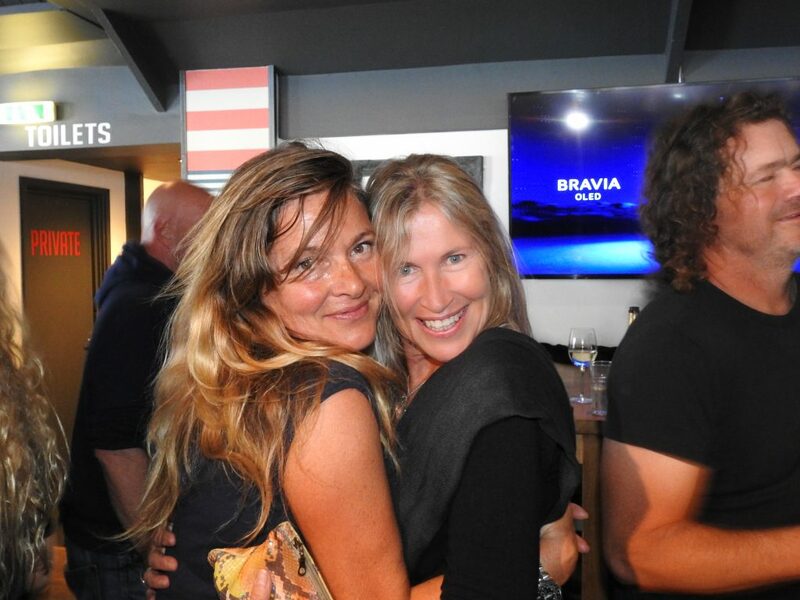 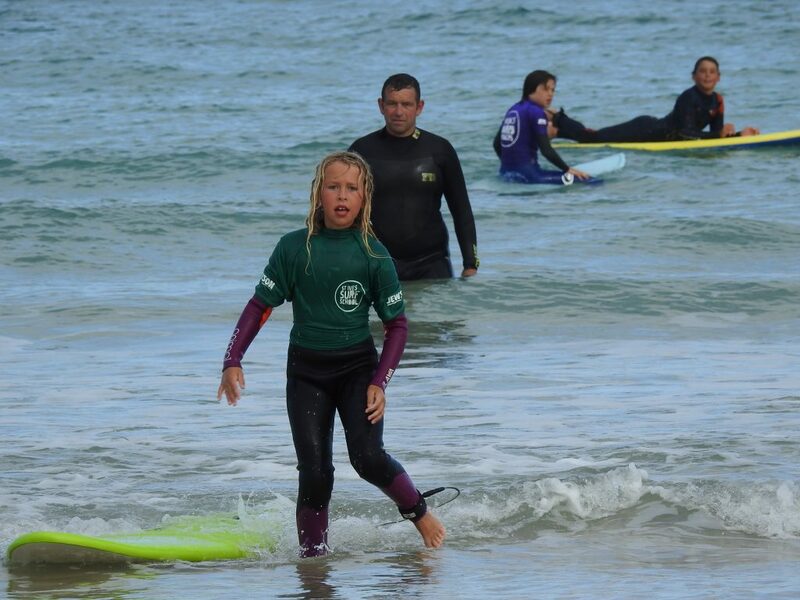 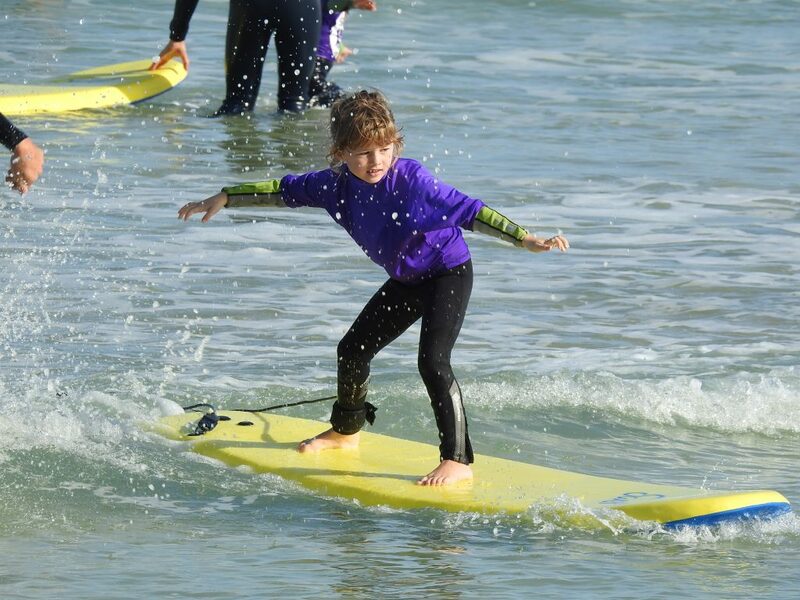 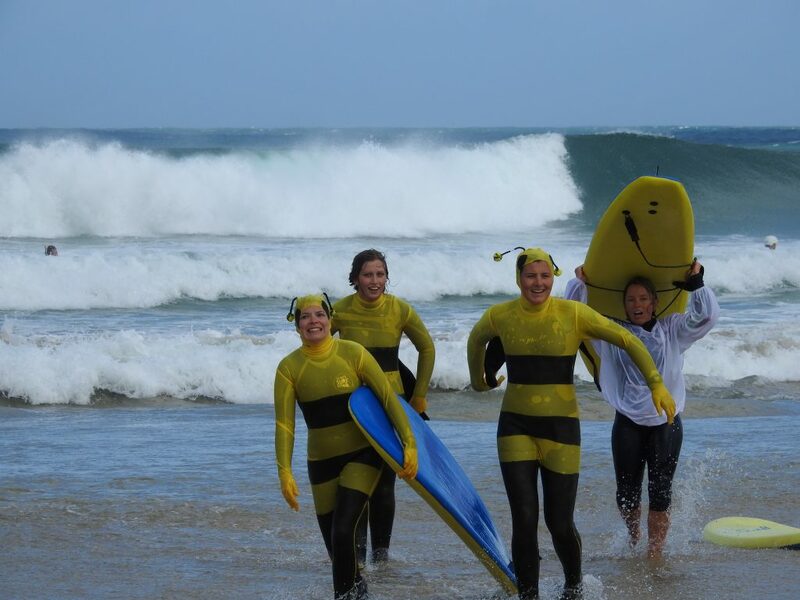 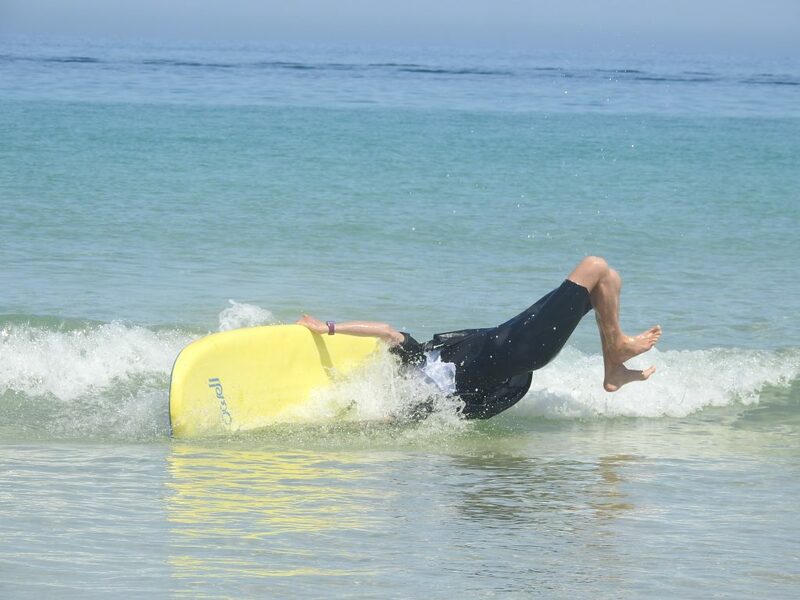 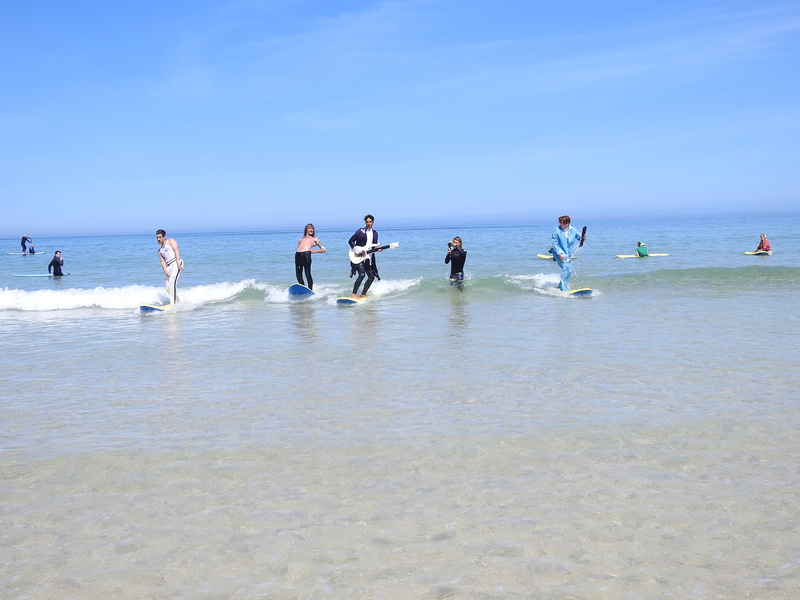 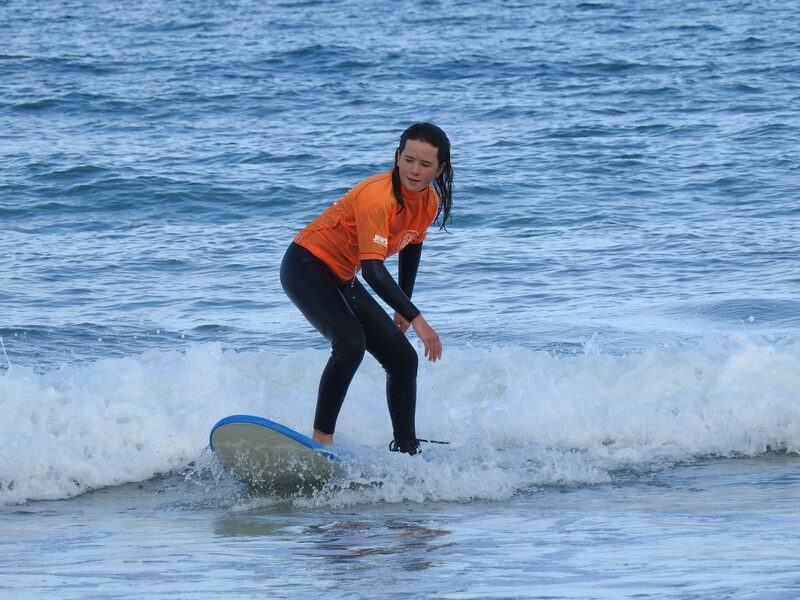 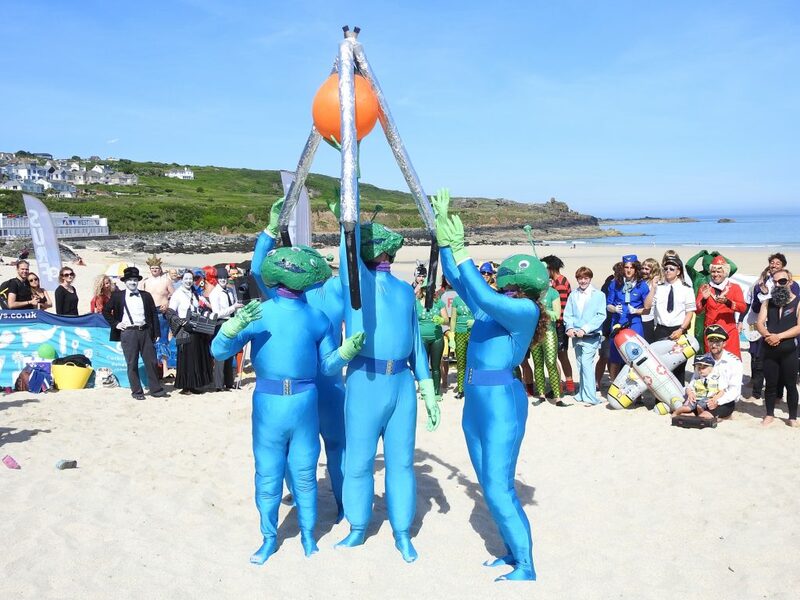 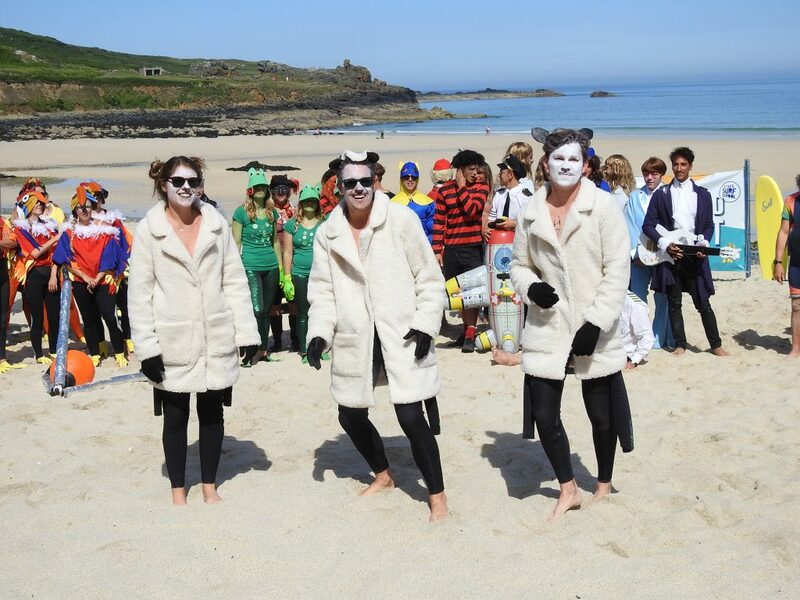 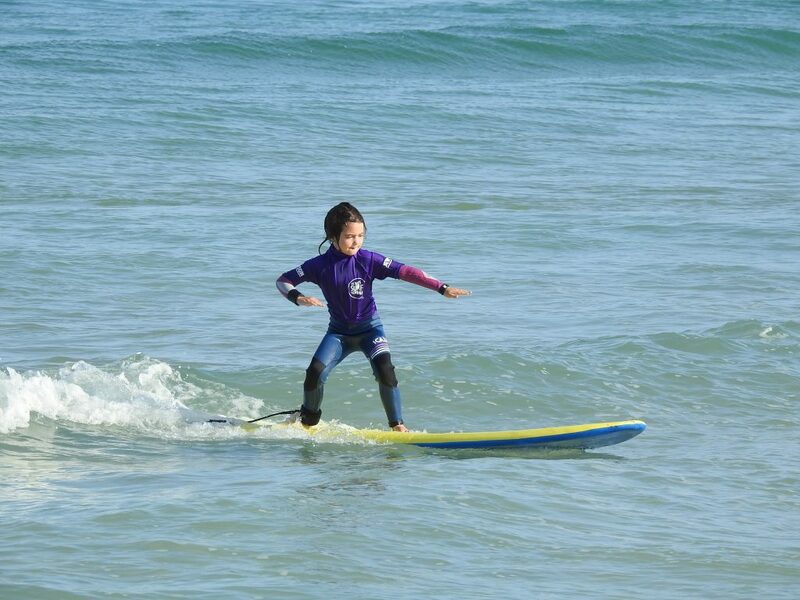 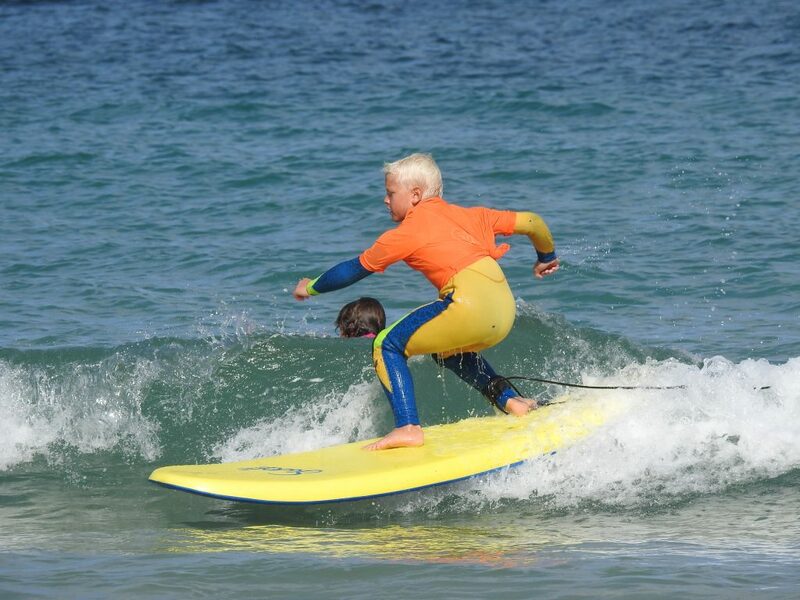 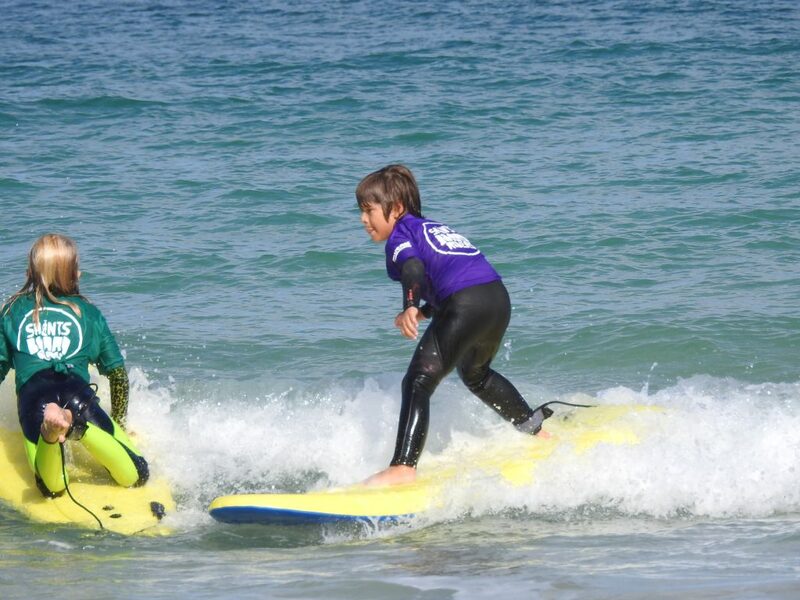 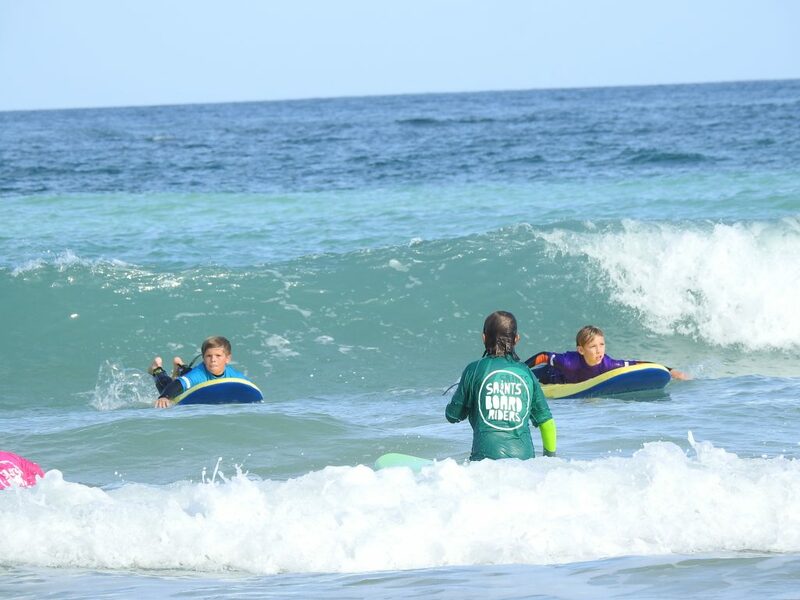 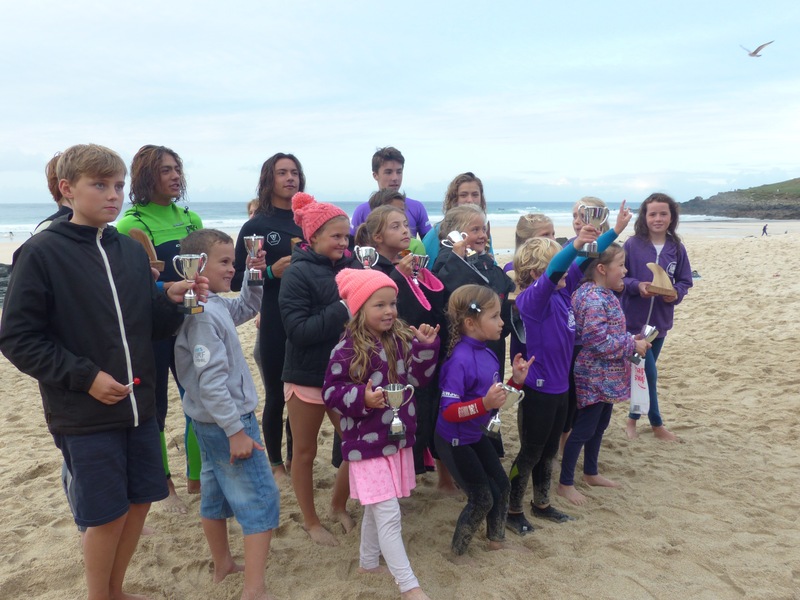 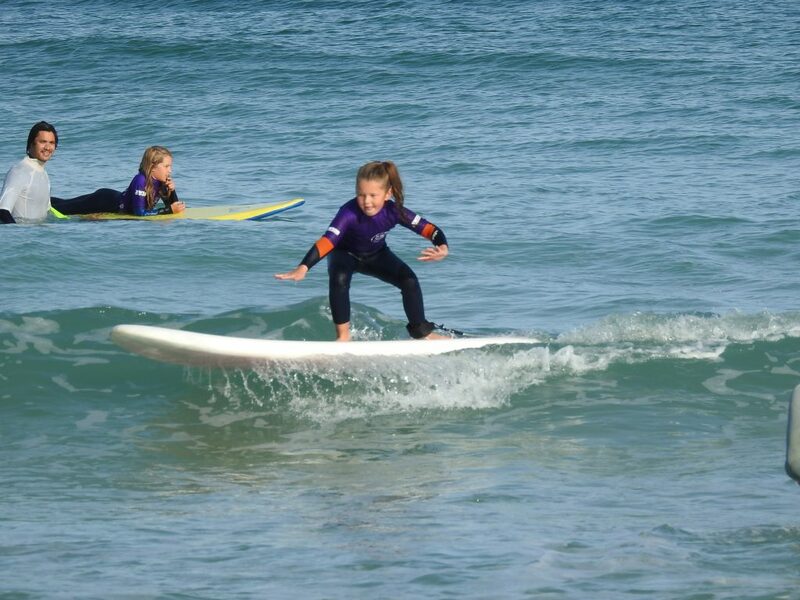 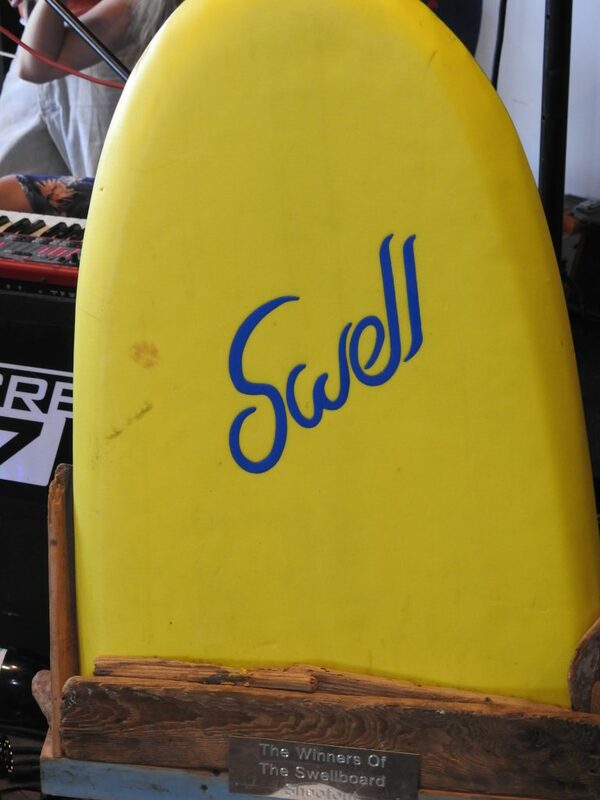 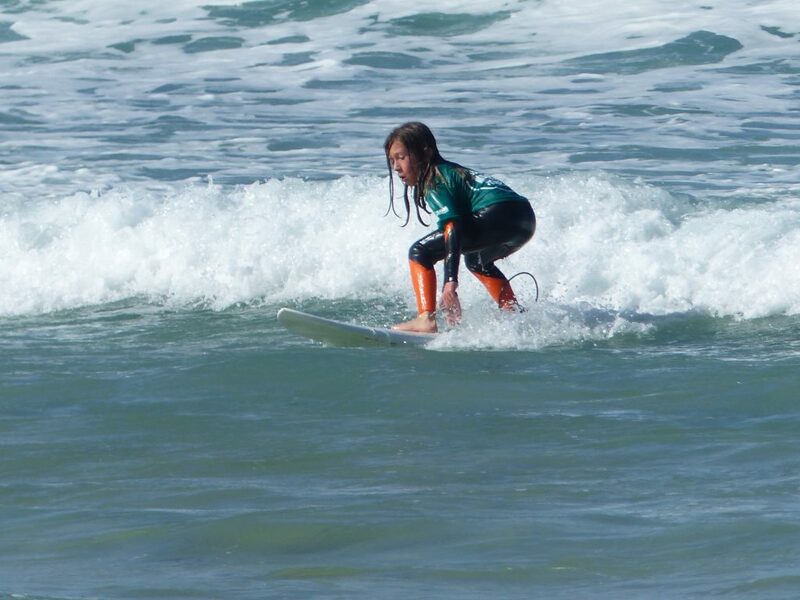 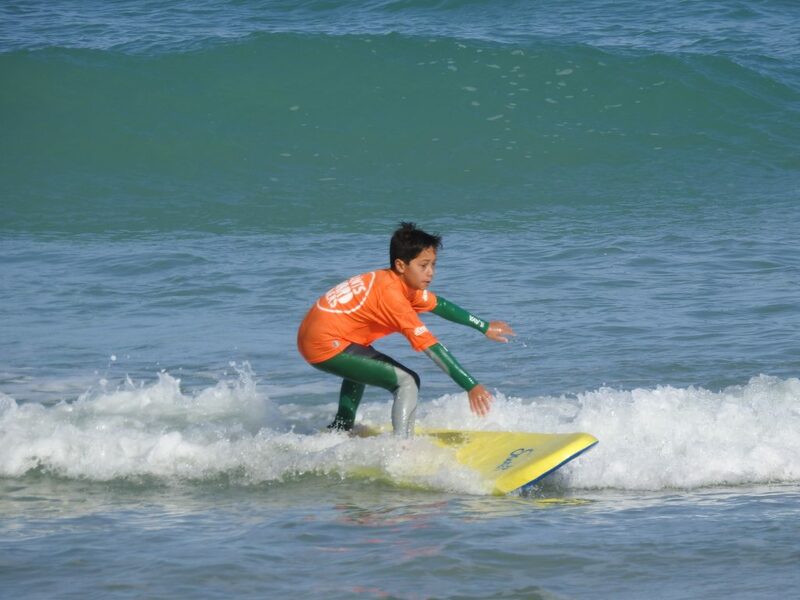 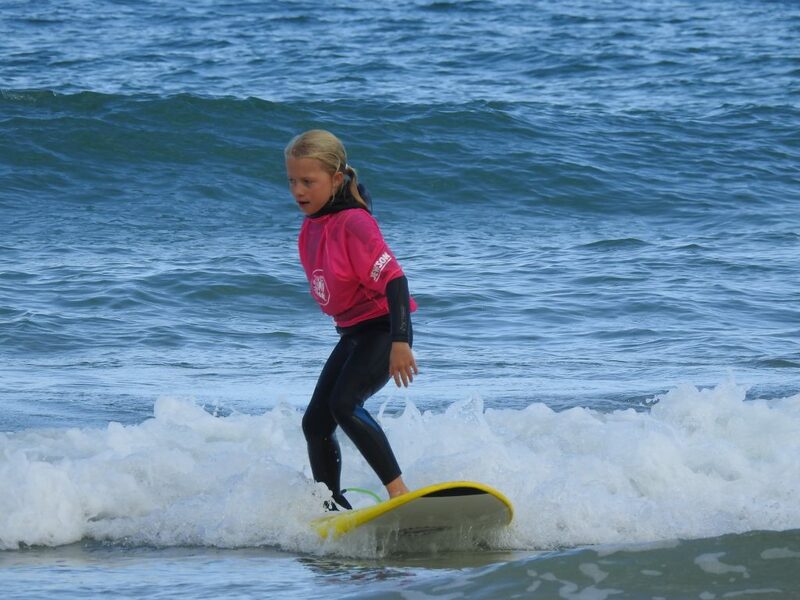 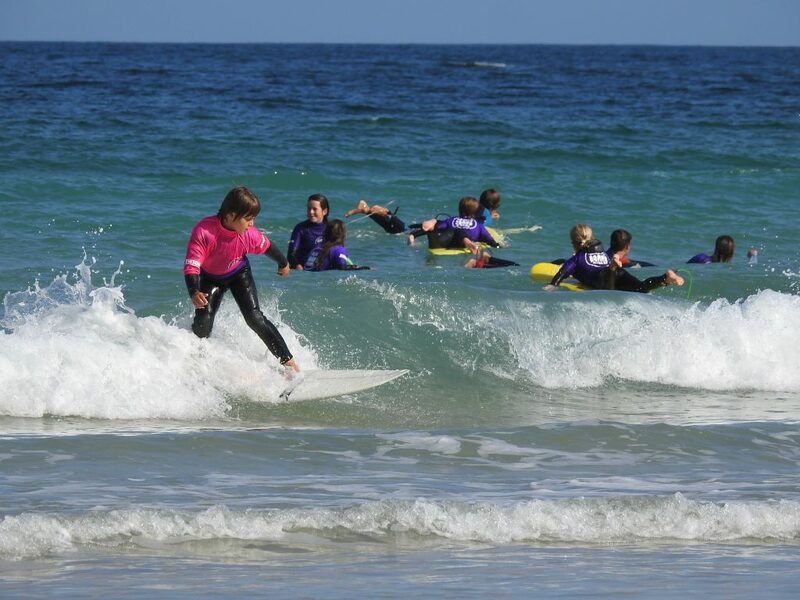 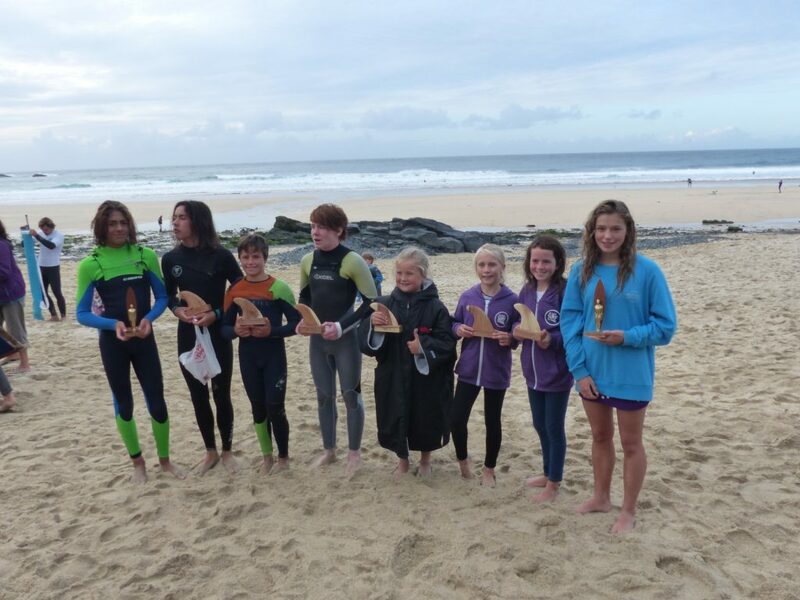 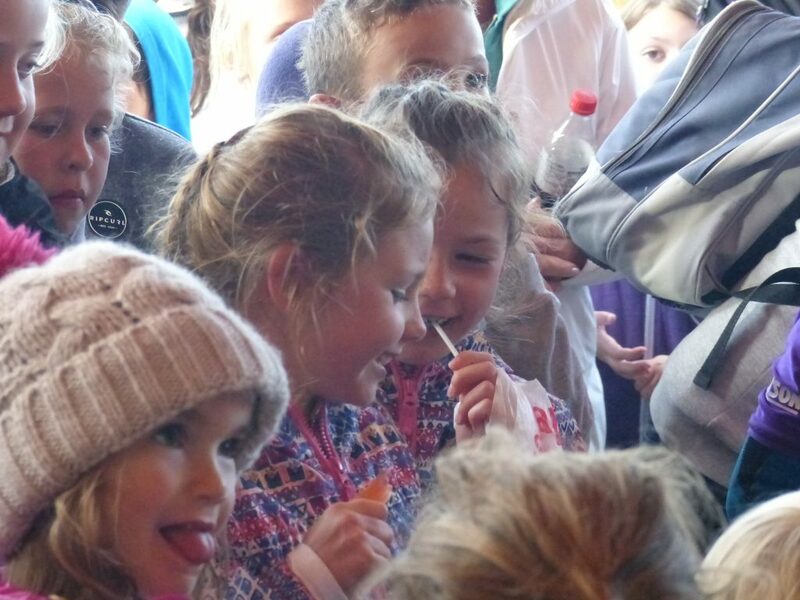 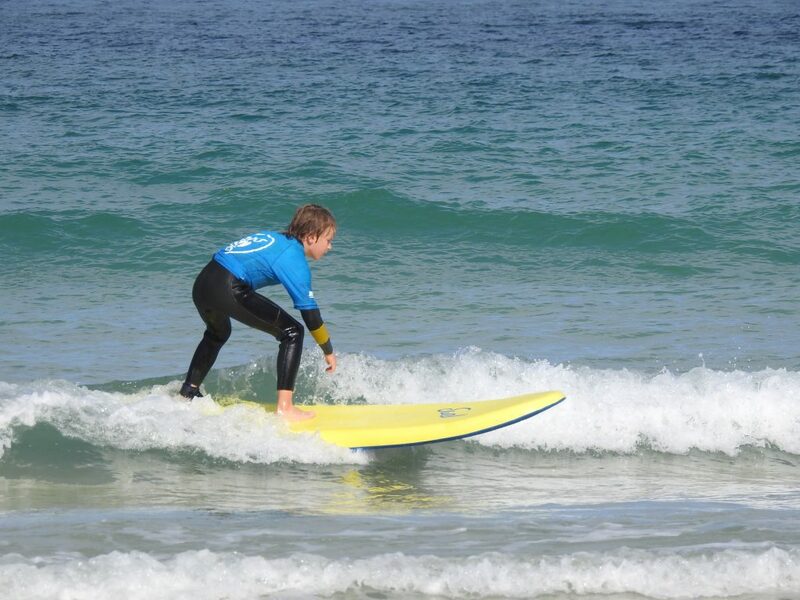 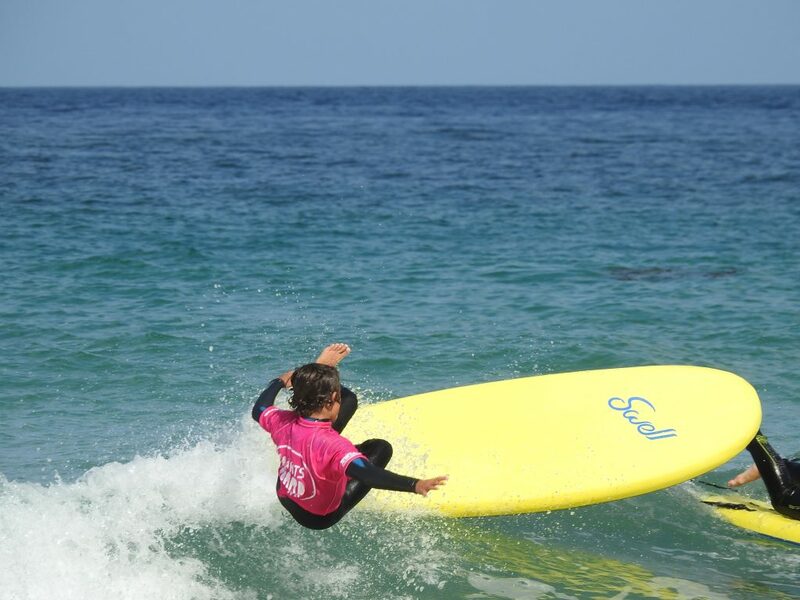 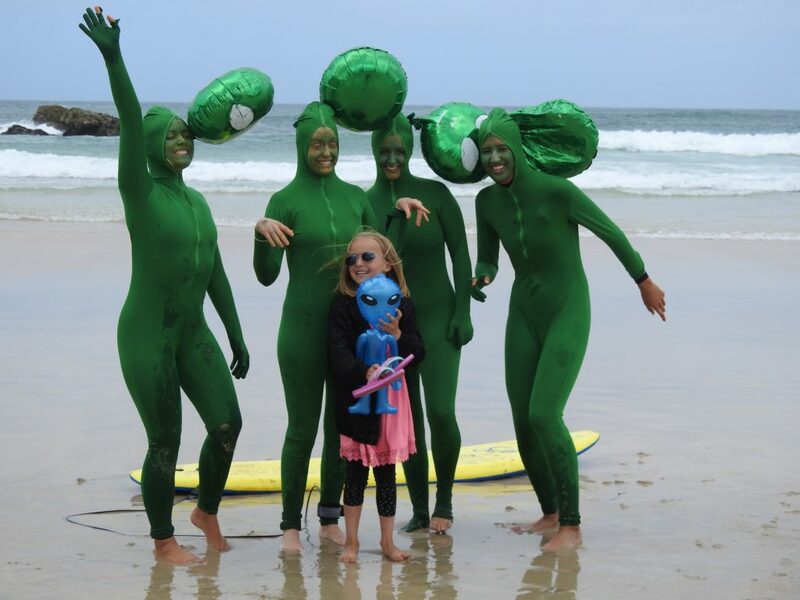 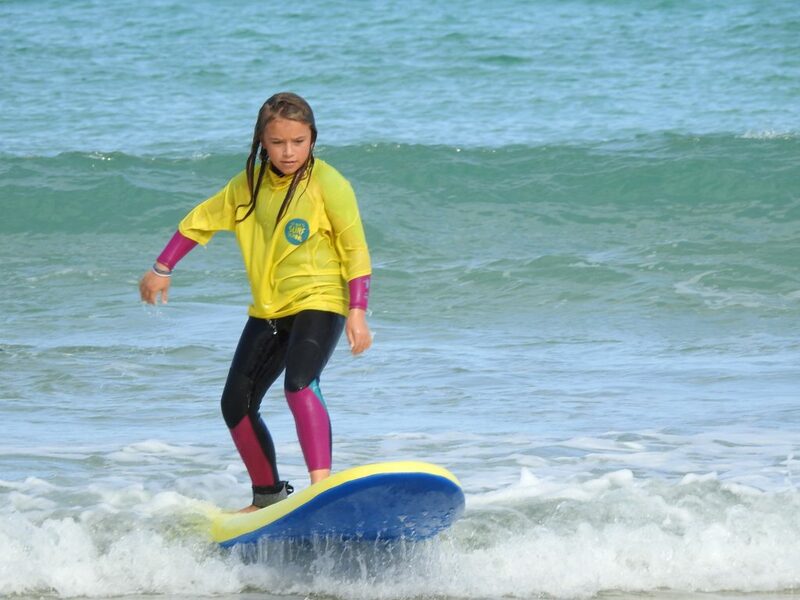 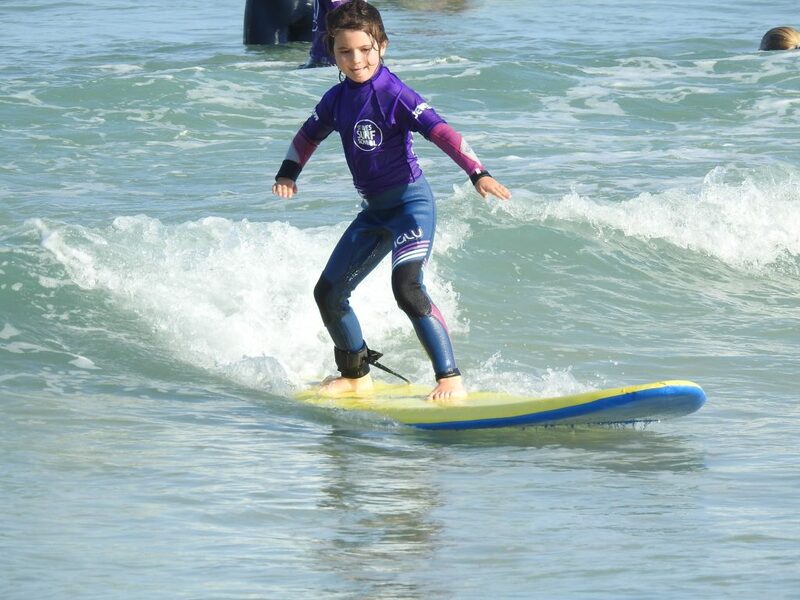 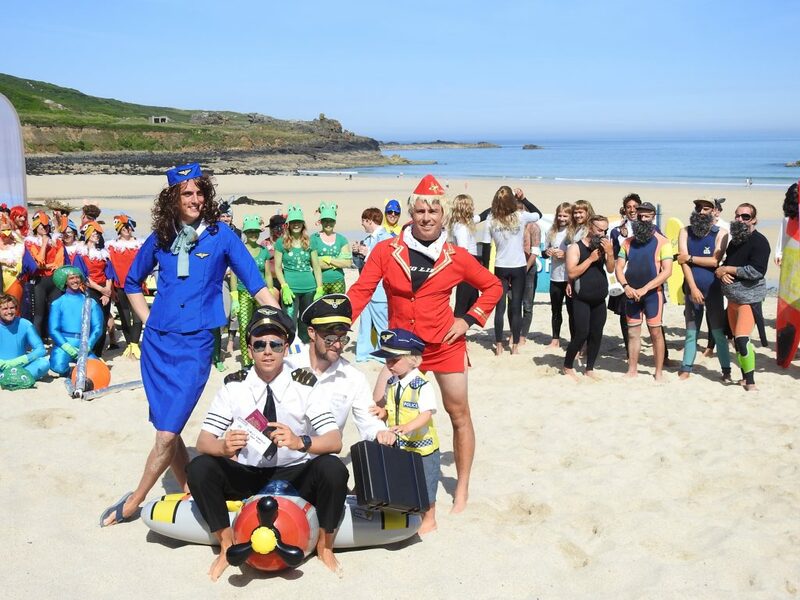 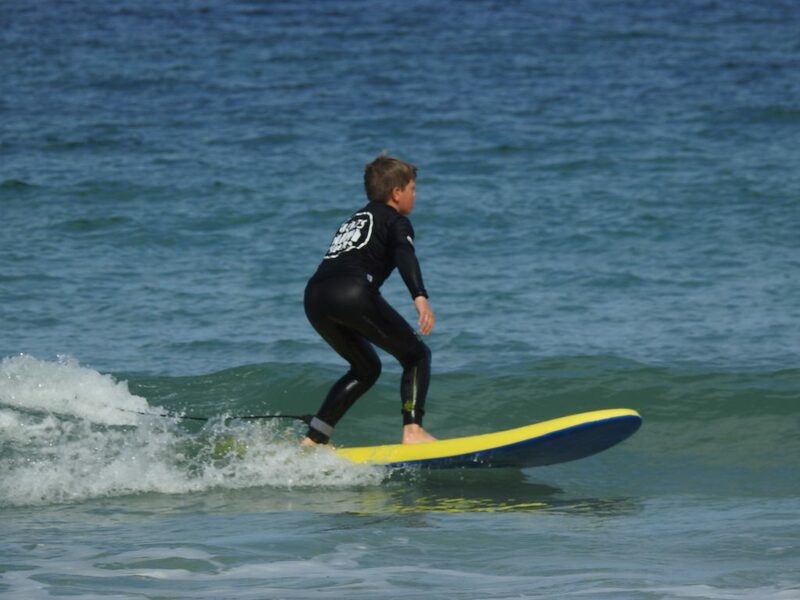 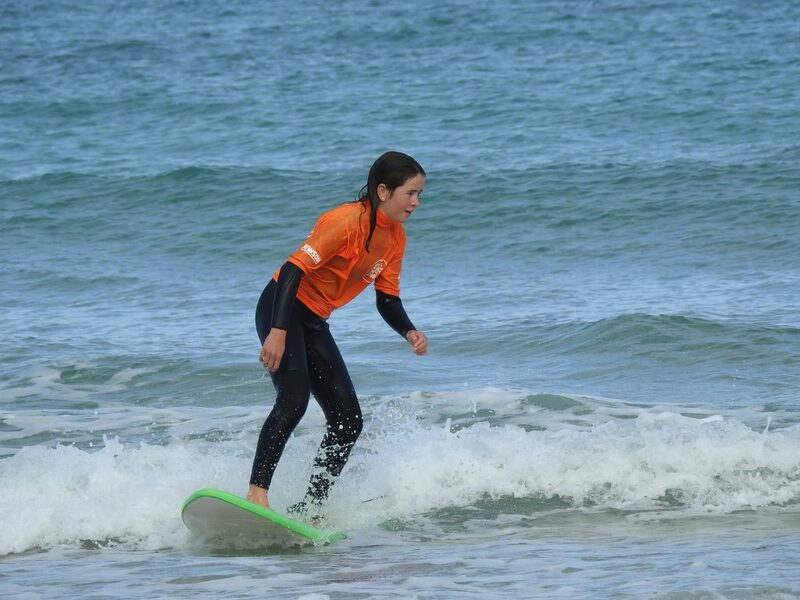 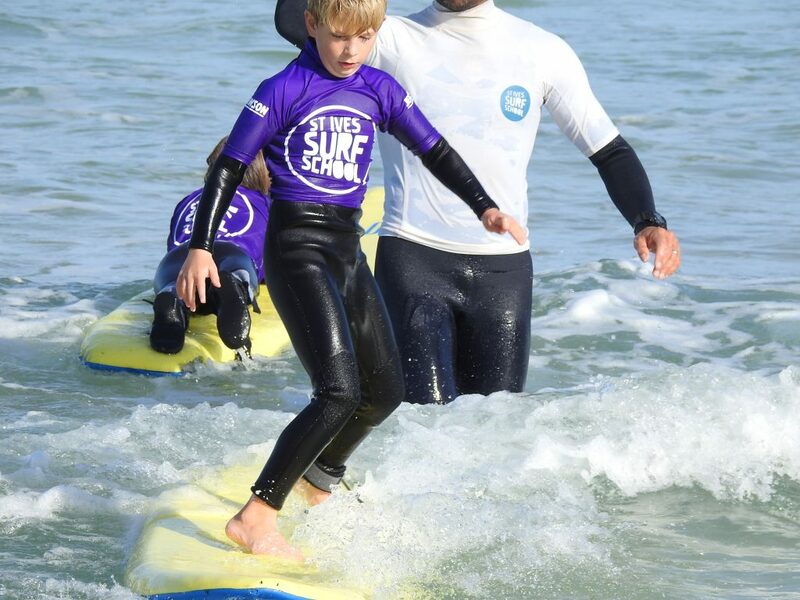 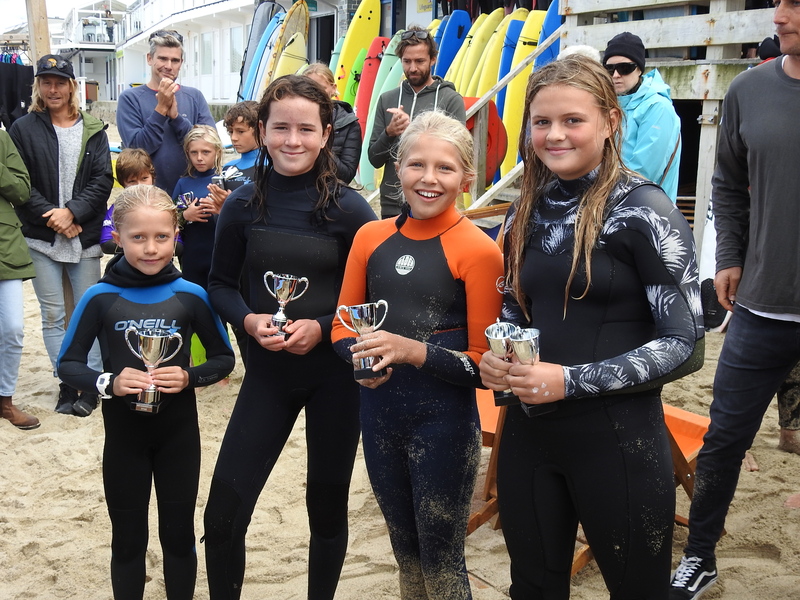 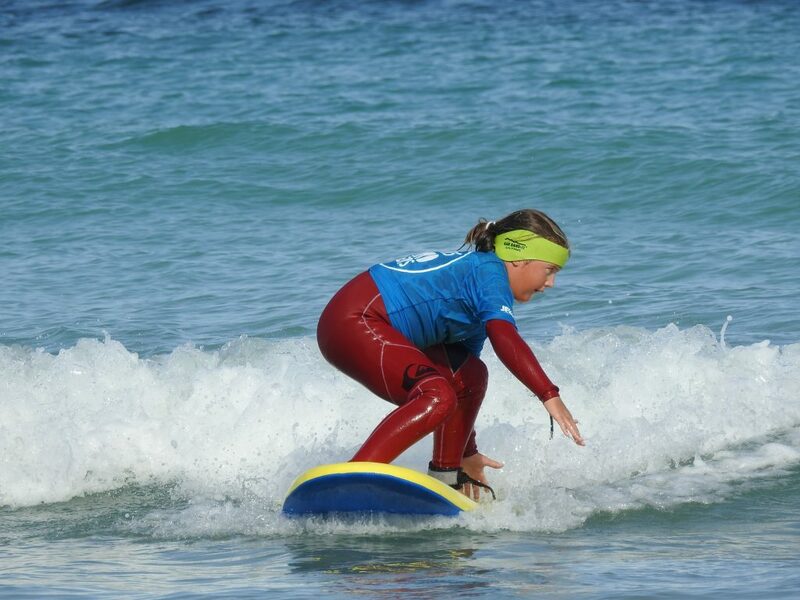 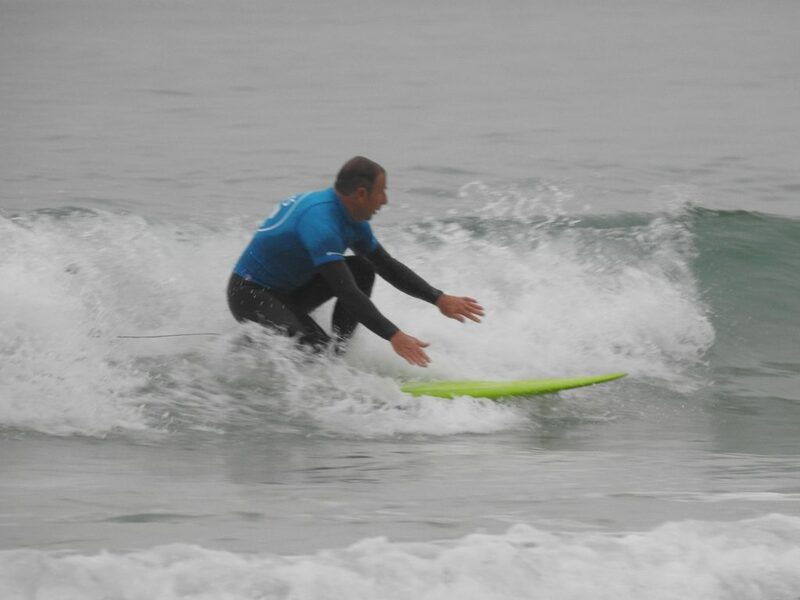 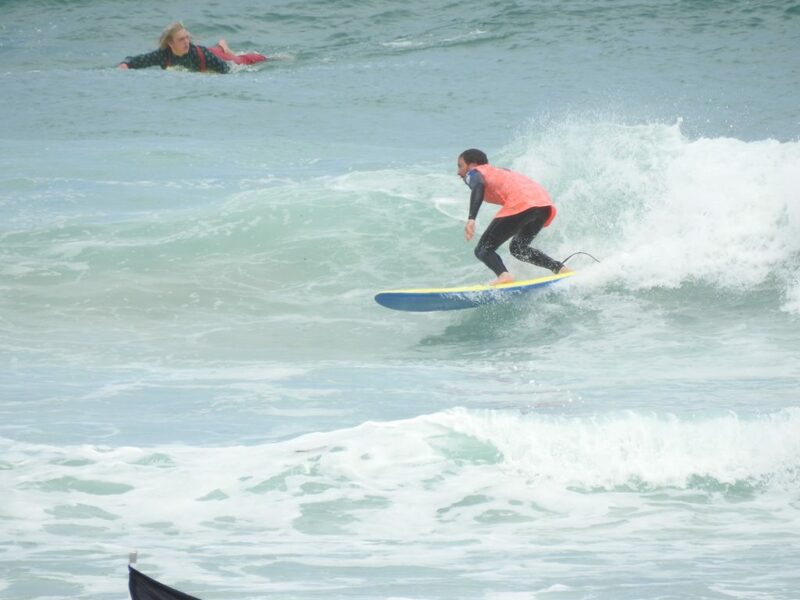 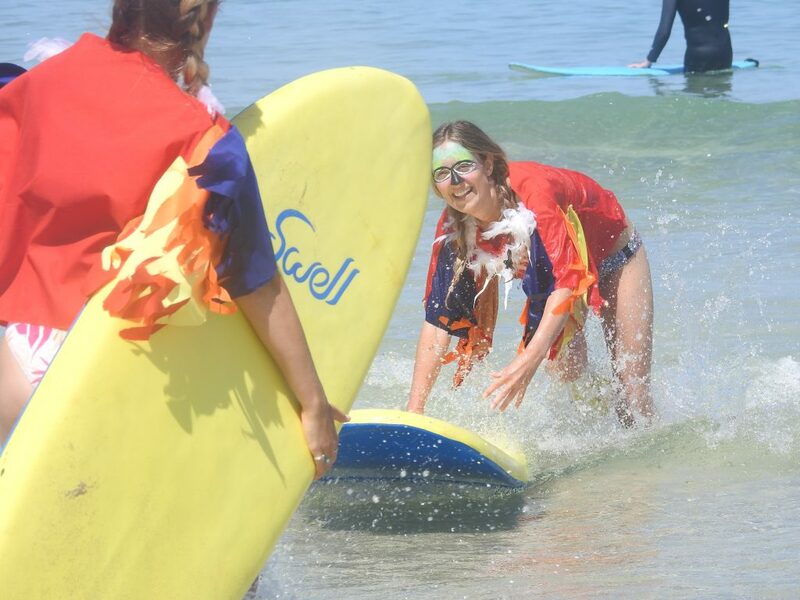 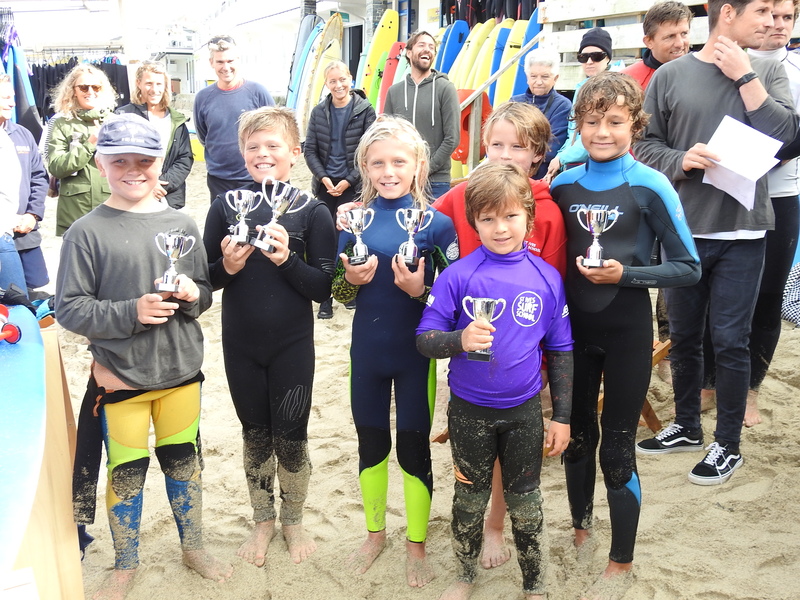 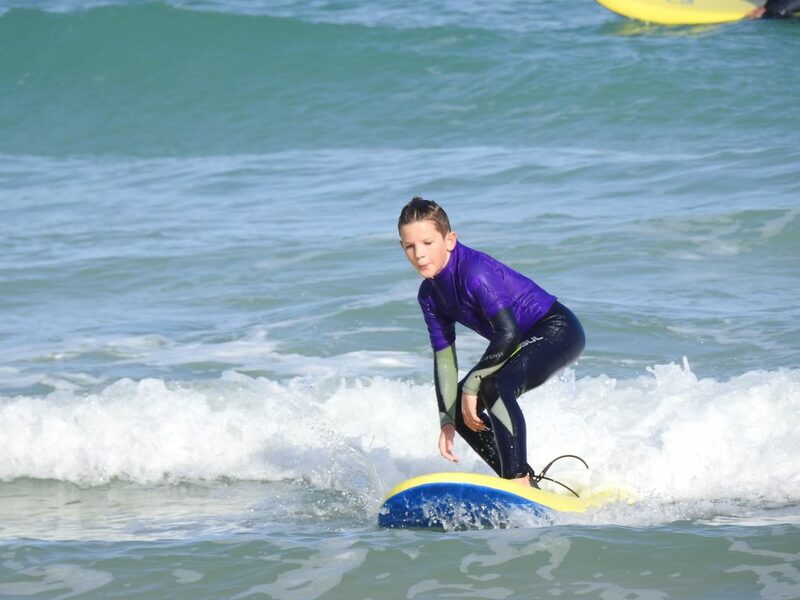 All our St. Ives surfers were still in contention going into finals day. 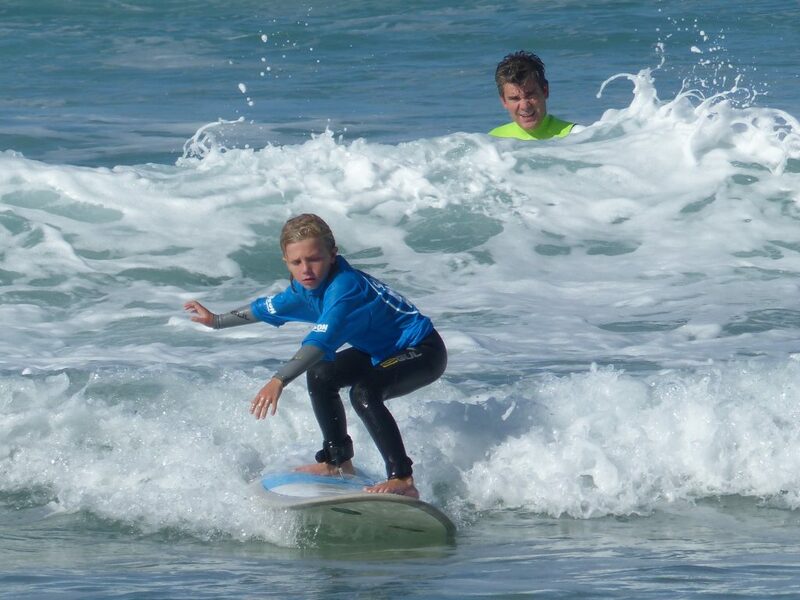 We lost our first competitor when Taylor Bairds was edged into third place in the Under-14 Boys quarter final. 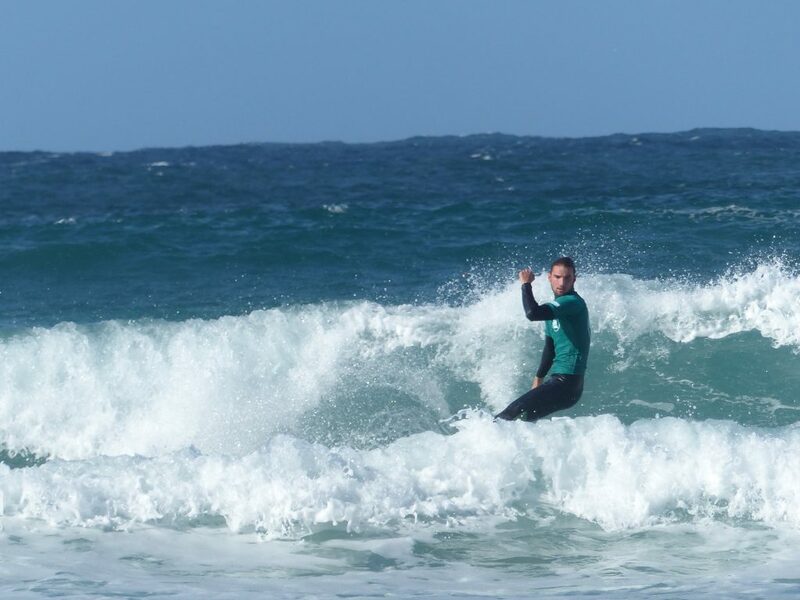 Taylor bows out in the quarters. 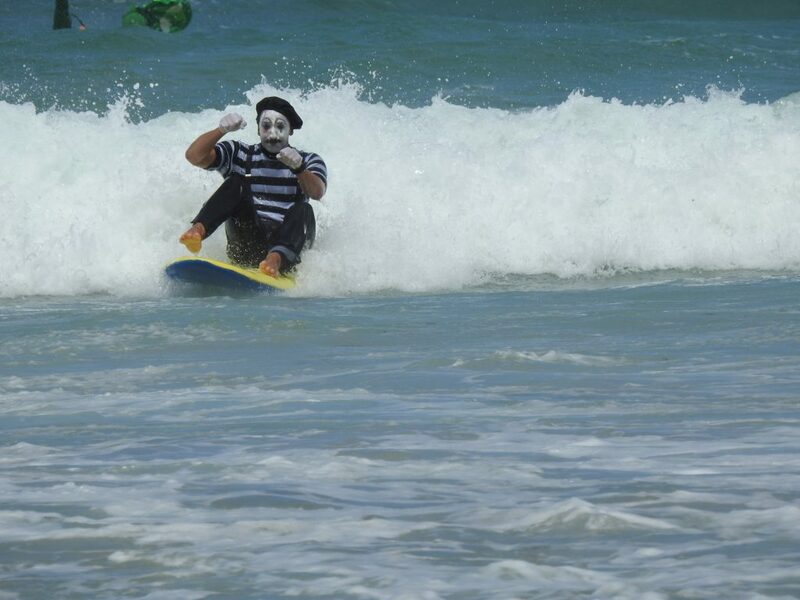 And that was our only loss as we reached the finals! 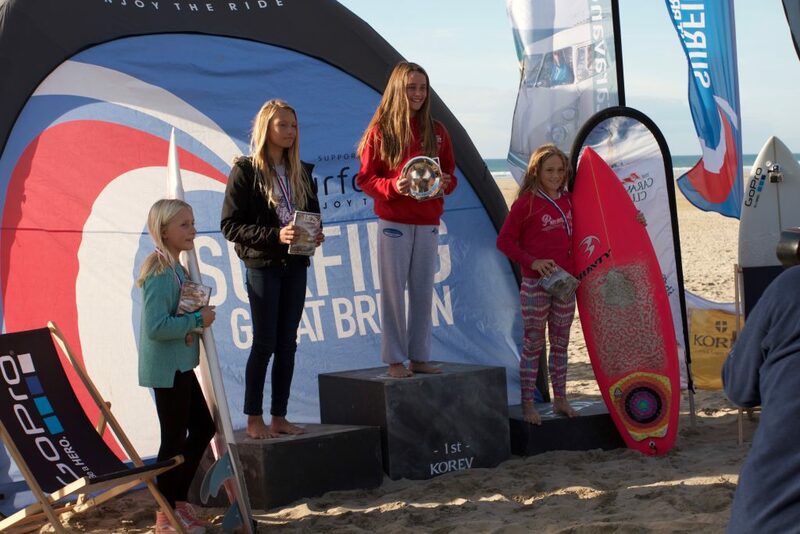 First up was Eleanor Hewlett in the Under-12 Girls. 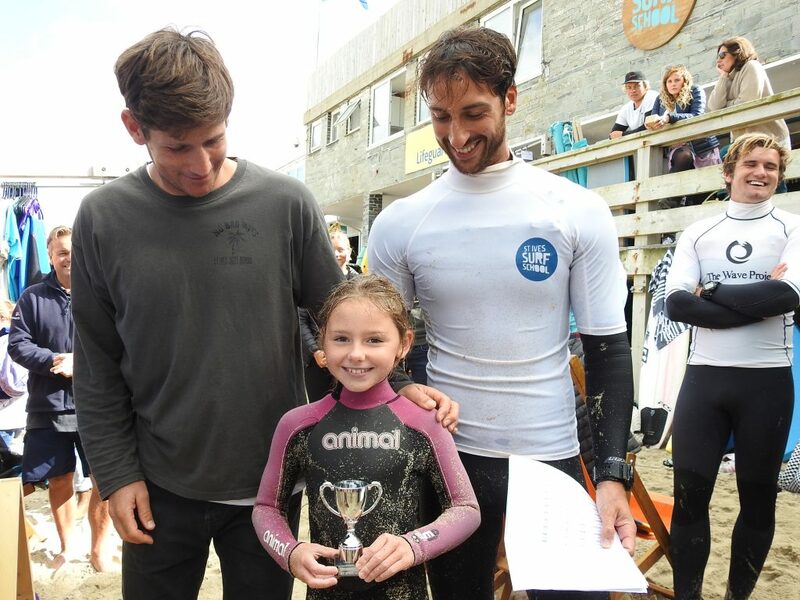 Finishing in fourth place in her first shot at the nationals, this was a very creditable performance! 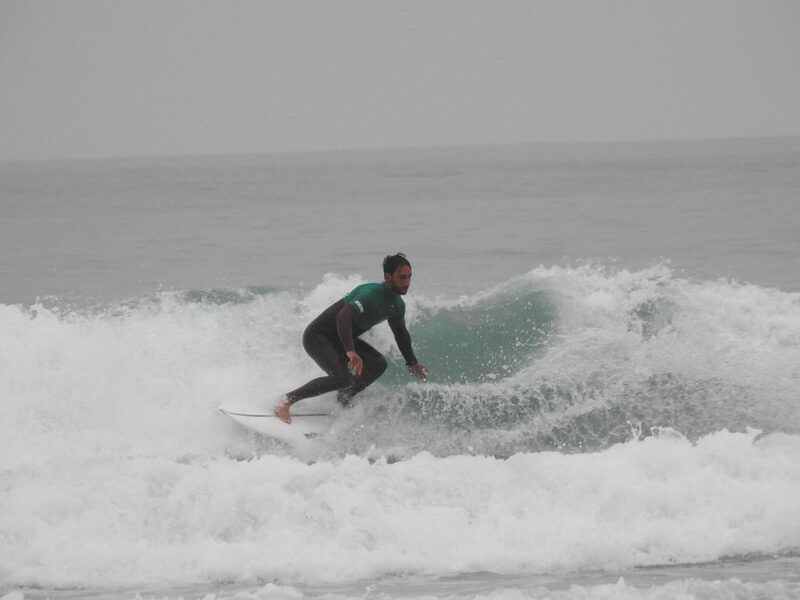 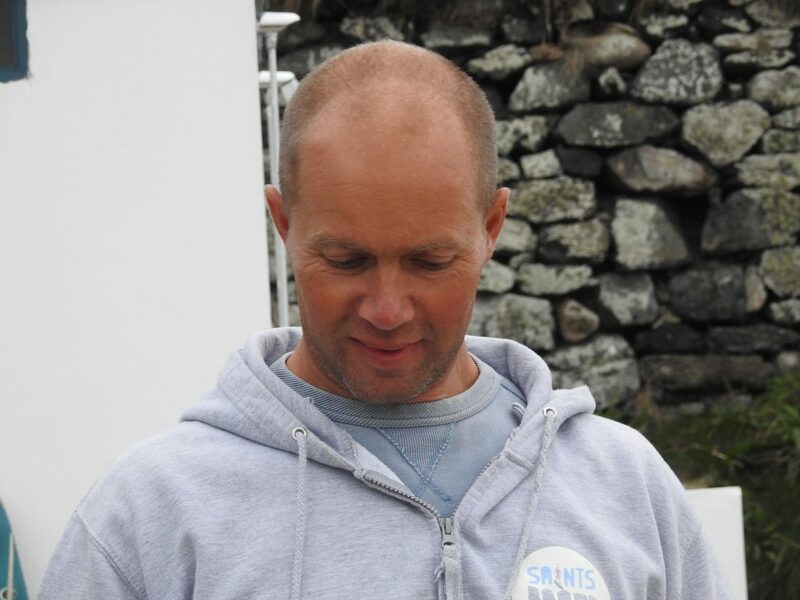 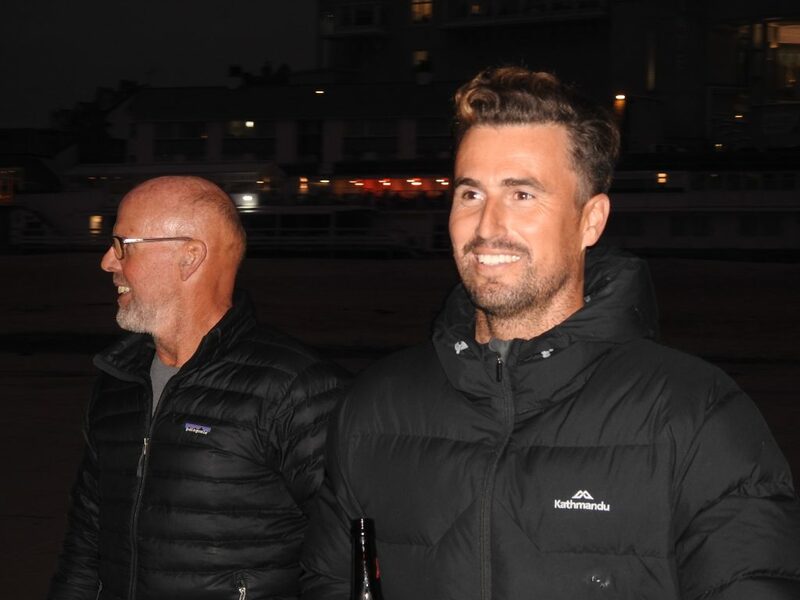 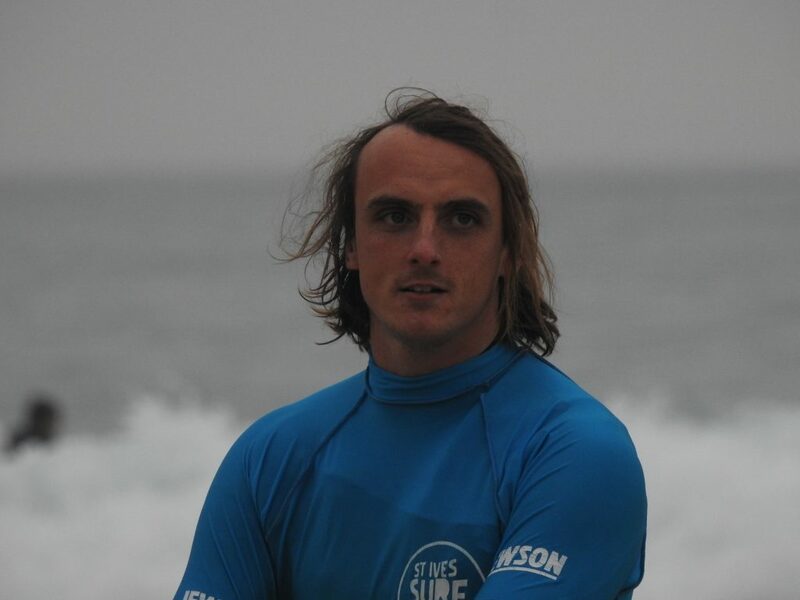 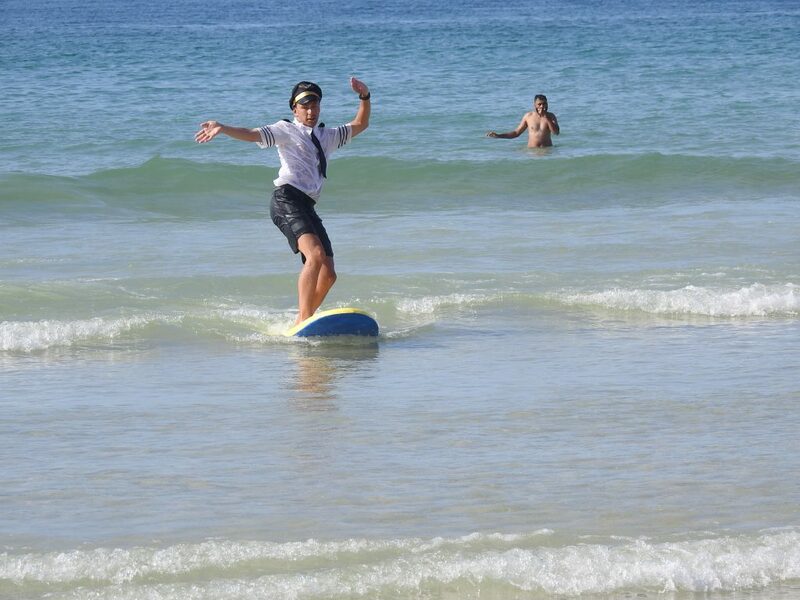 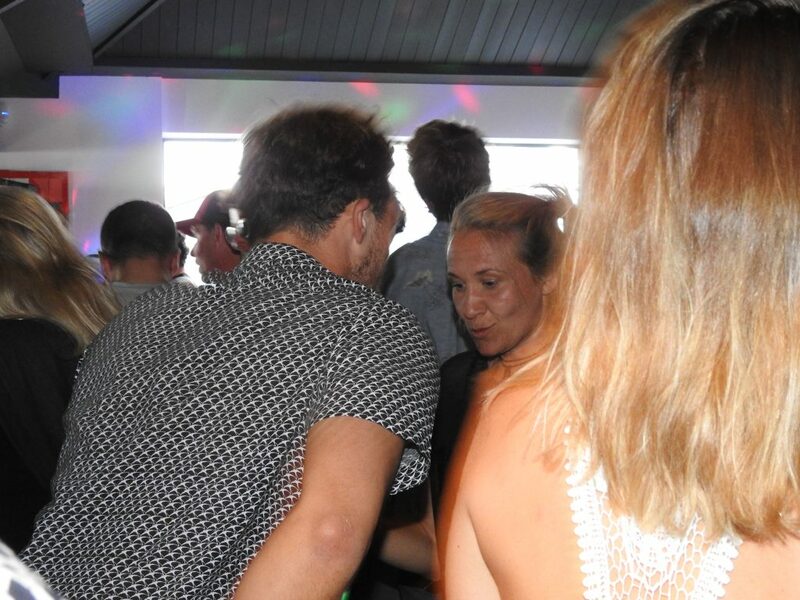 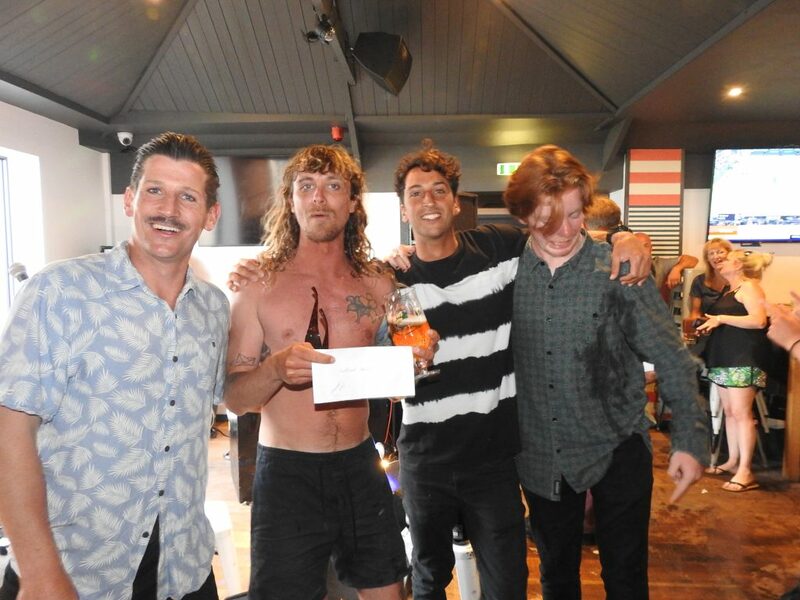 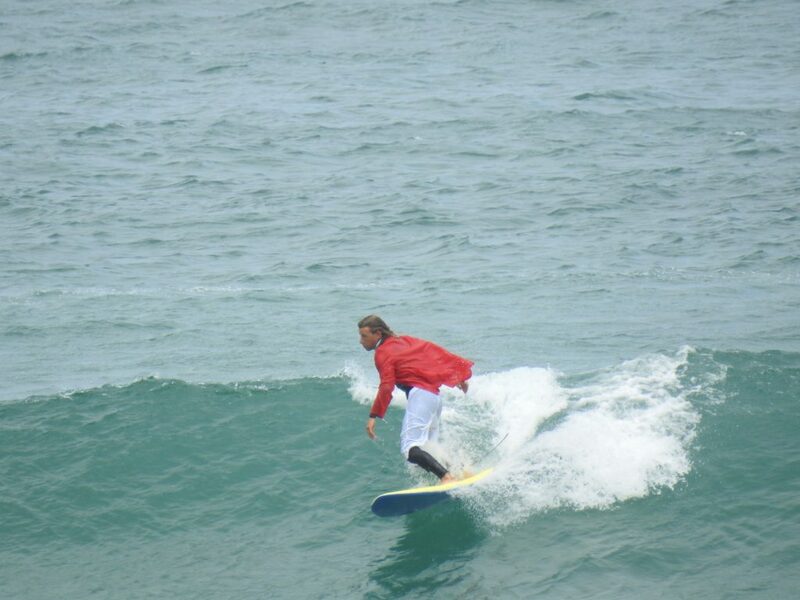 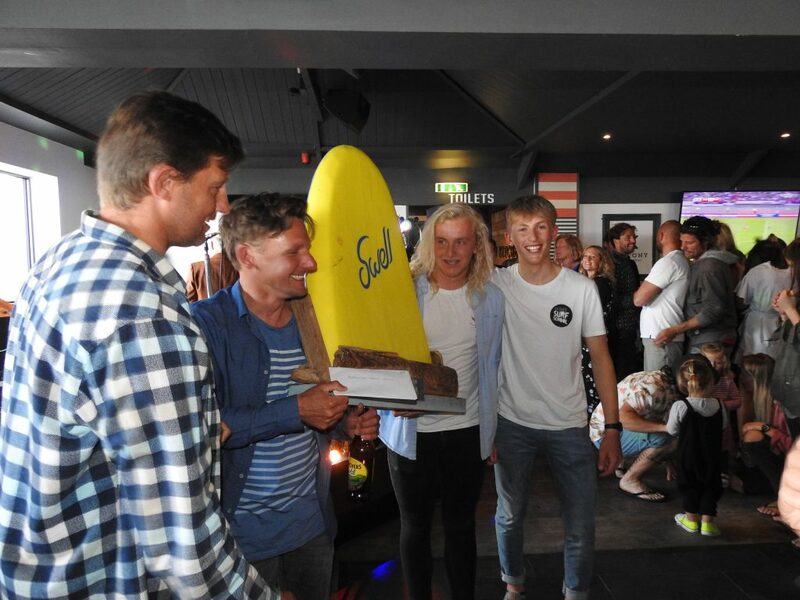 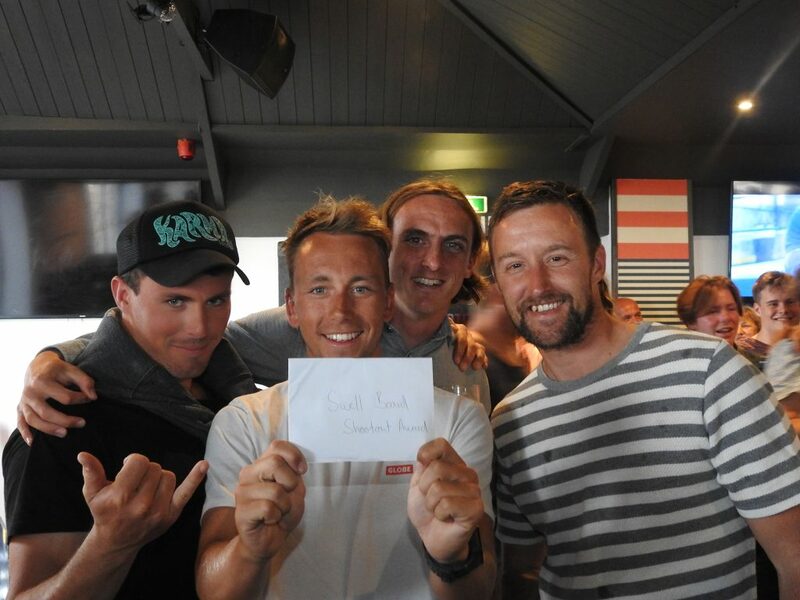 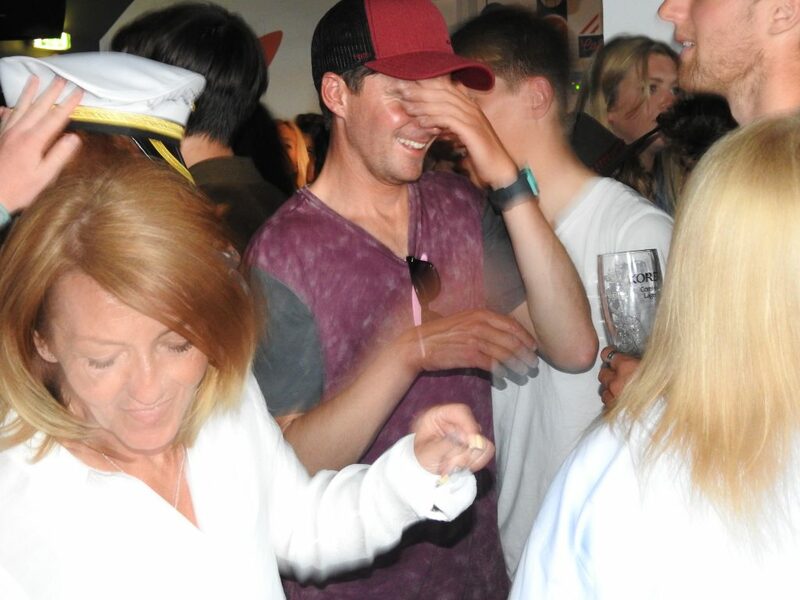 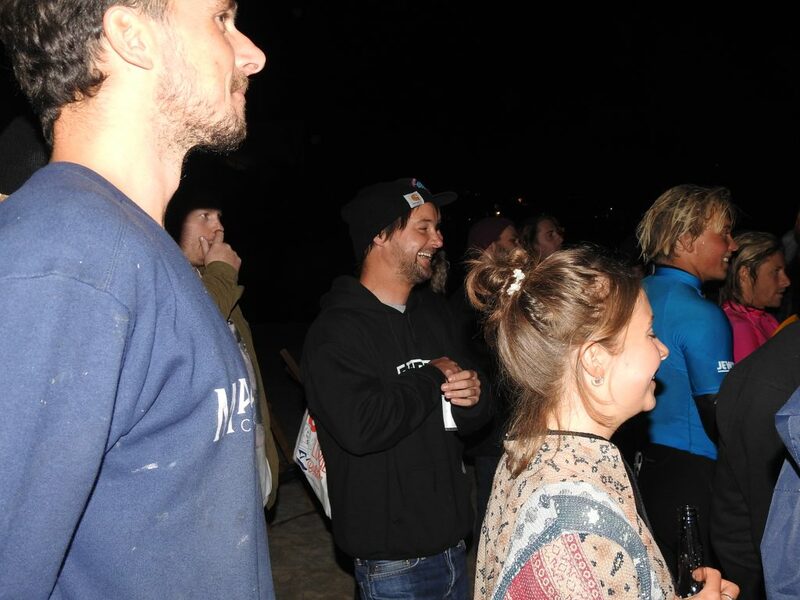 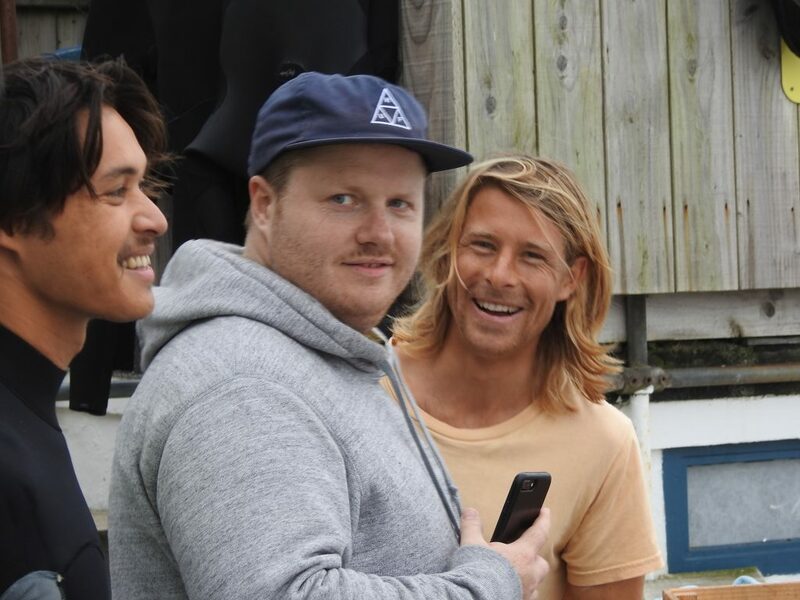 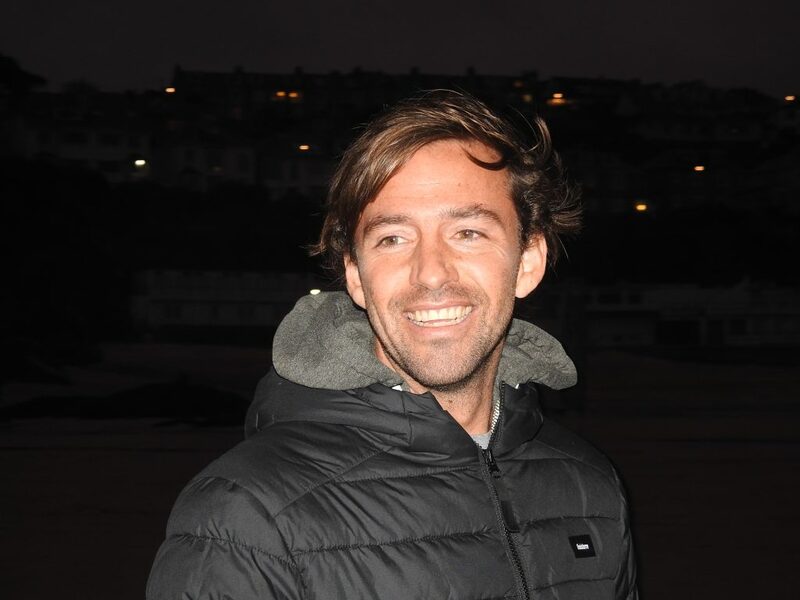 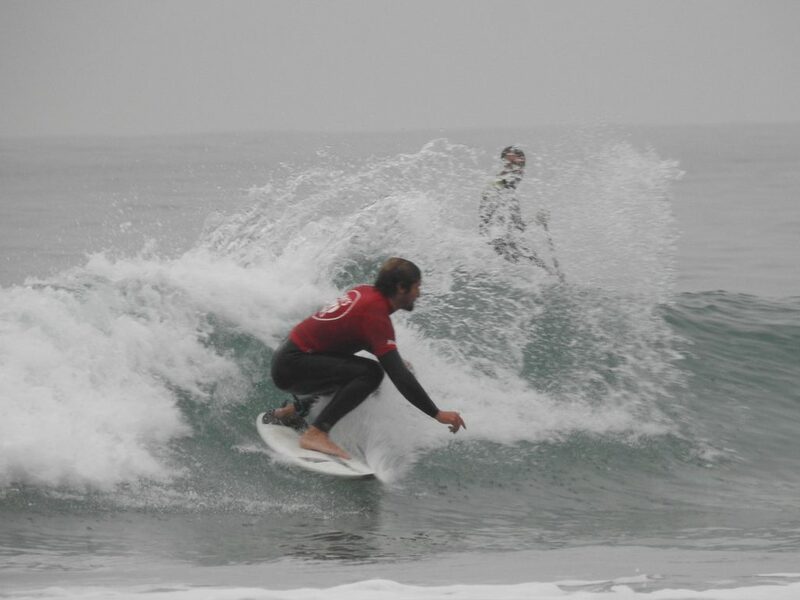 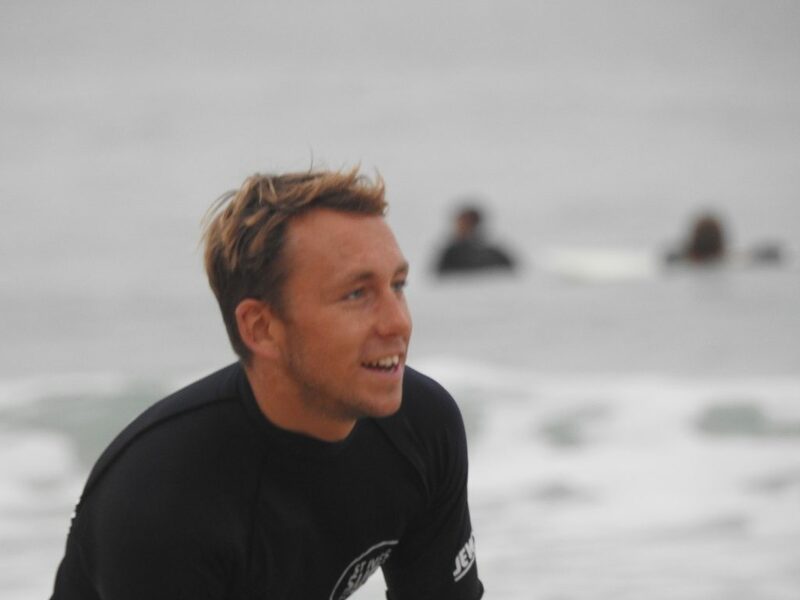 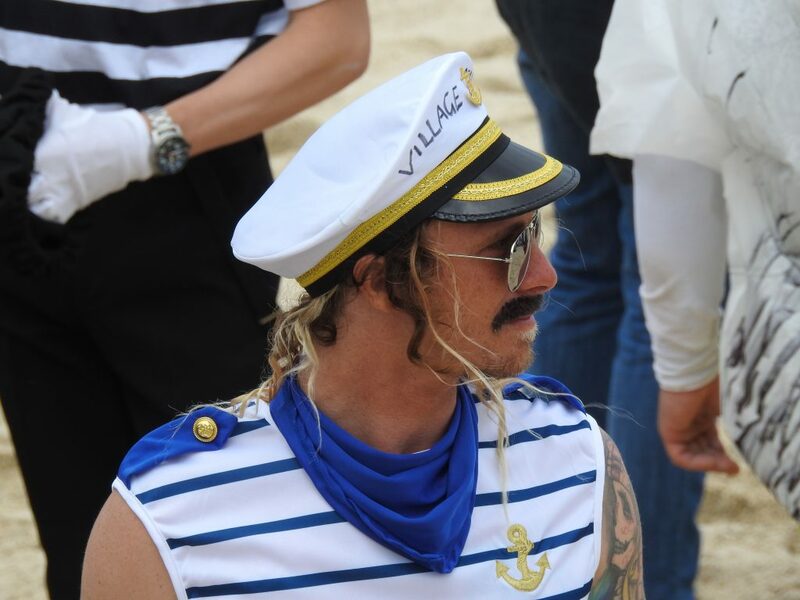 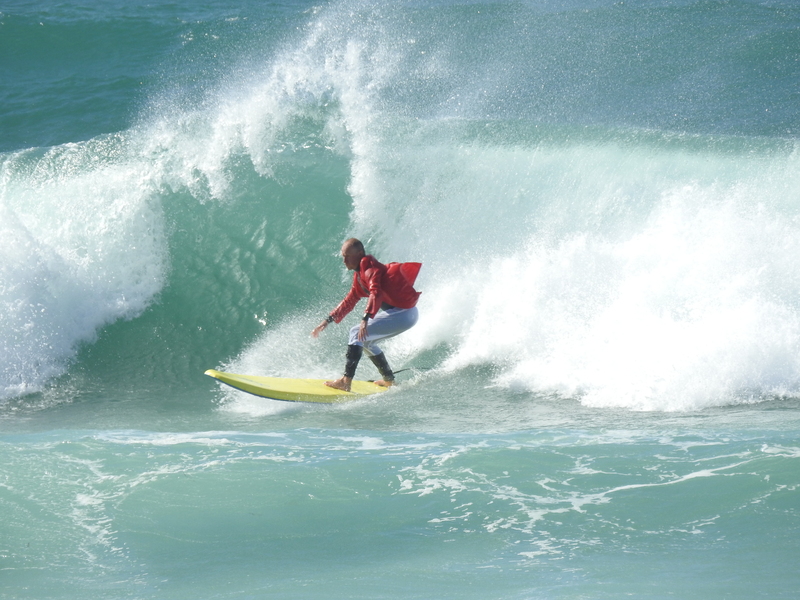 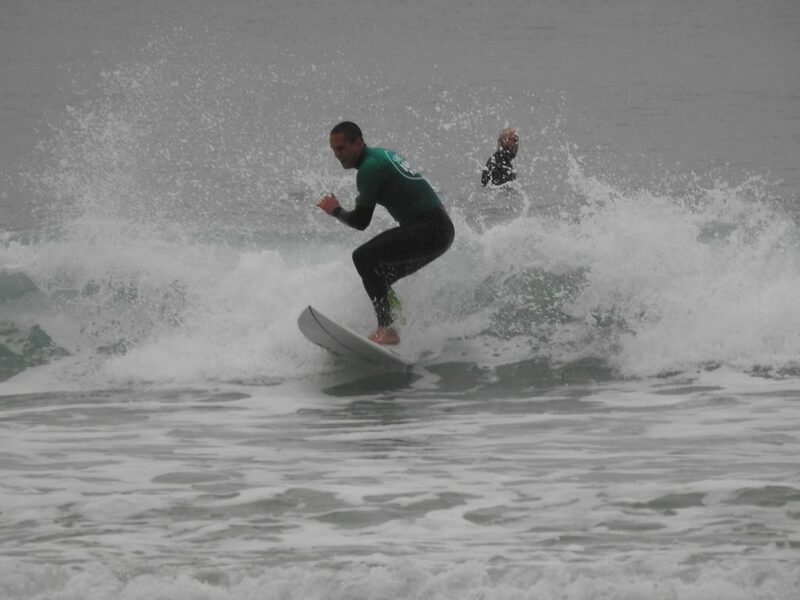 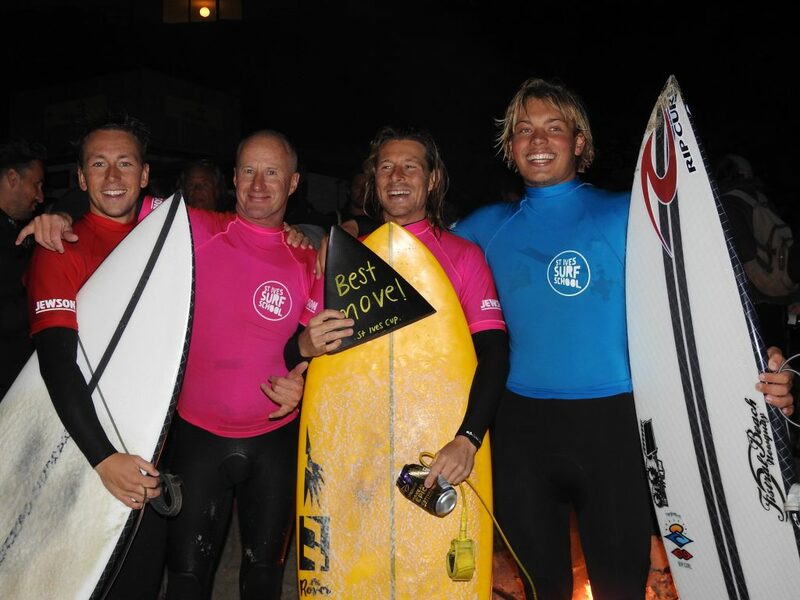 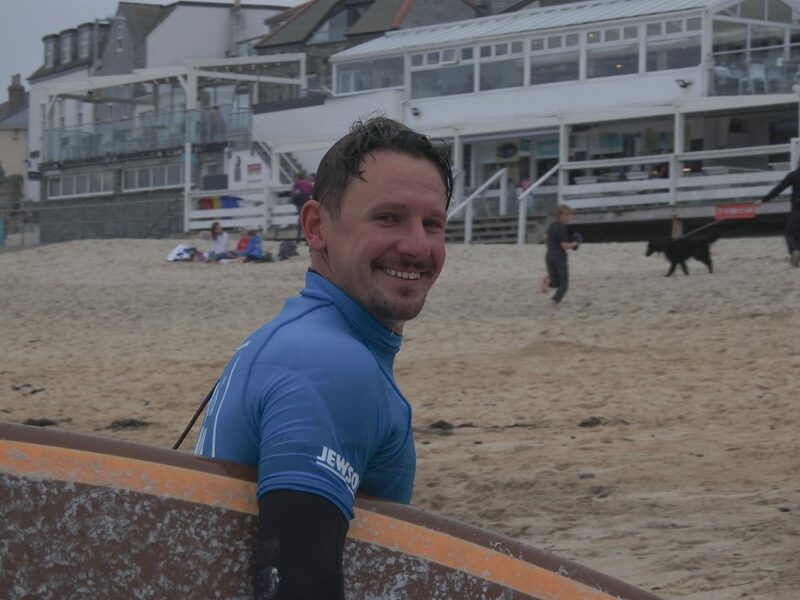 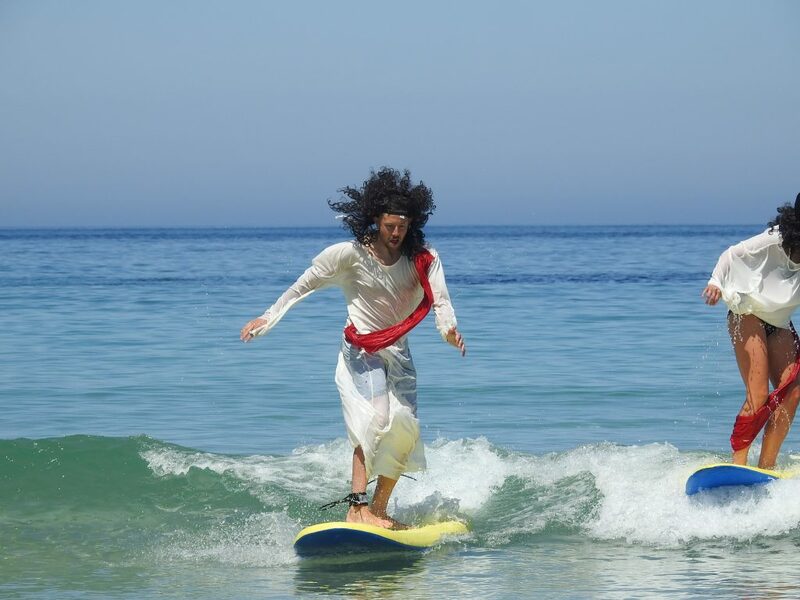 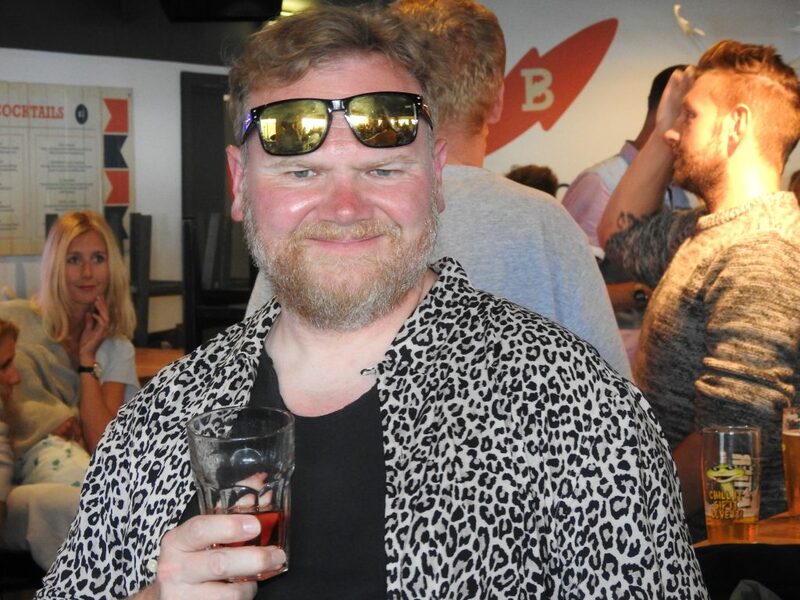 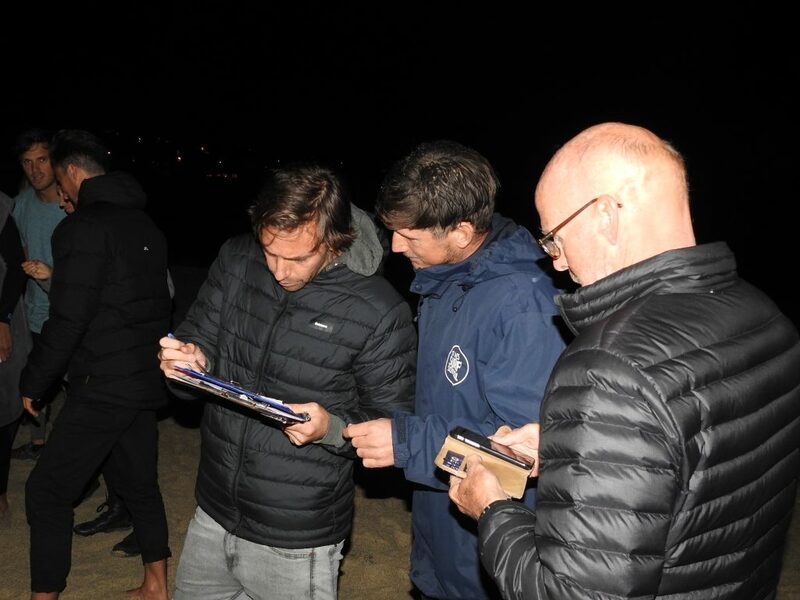 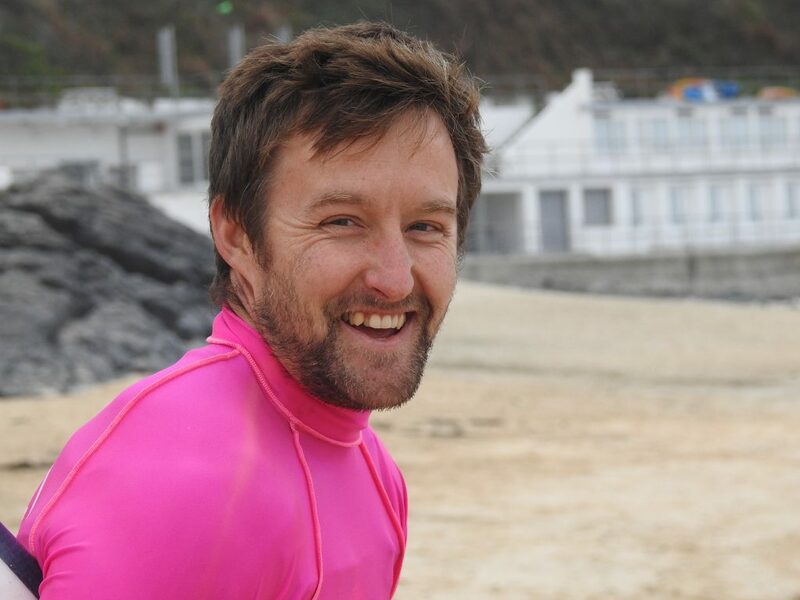 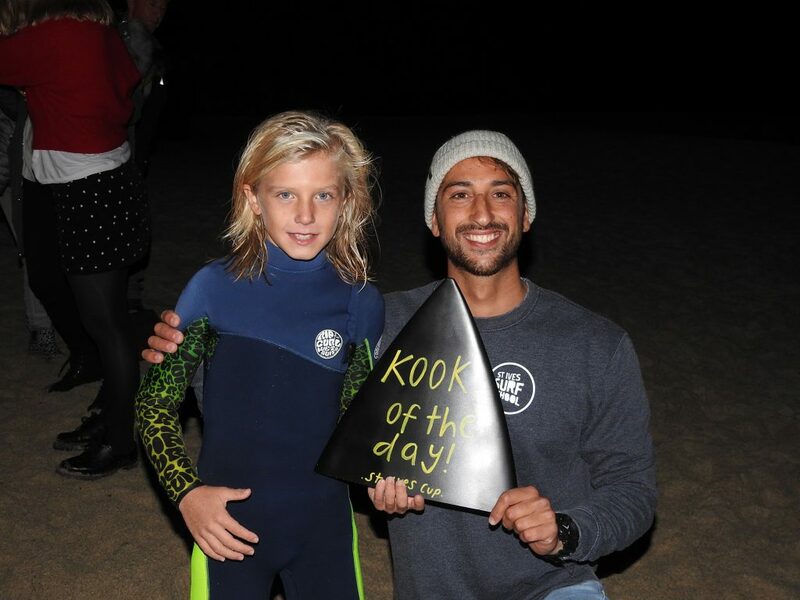 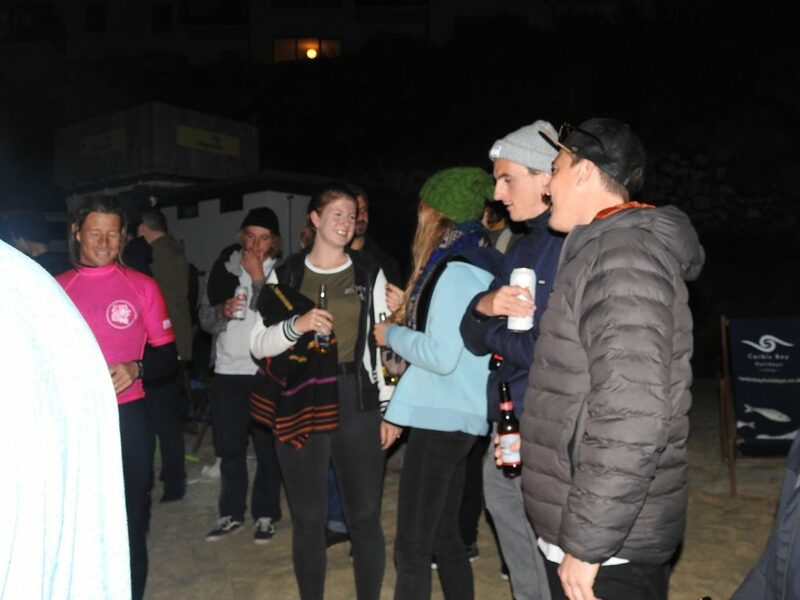 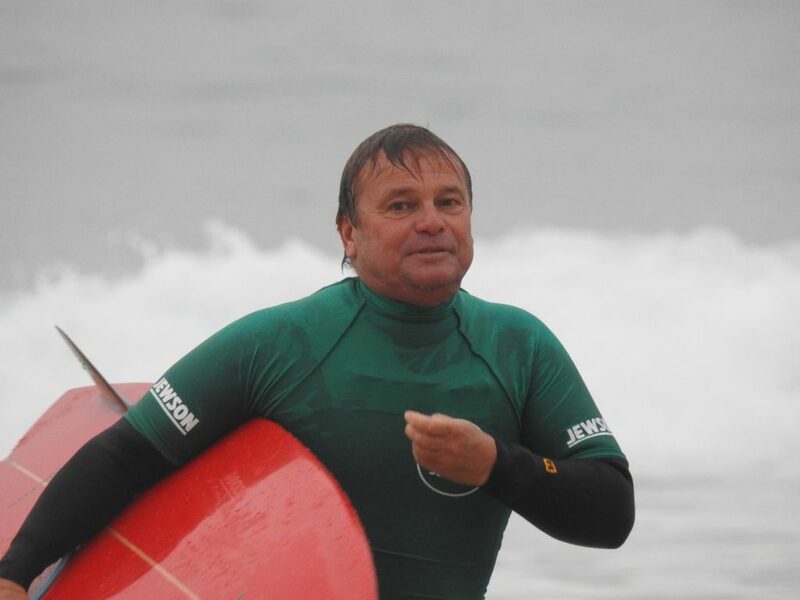 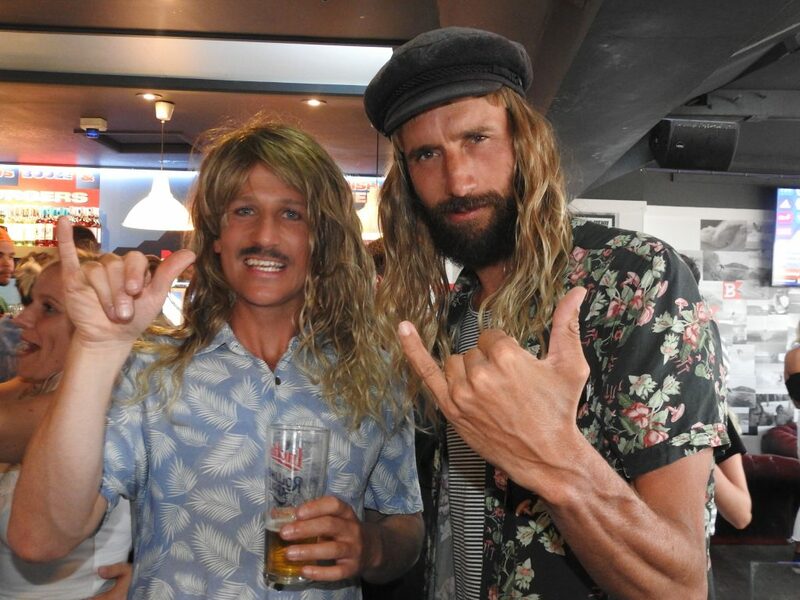 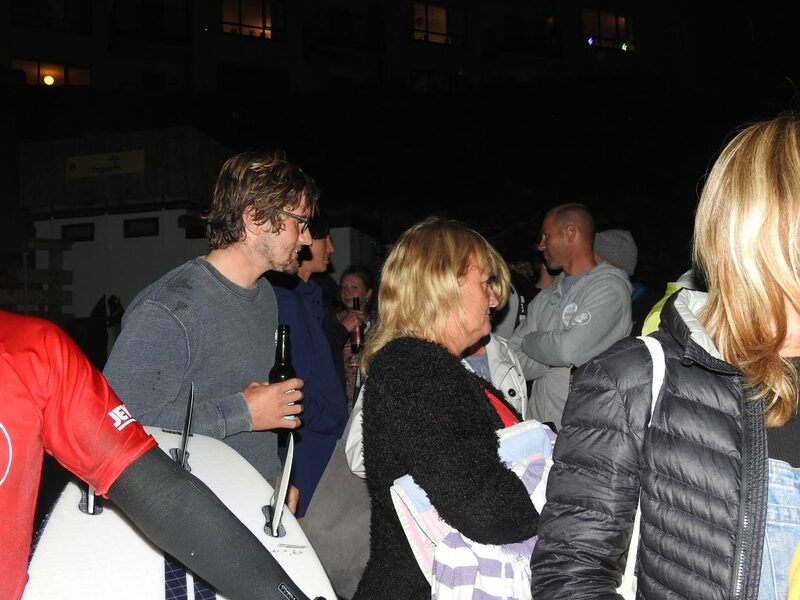 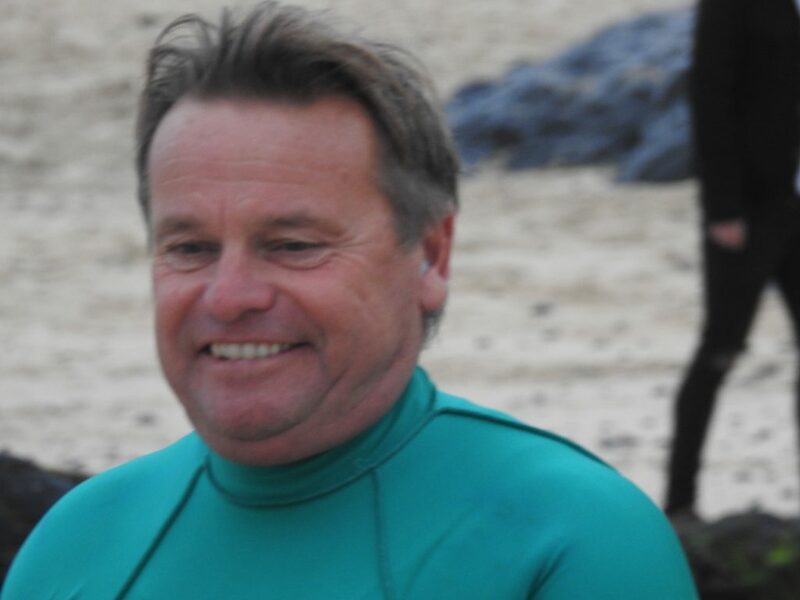 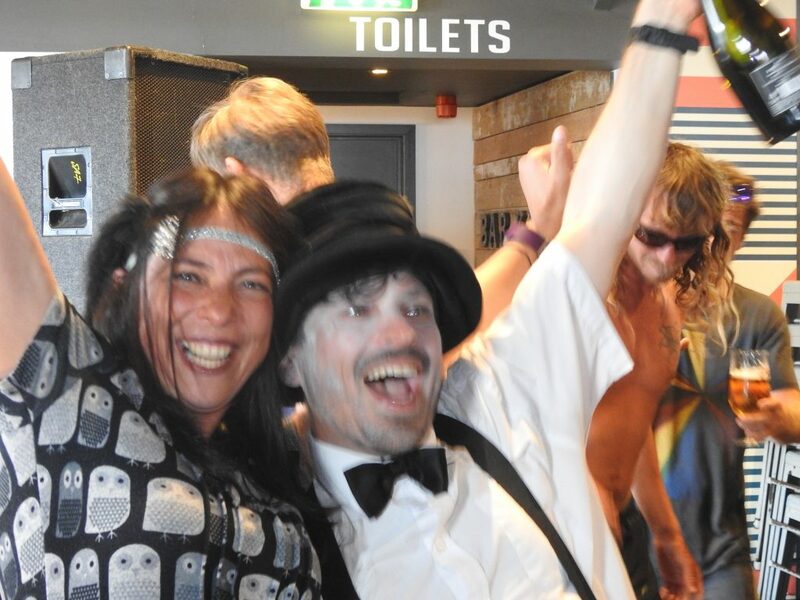 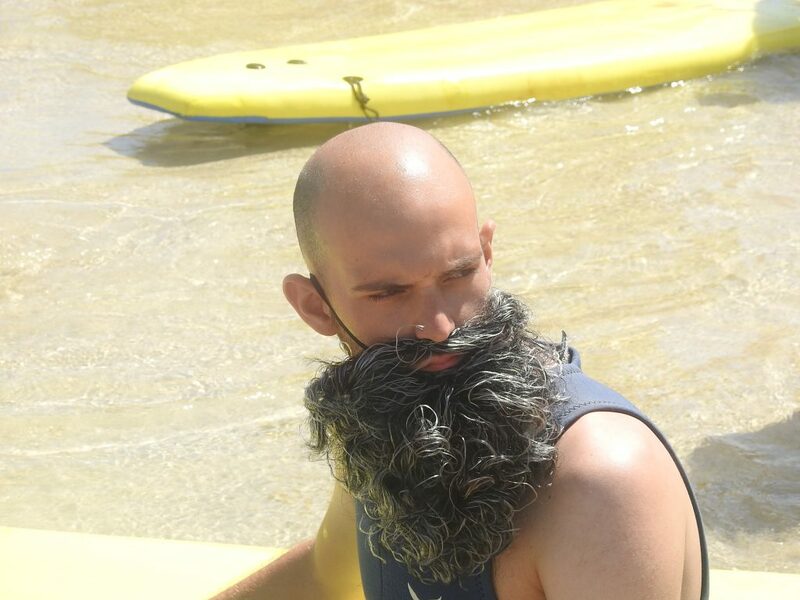 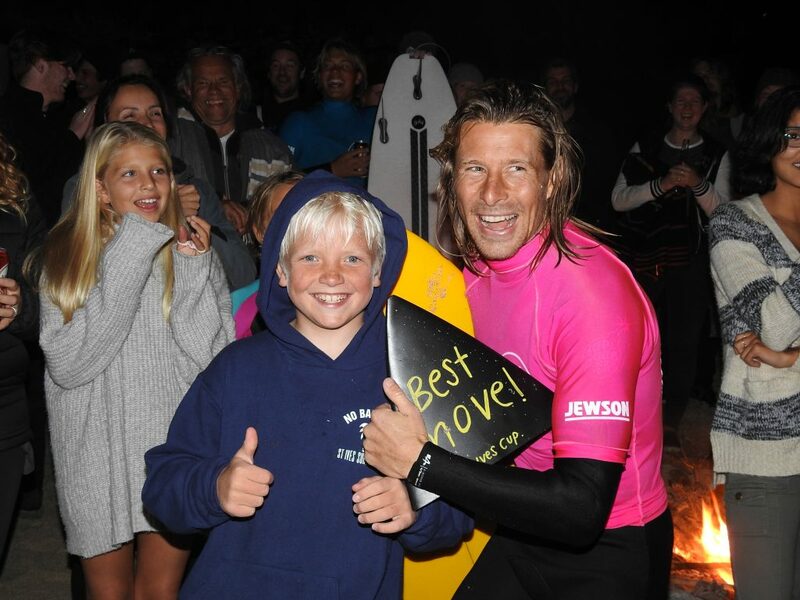 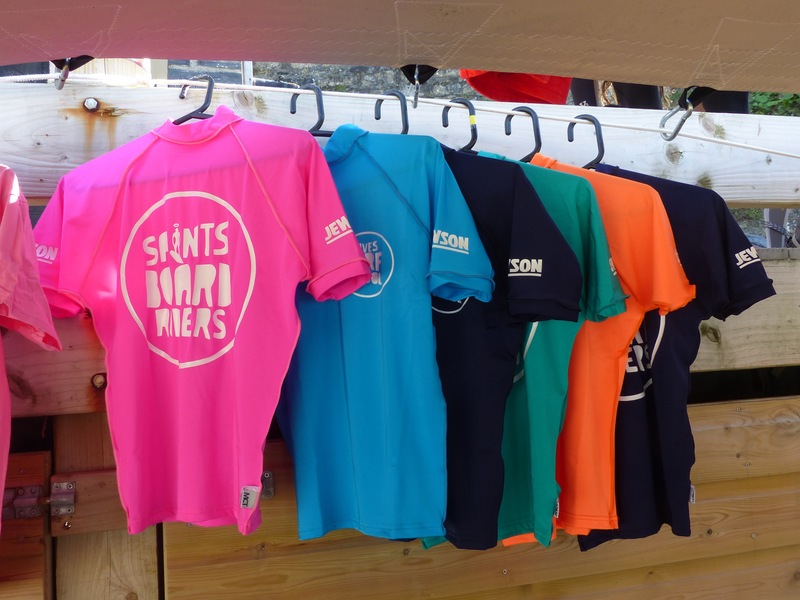 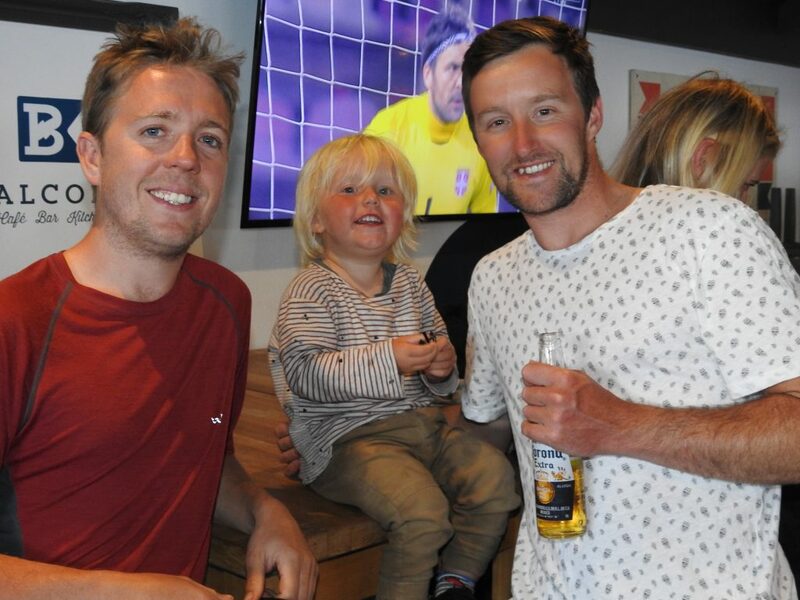 Our next finalist was a new recruit to saints boardriders, Luke Jannaway in the Mens Masters ( 35 and over). 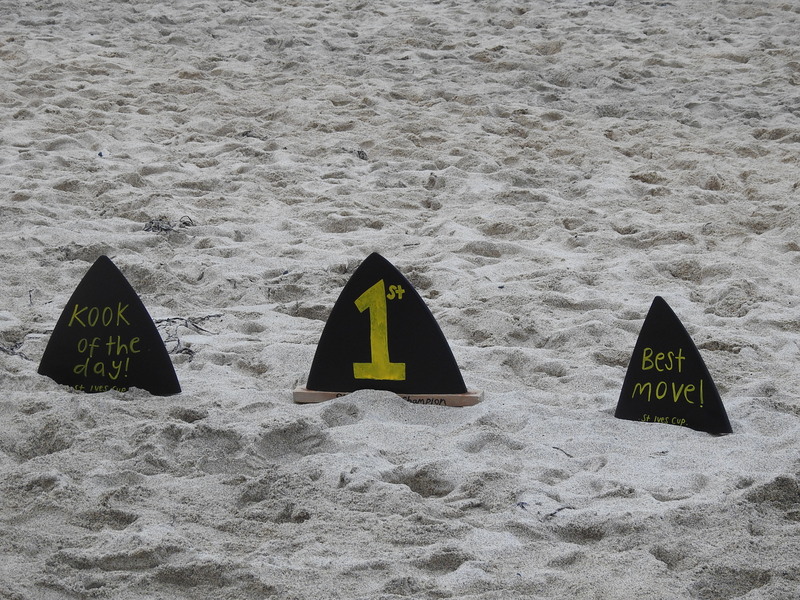 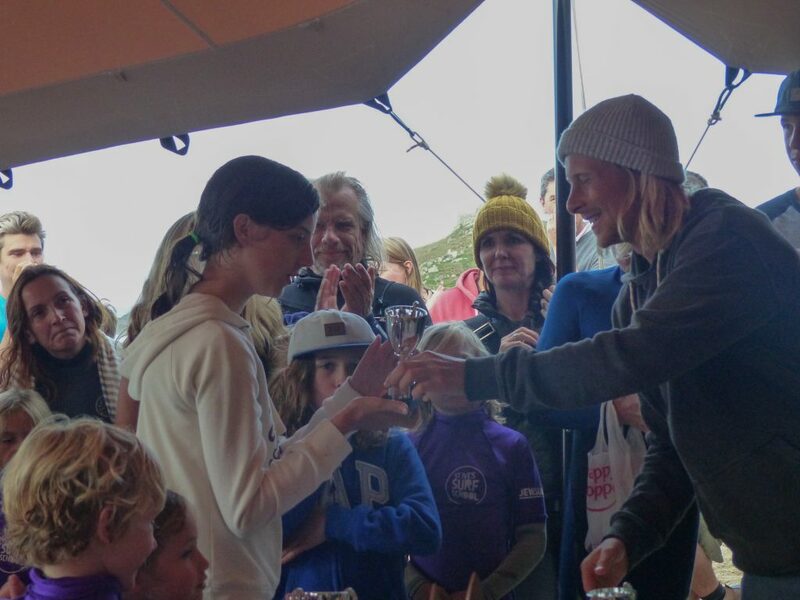 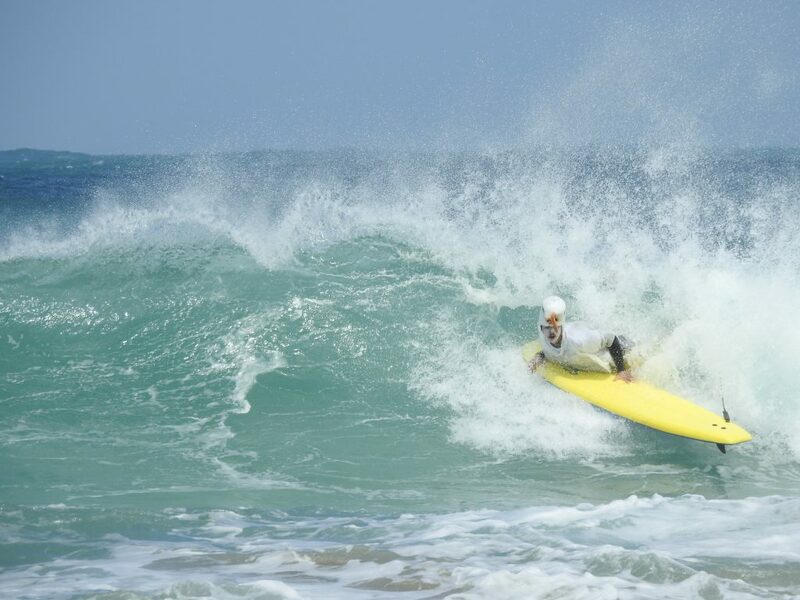 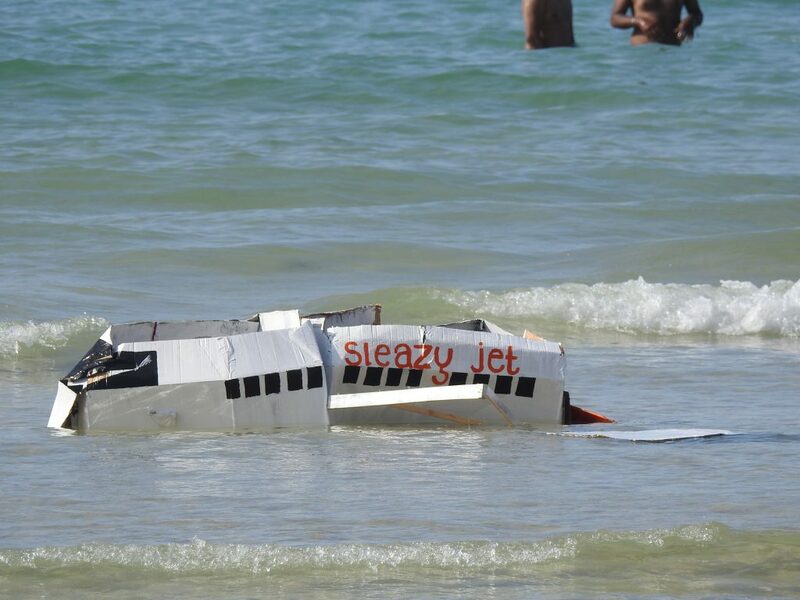 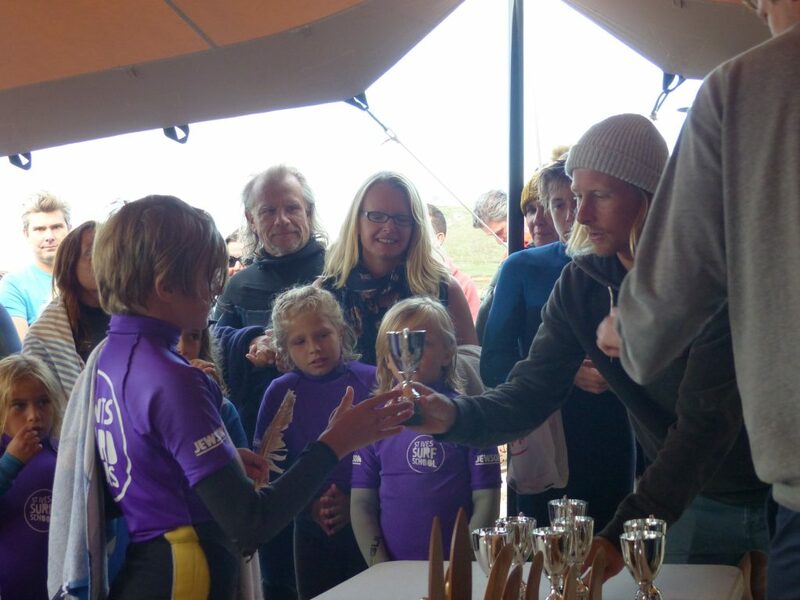 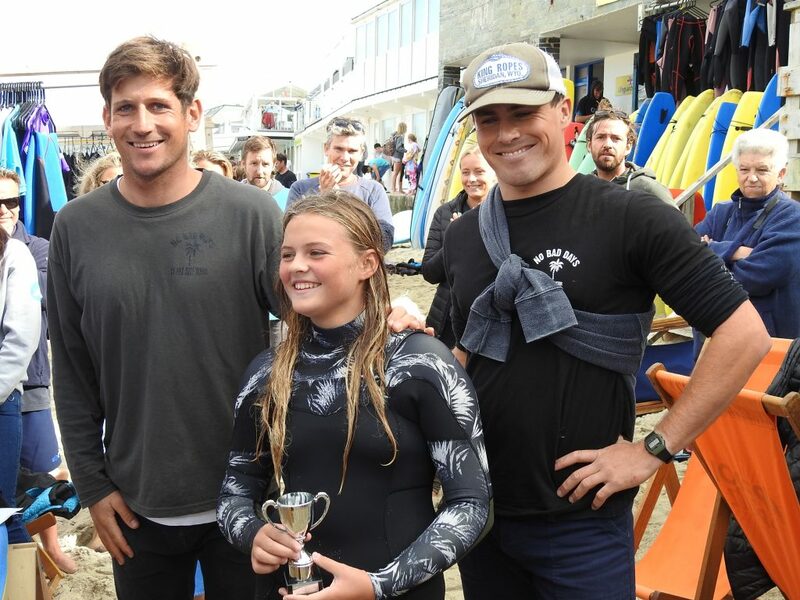 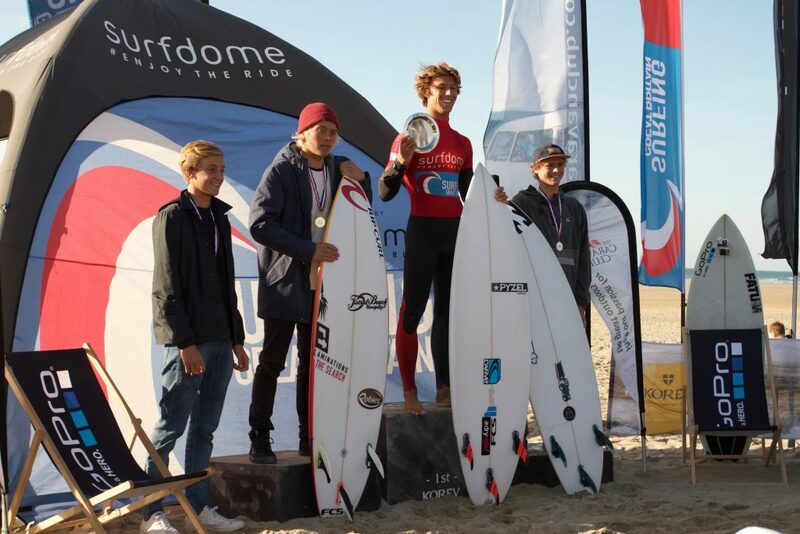 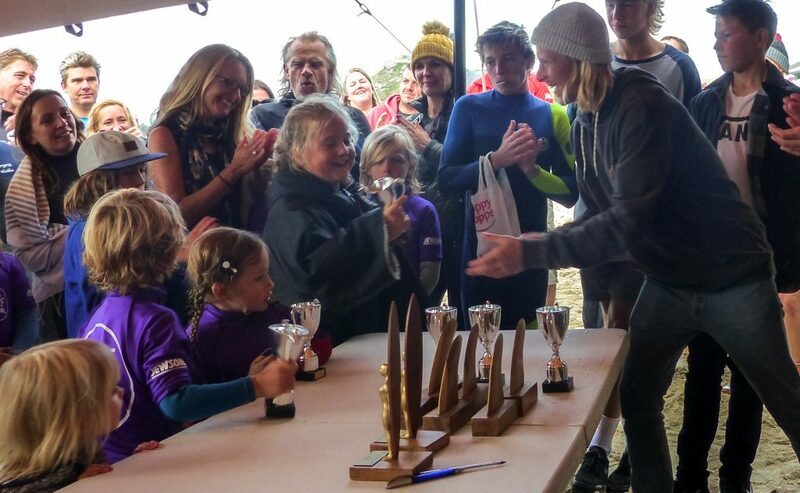 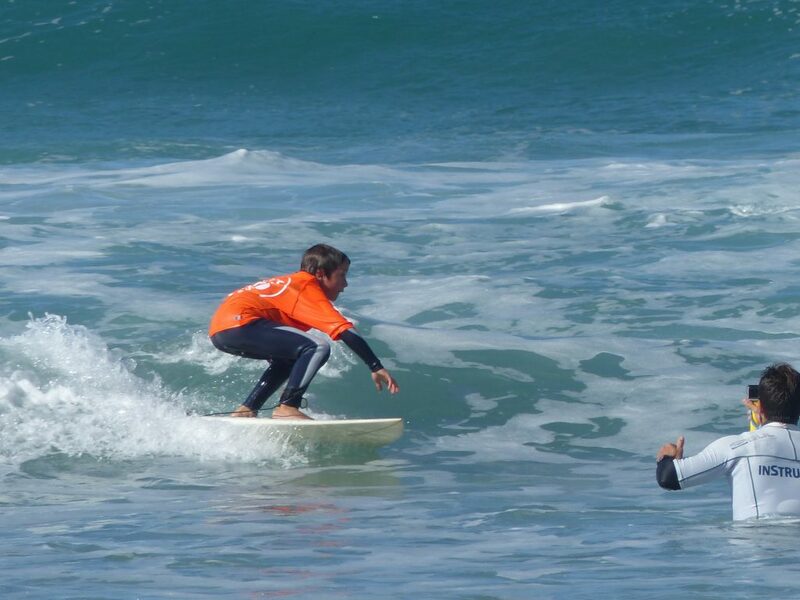 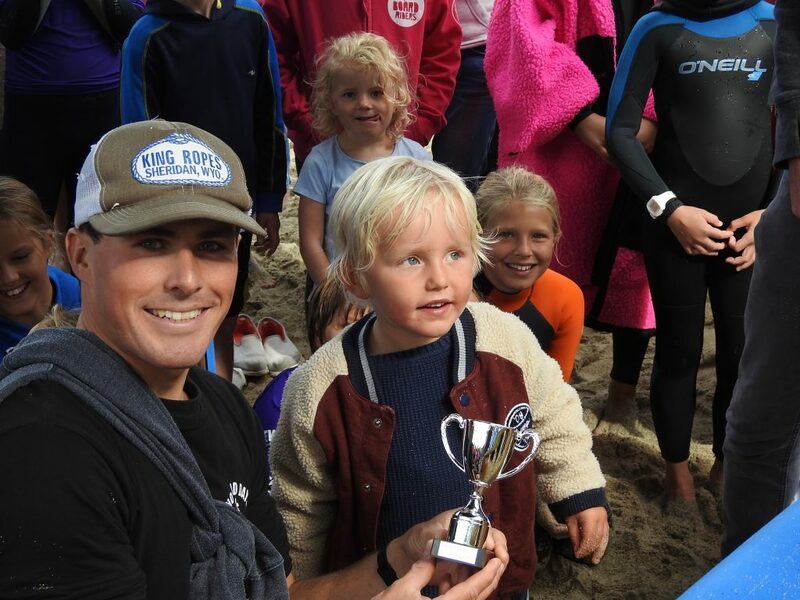 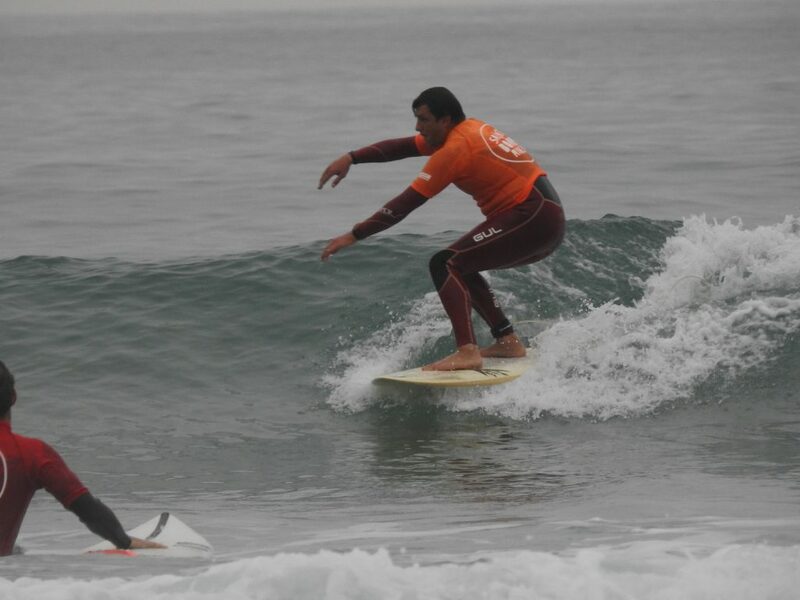 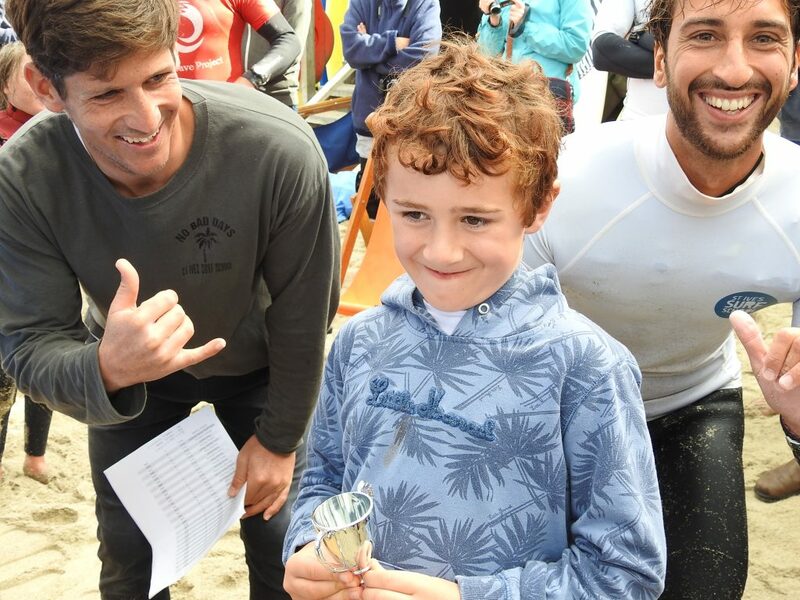 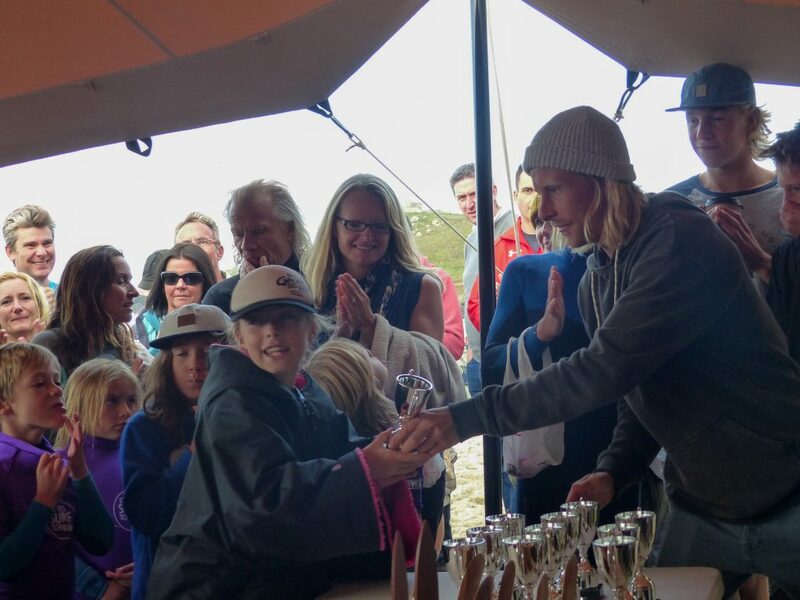 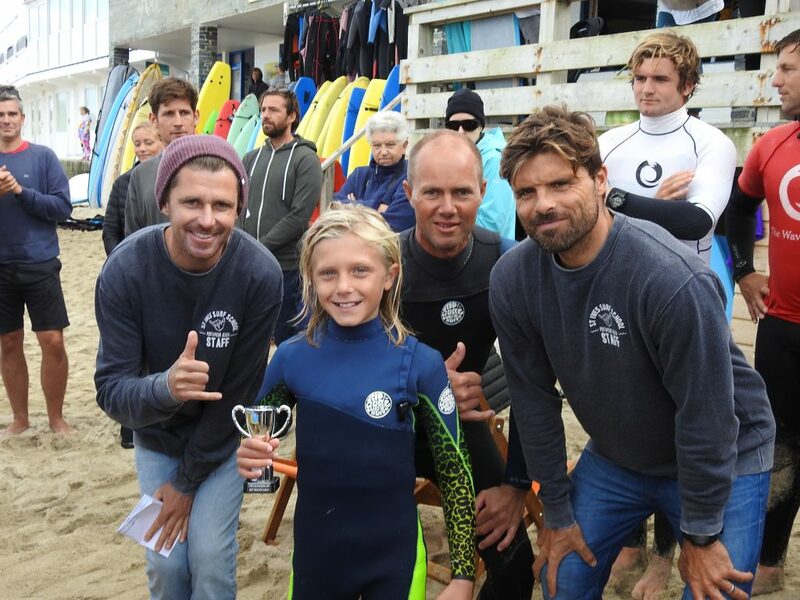 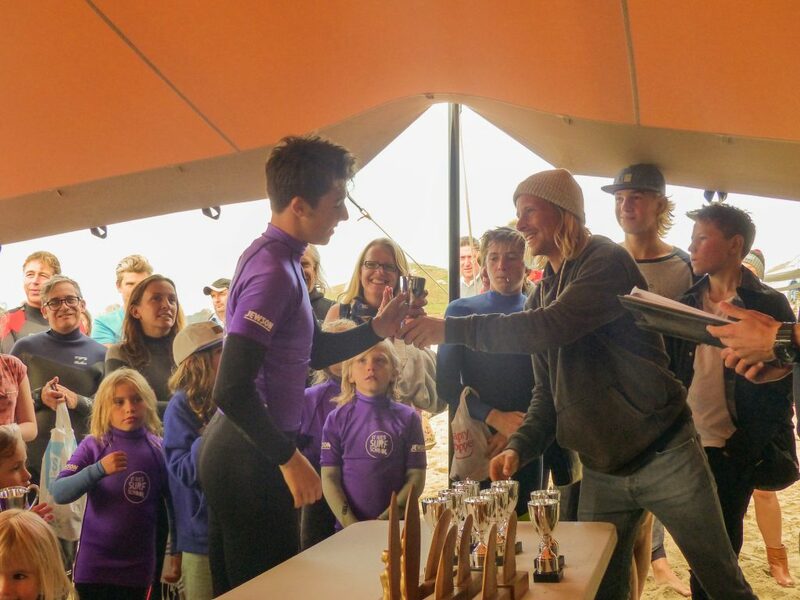 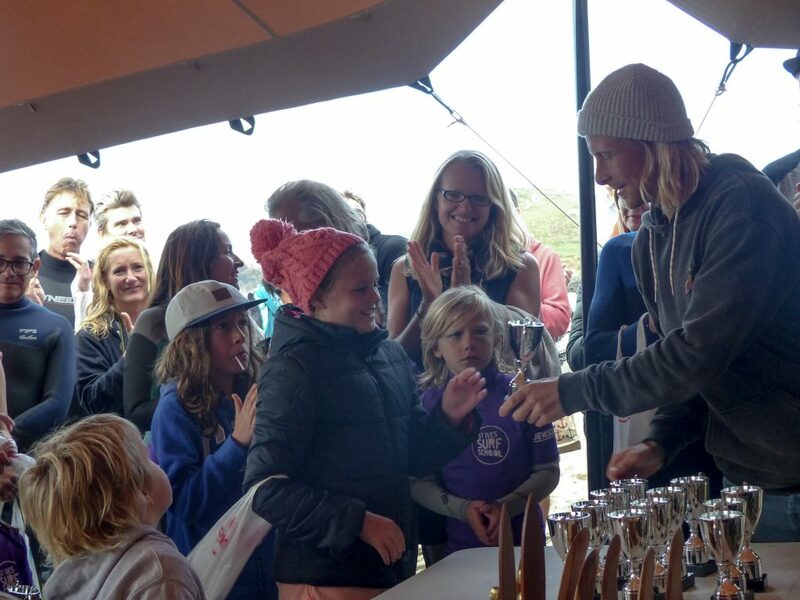 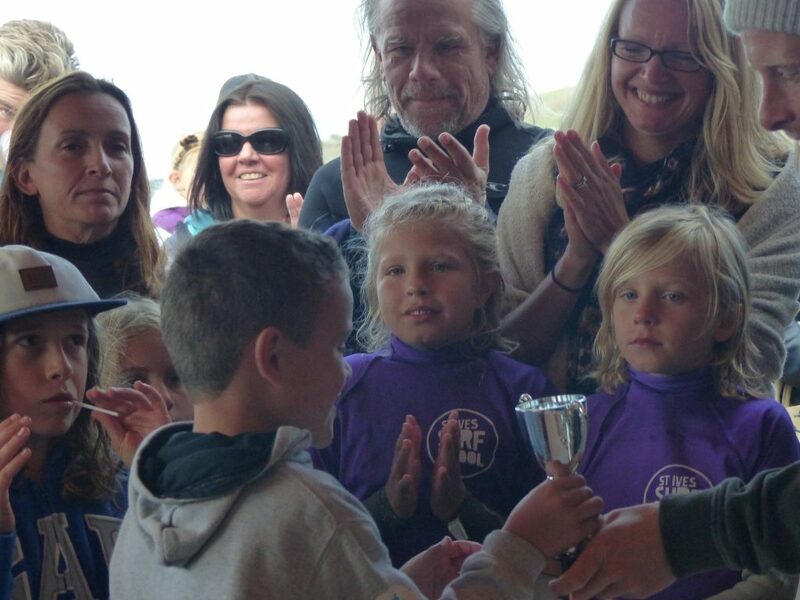 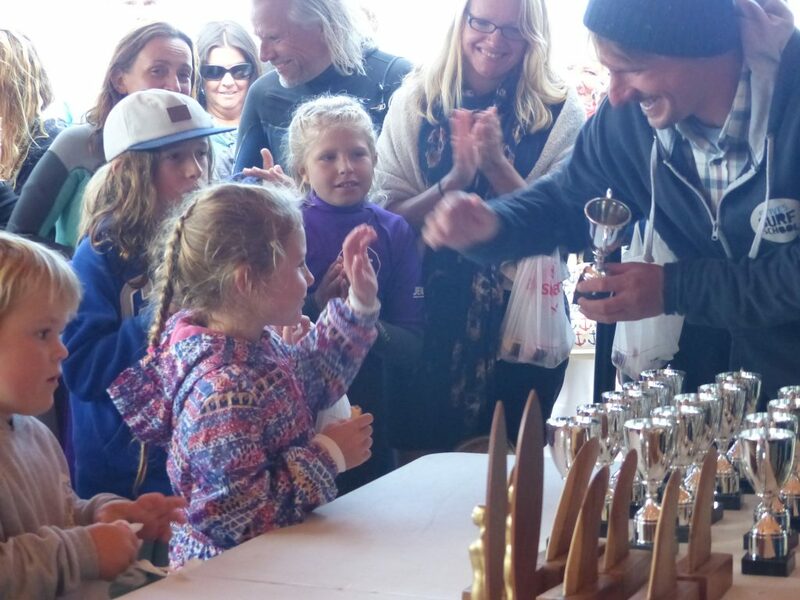 In a hotly contested heat, Luke earned fourth place, crowning a good weekend’s surfing. 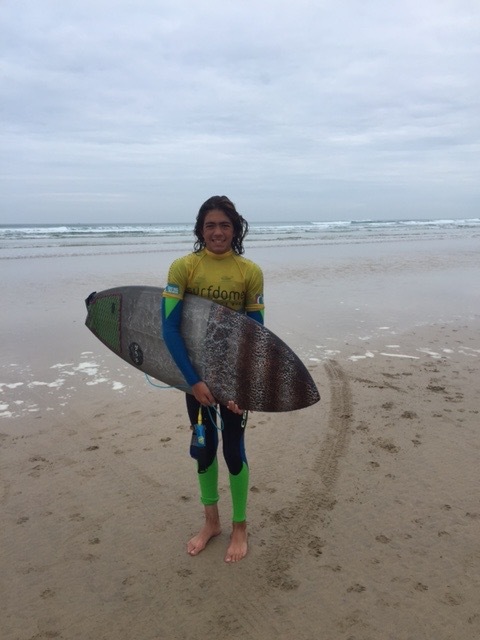 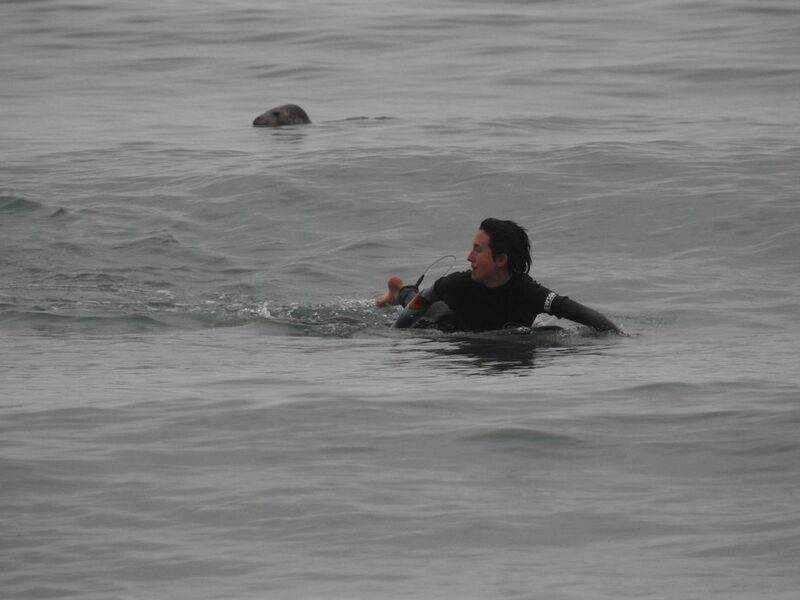 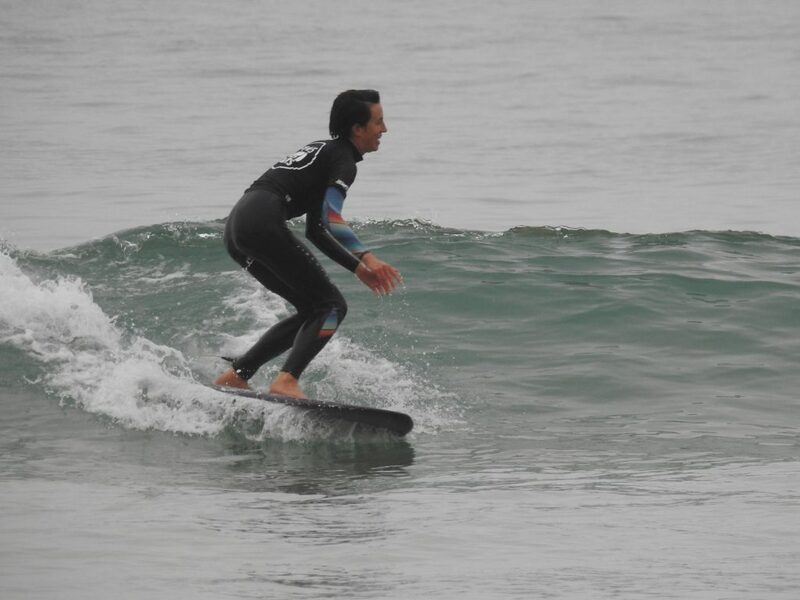 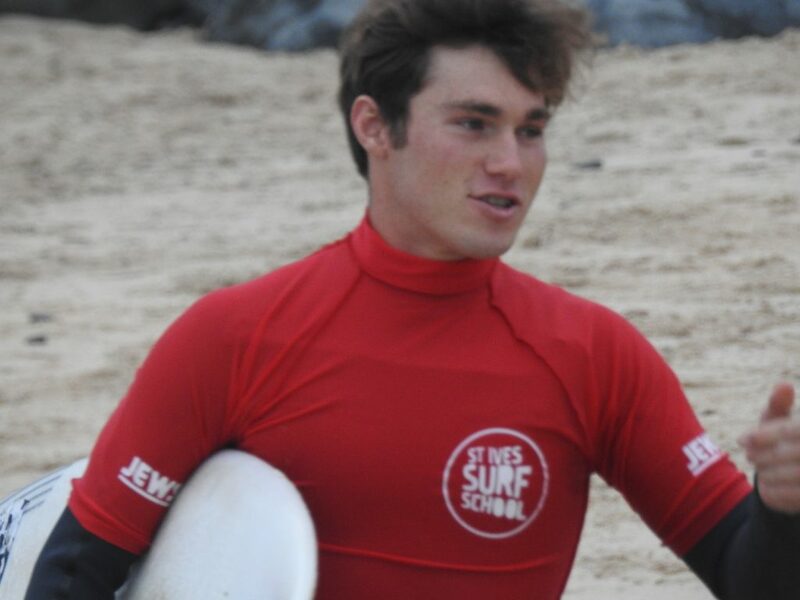 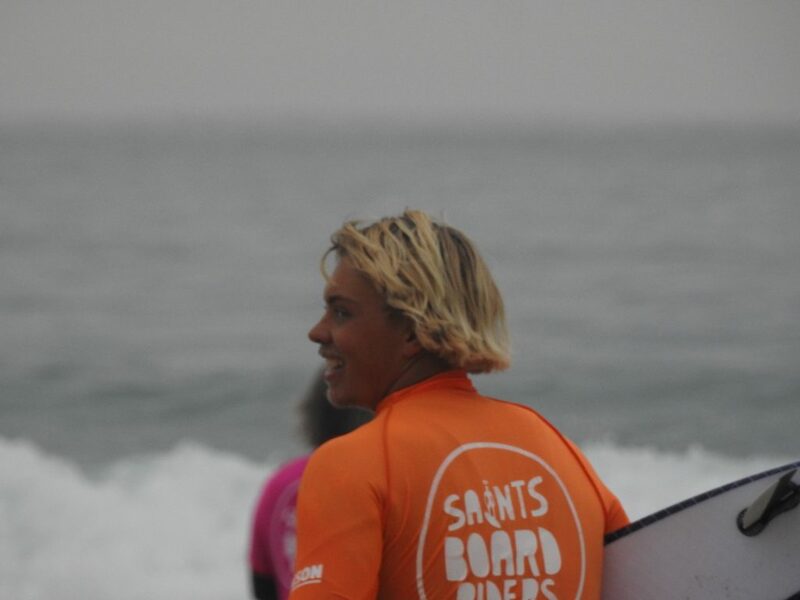 Next up among the saints boardriders team was Harry De Roth in the Under-18 Boys. 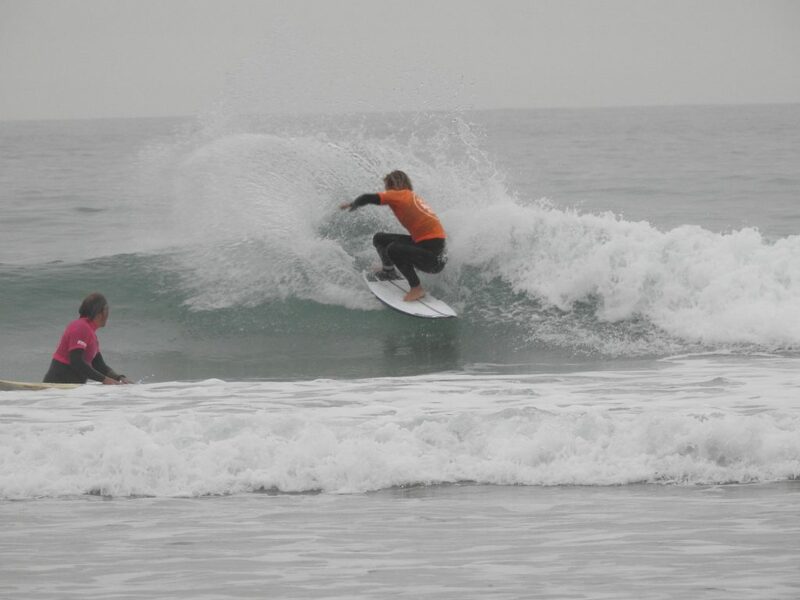 Harry has won several National titles as he has moved up through the age groups, and this was his last shot as a junior before moving into the Mens Open bracket. 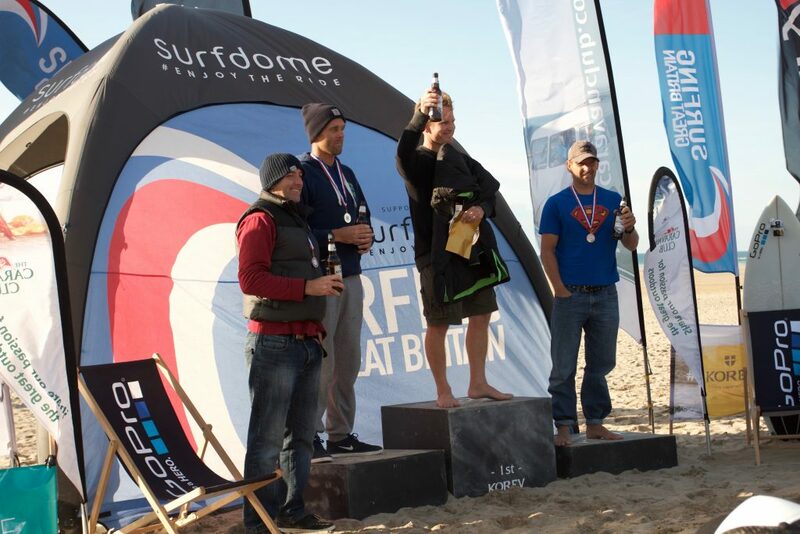 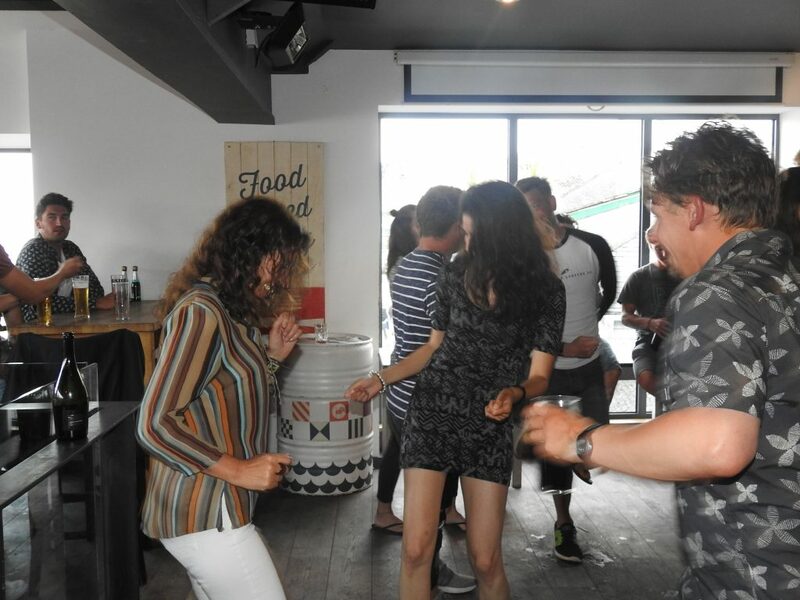 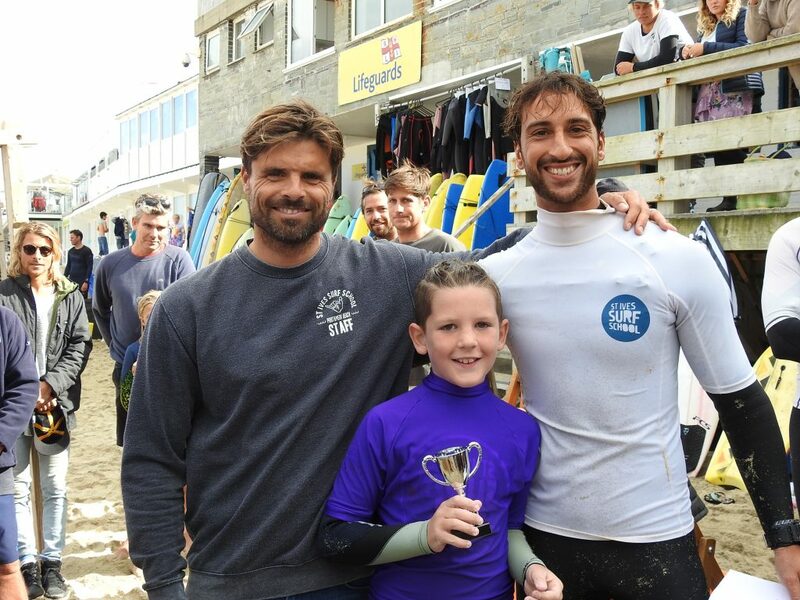 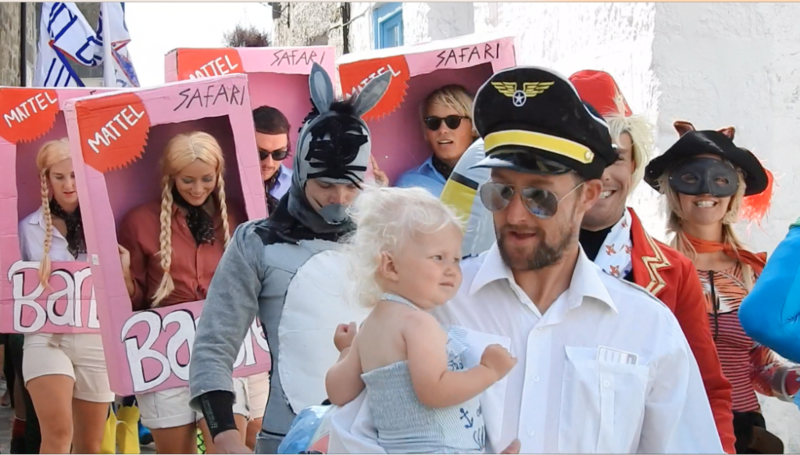 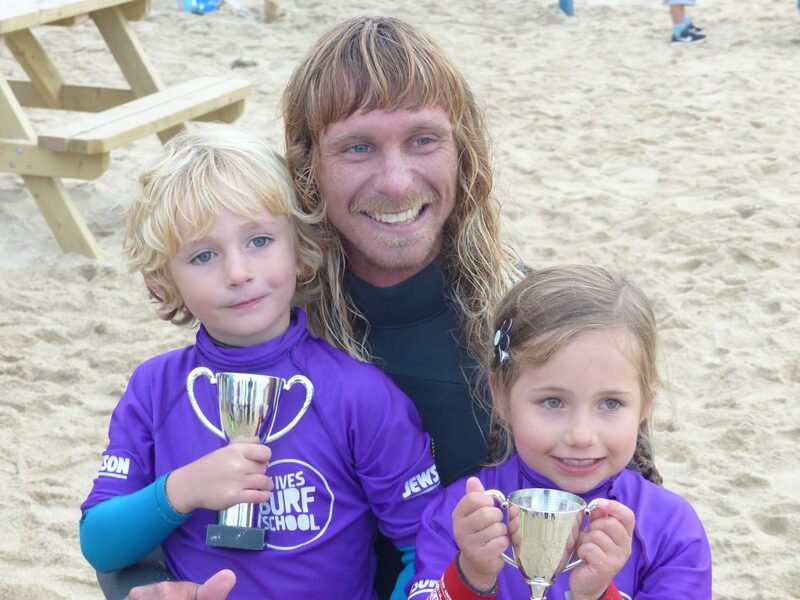 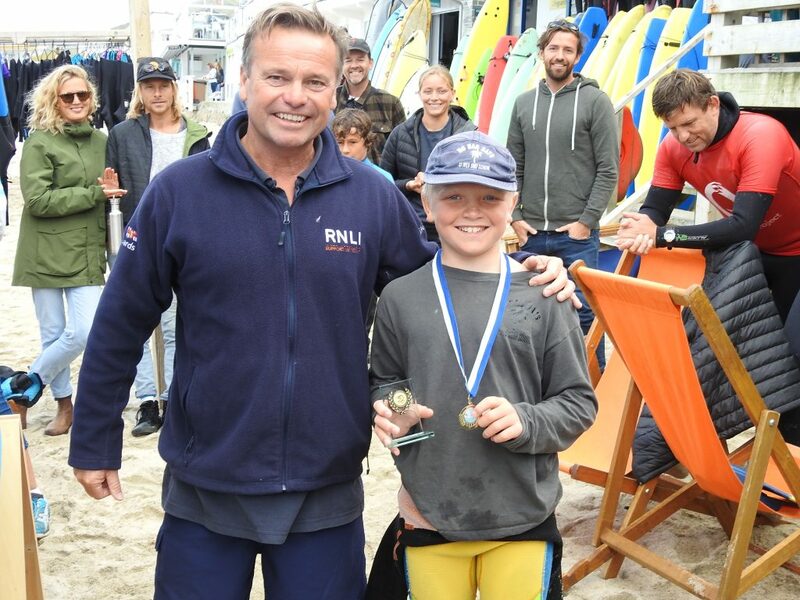 This time he had to settle for second place as Croyde’s Will Bailey took the honours in a keenly anticipated final. 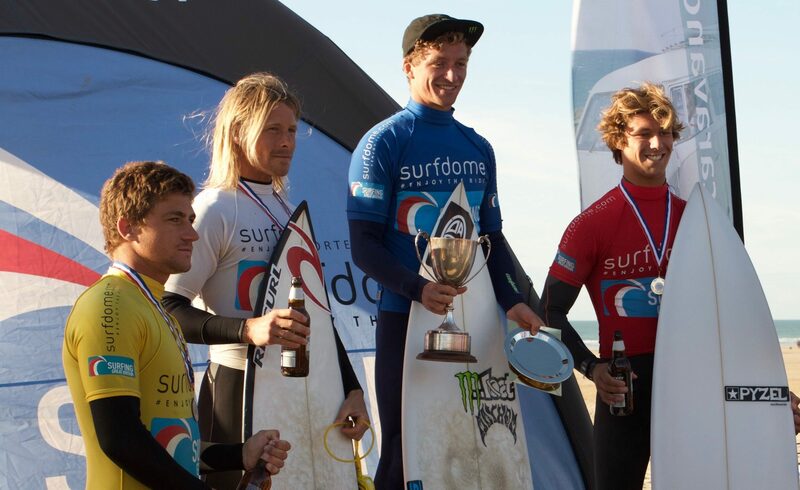 So there remained only Jayce Robinson in the Mens Open if there was to be a British title coming back to St. Ives this year. 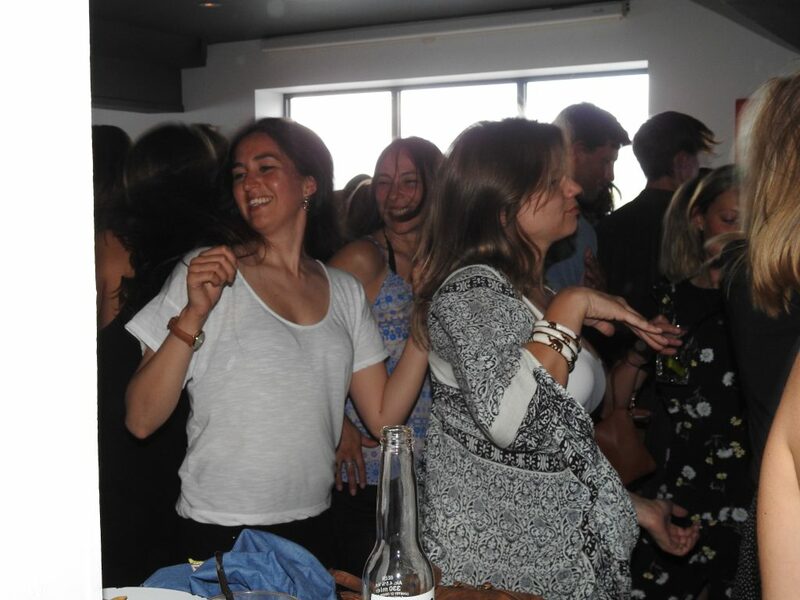 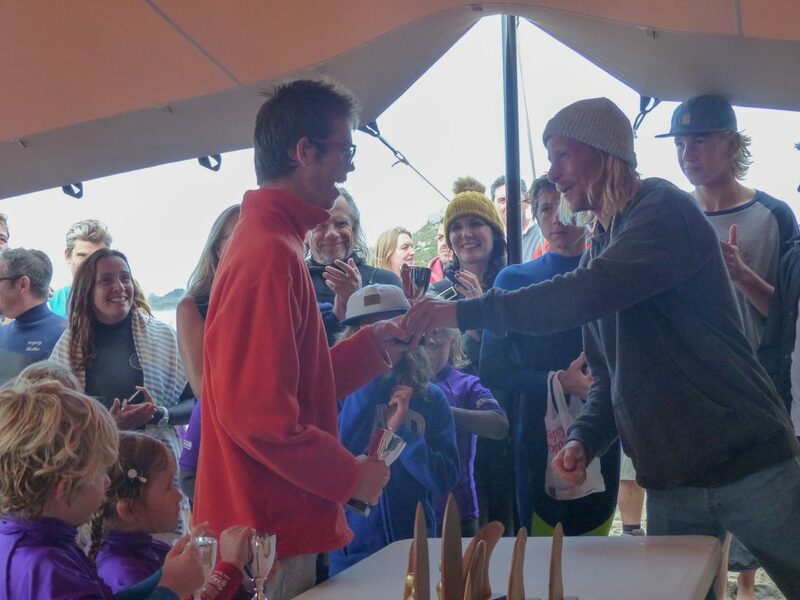 And it looked very much on as Jayce found the left-handers to his liking, showing his flowing backhand style and taking the fight to his fellow finalists. 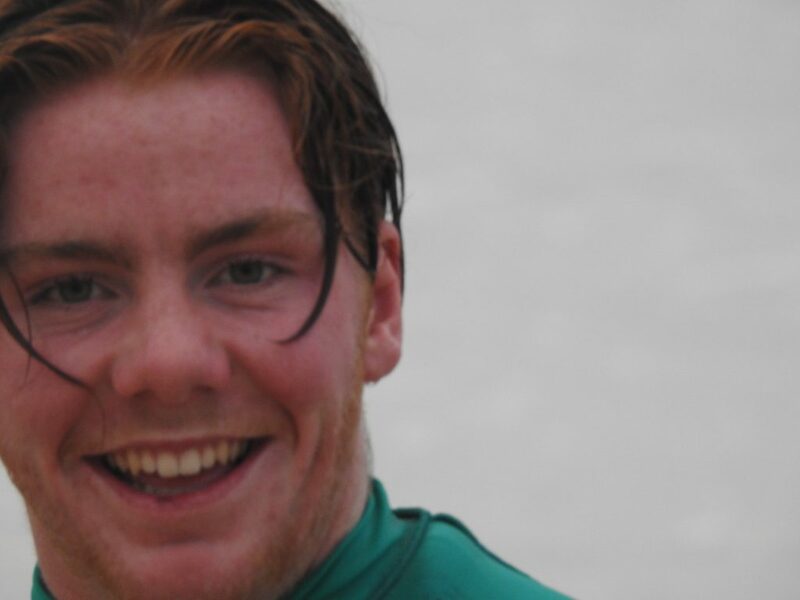 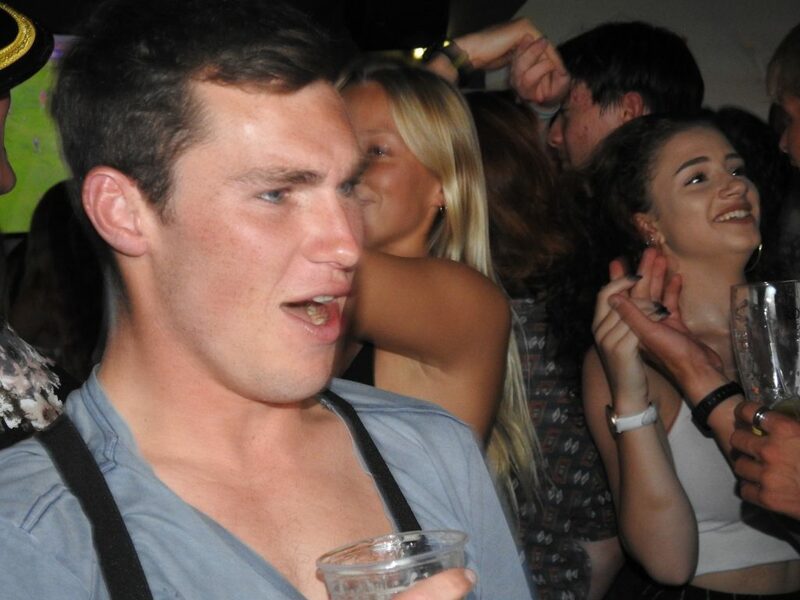 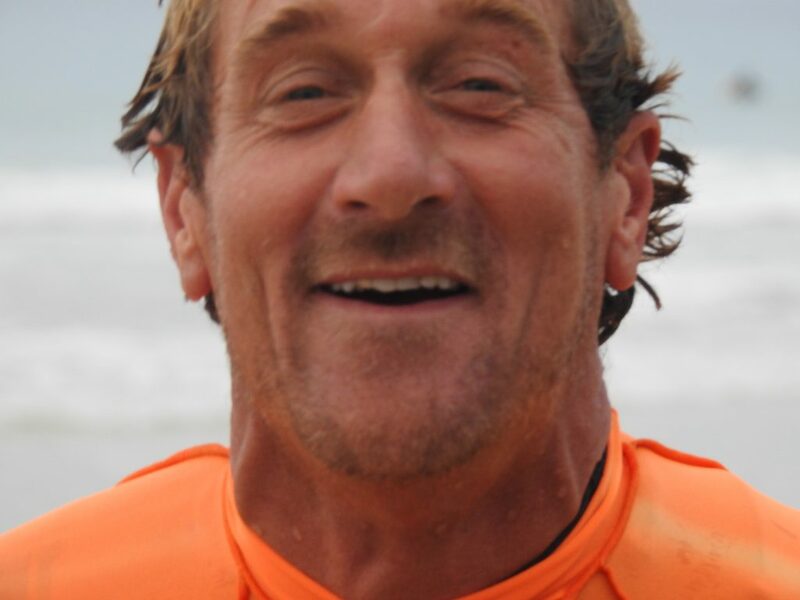 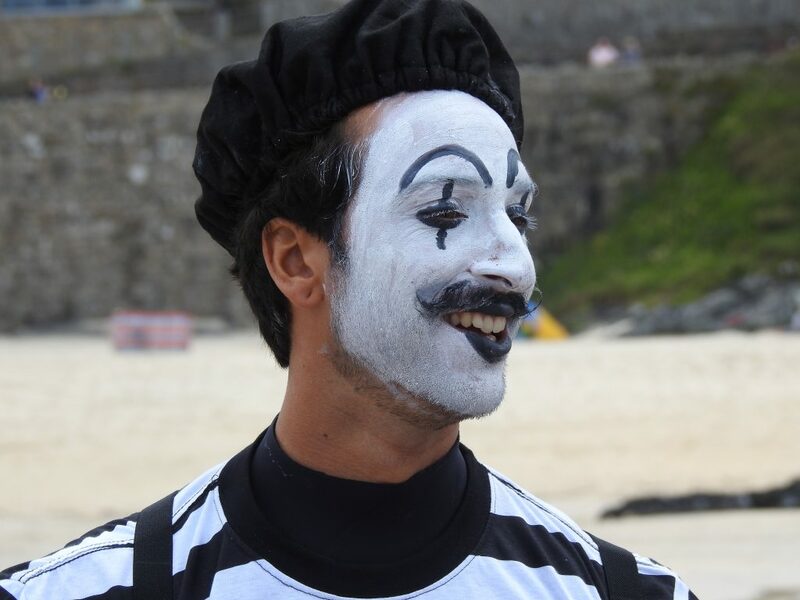 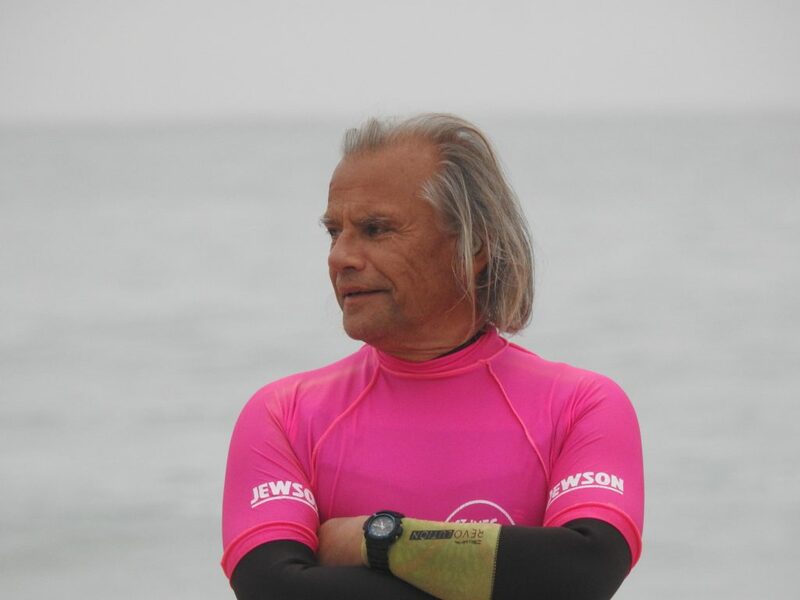 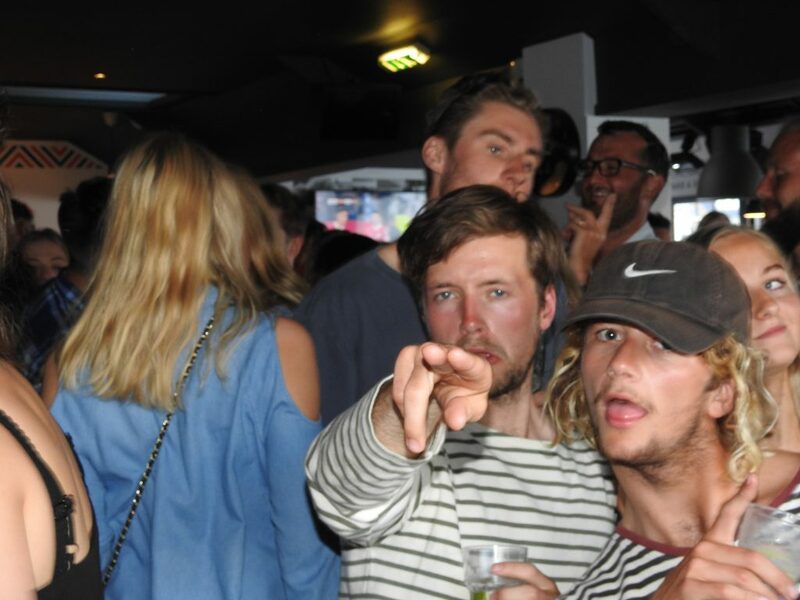 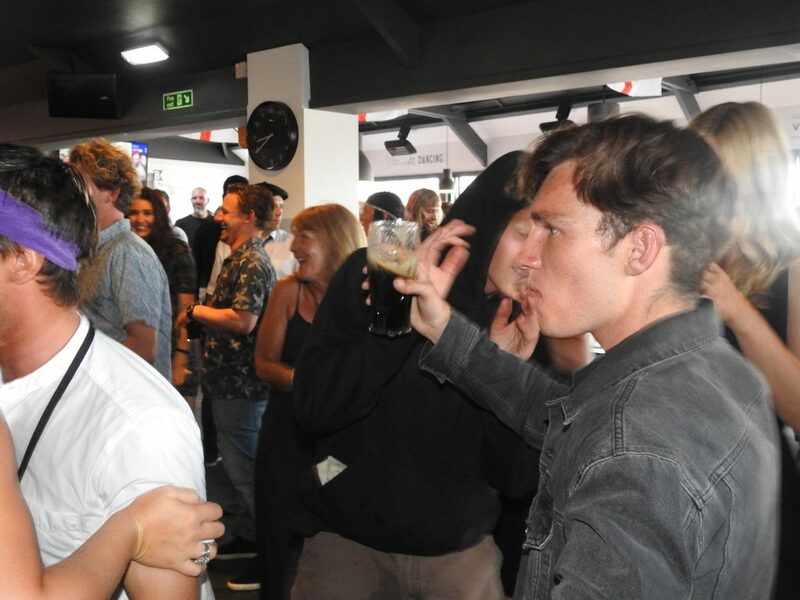 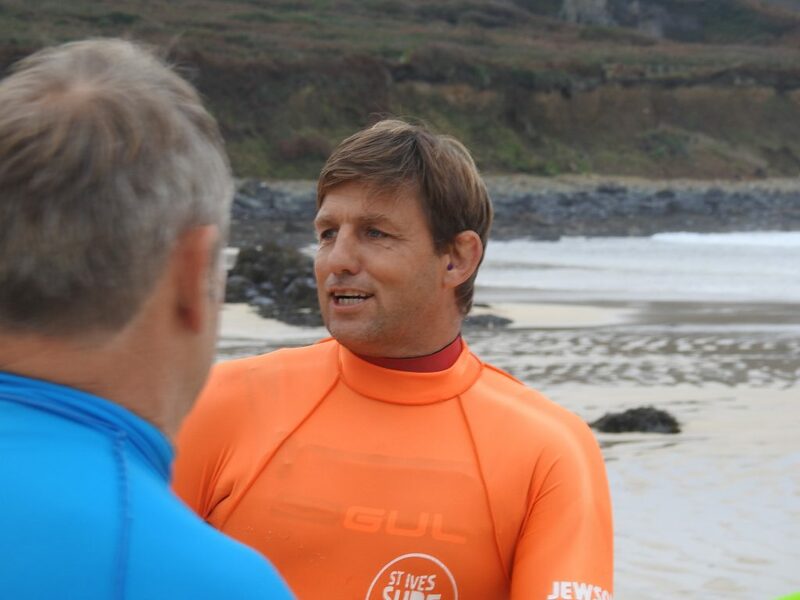 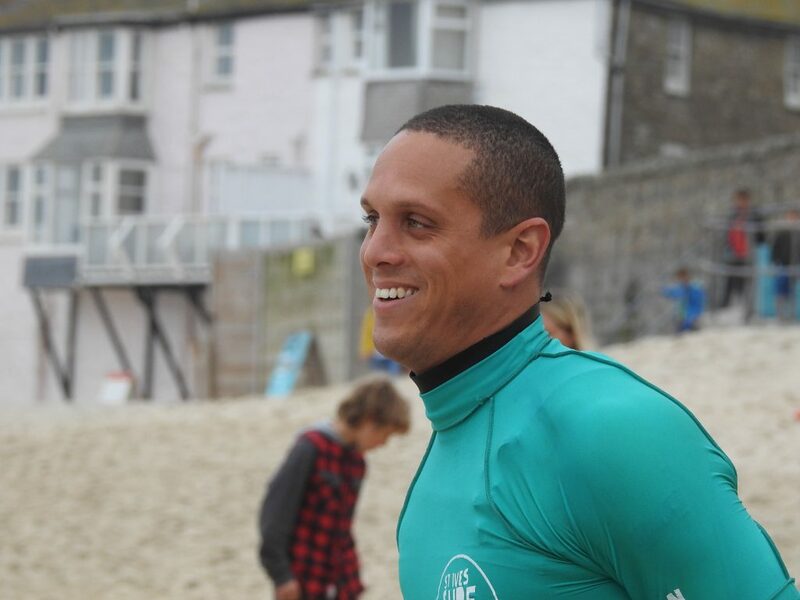 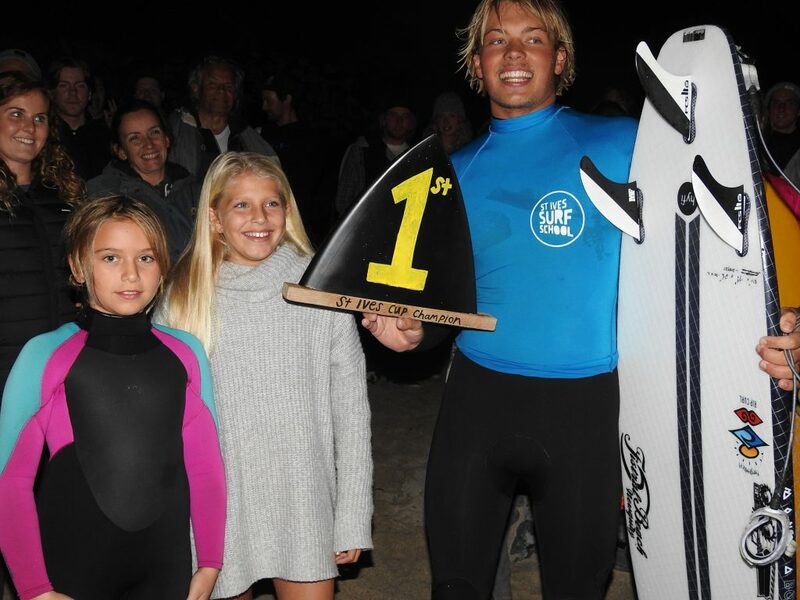 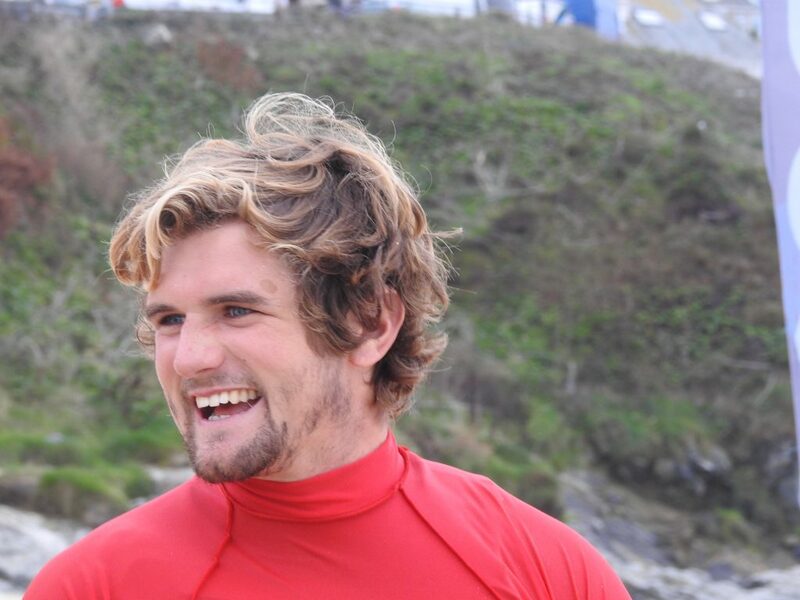 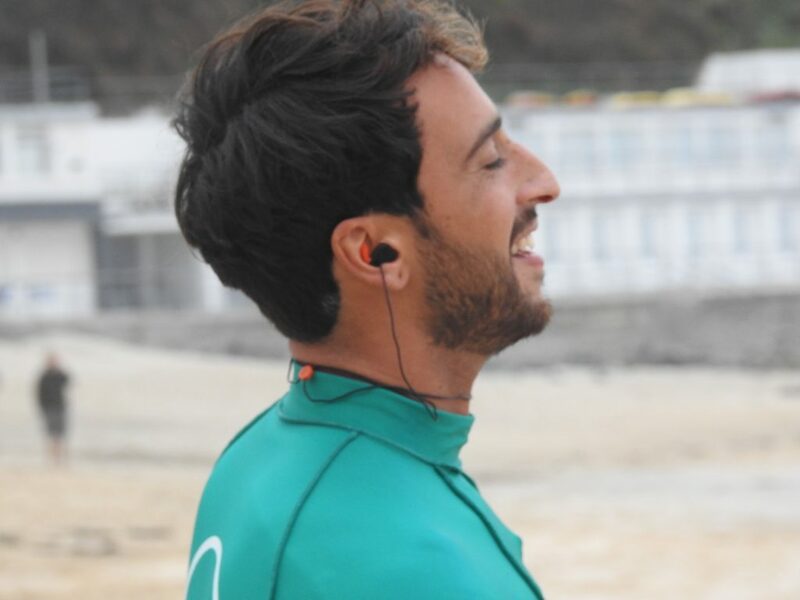 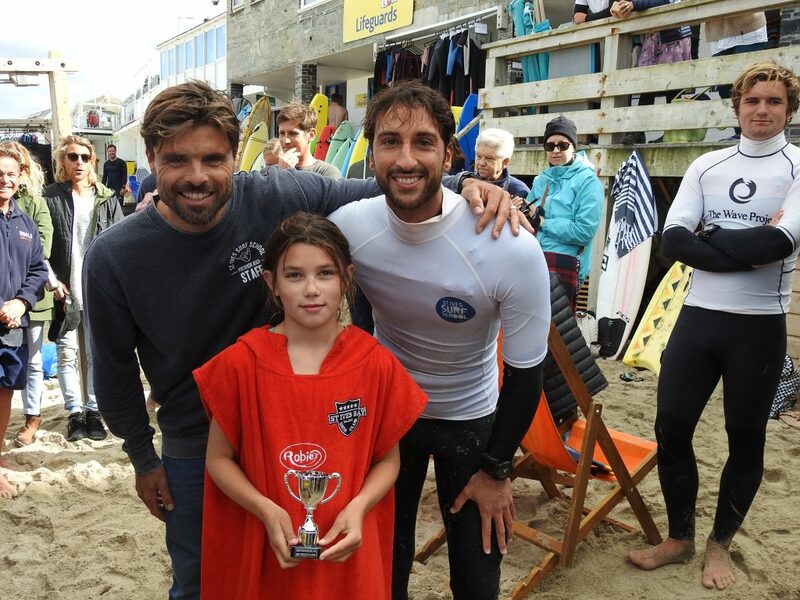 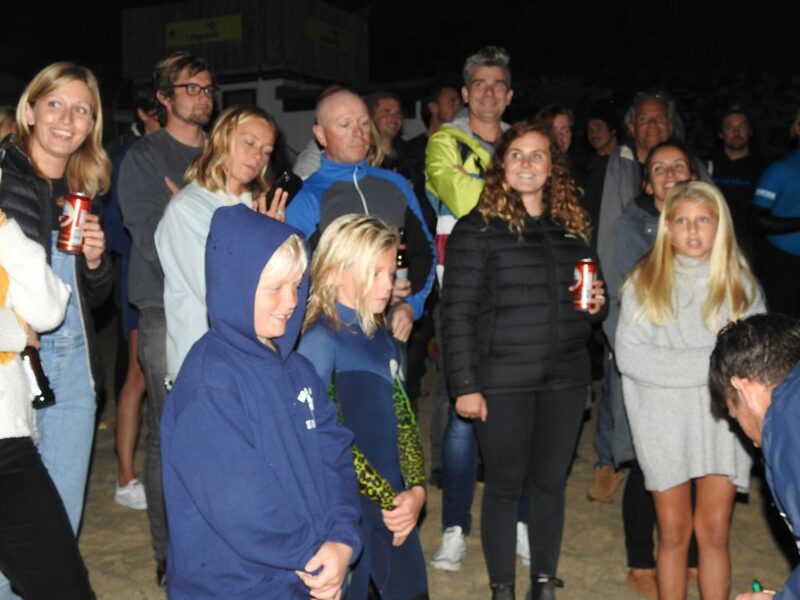 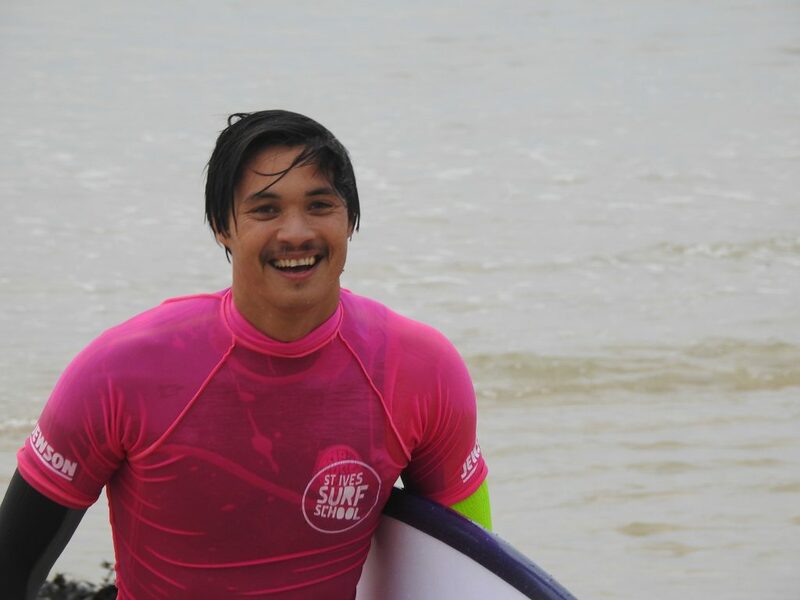 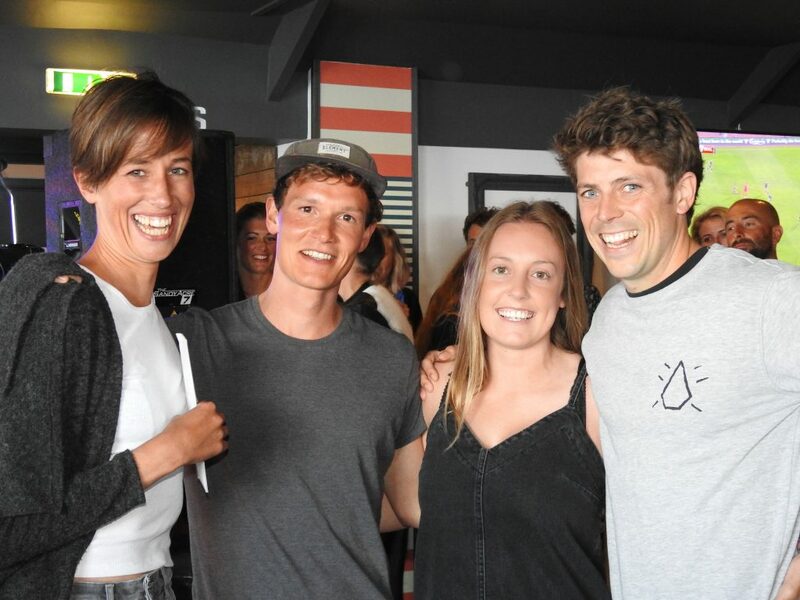 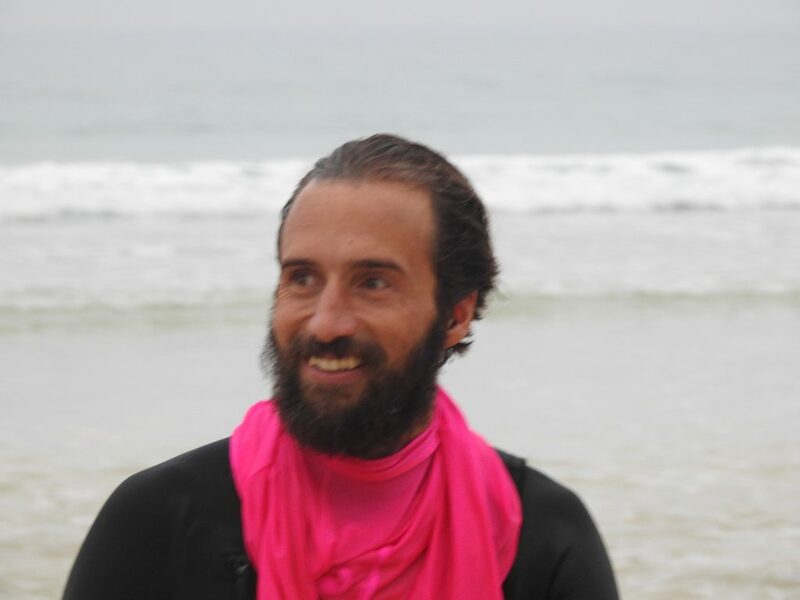 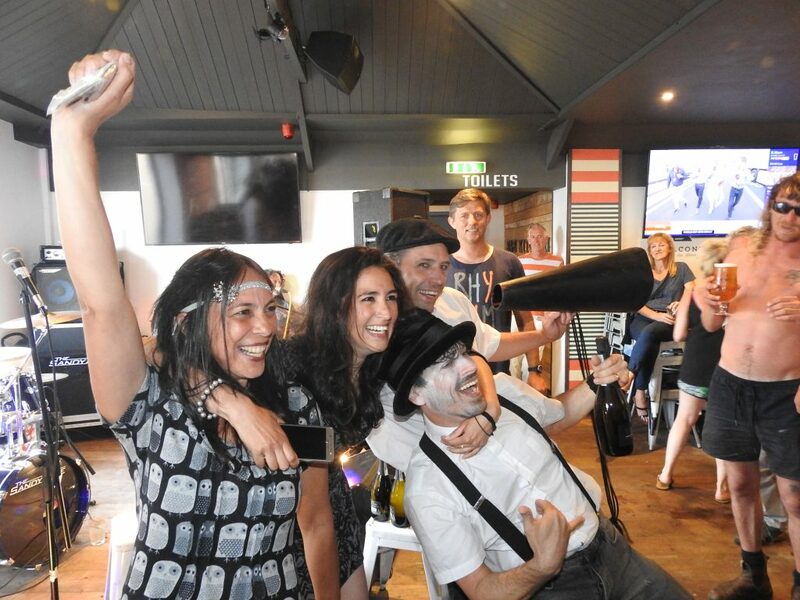 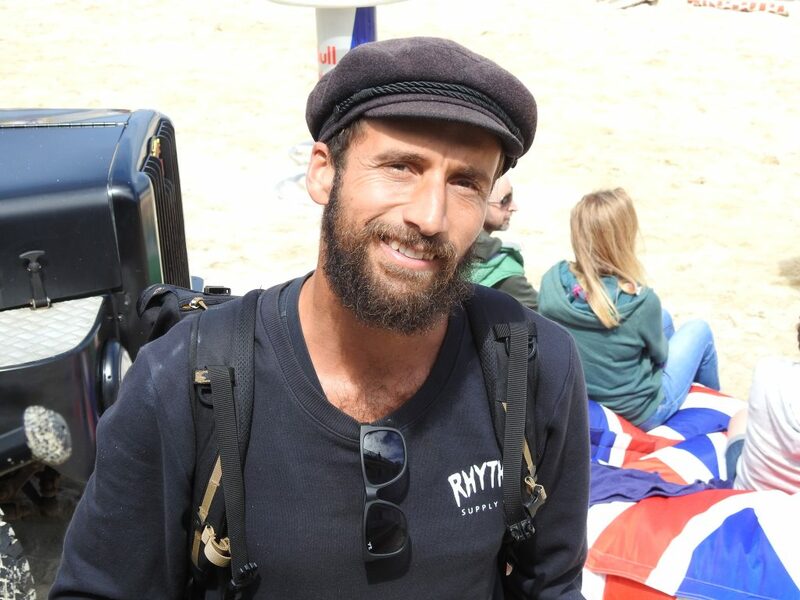 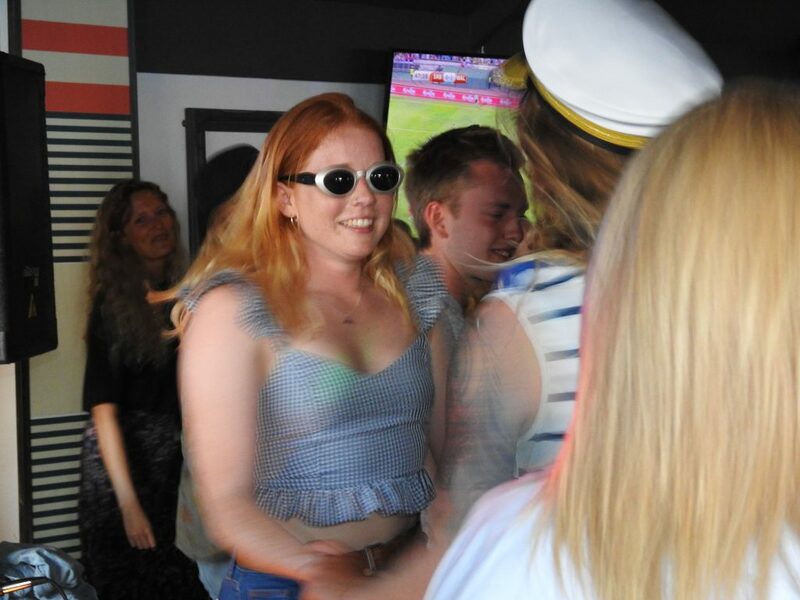 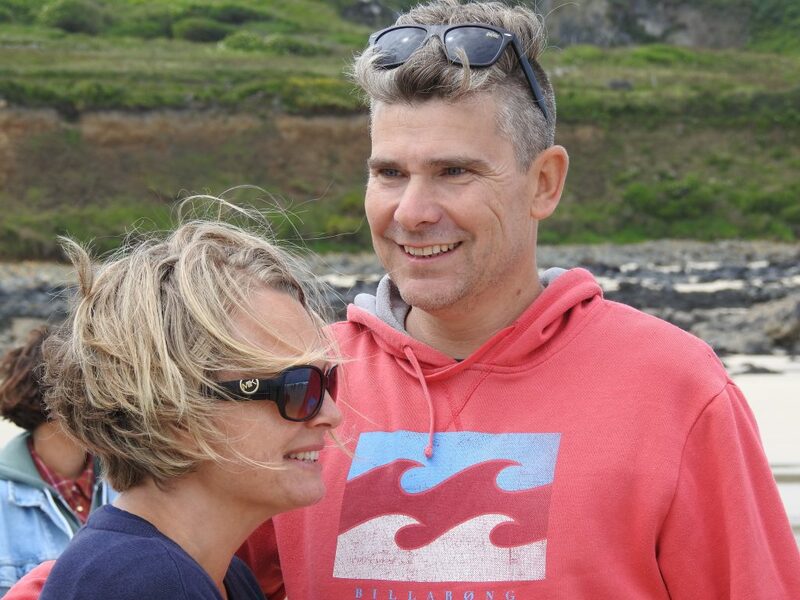 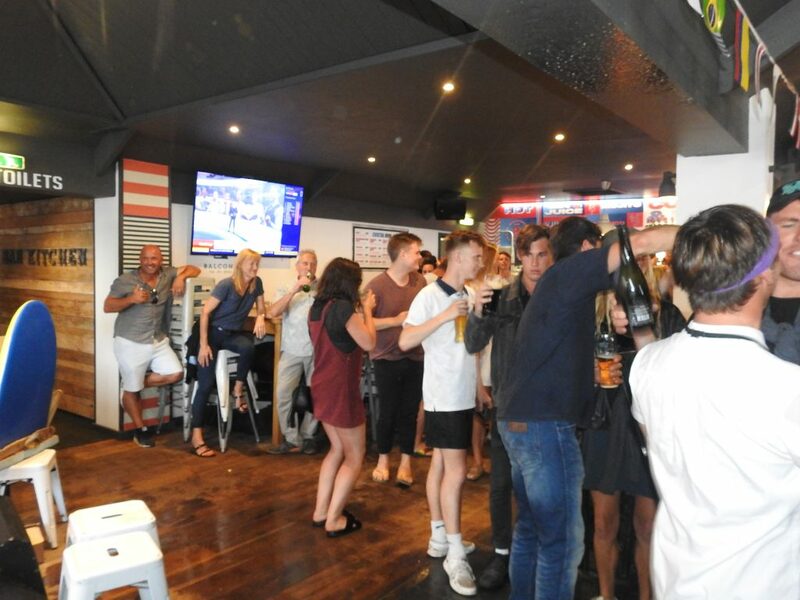 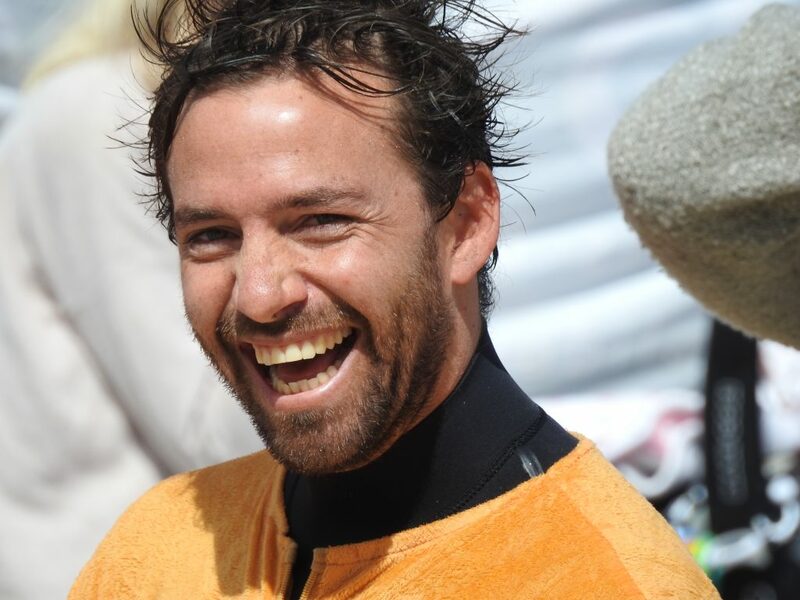 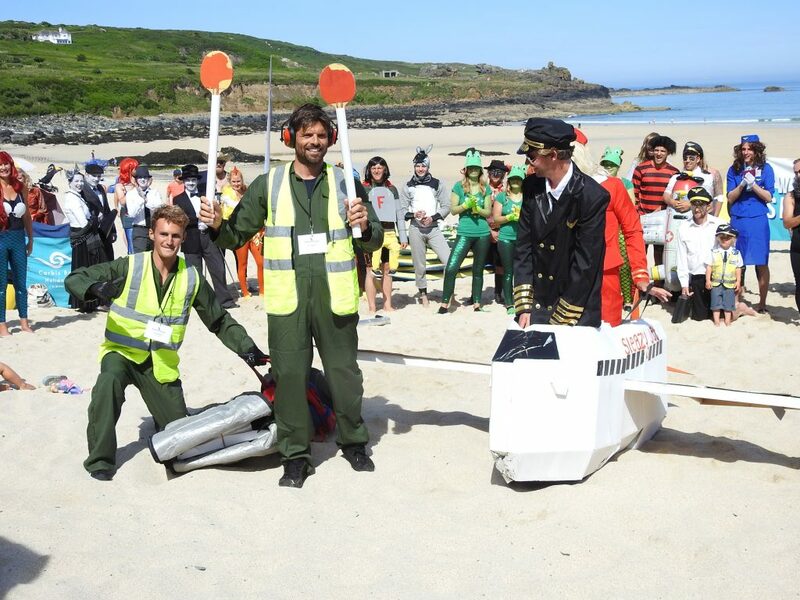 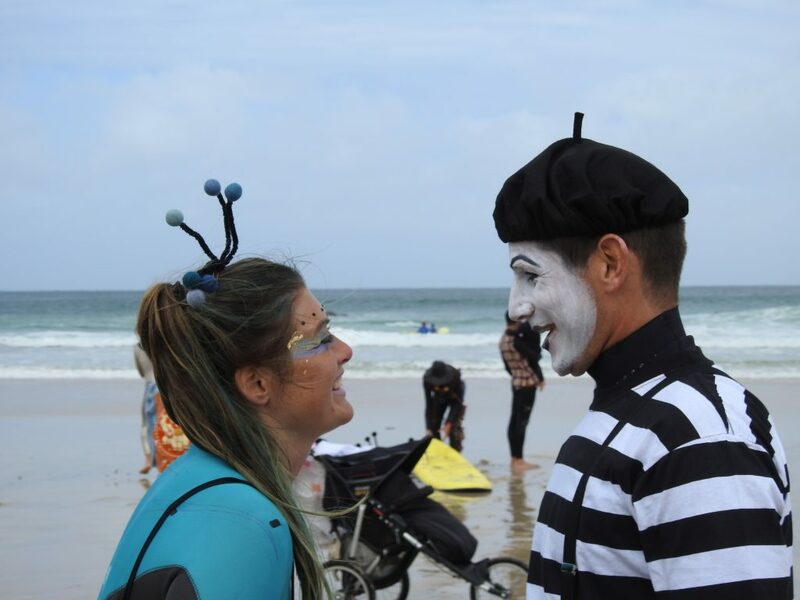 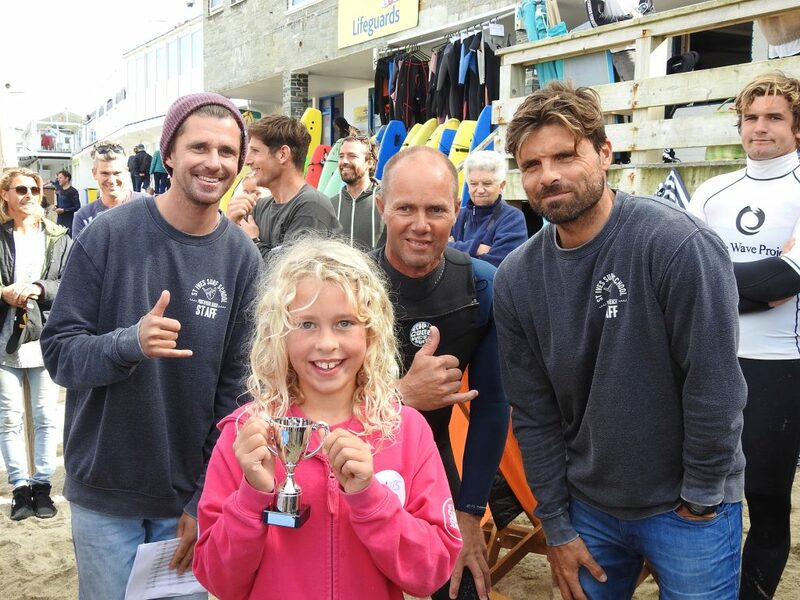 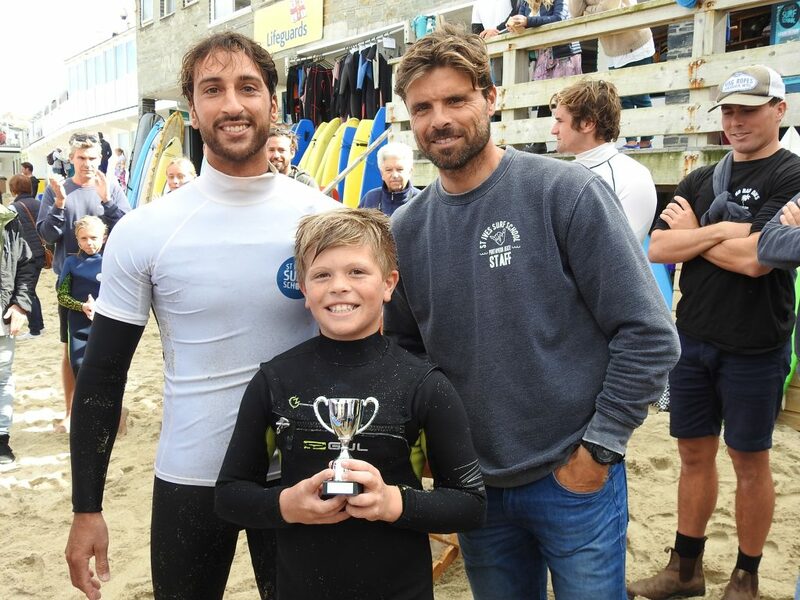 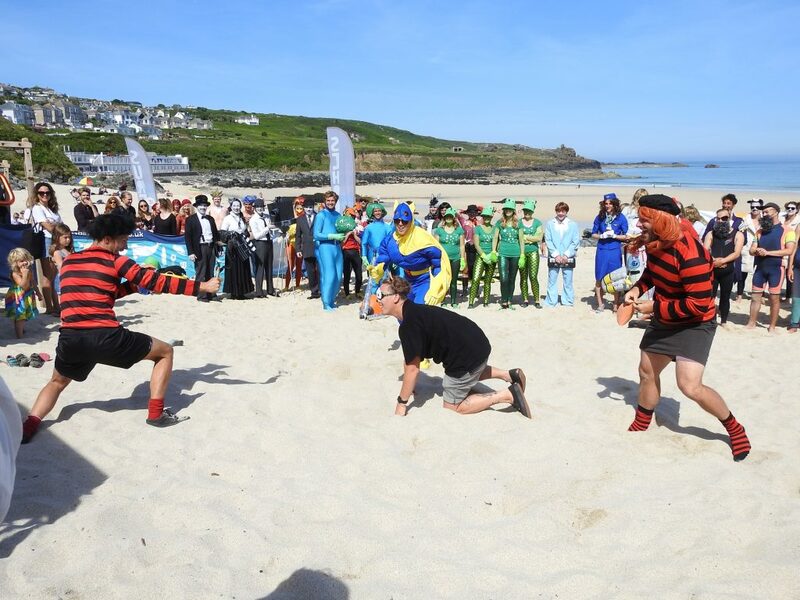 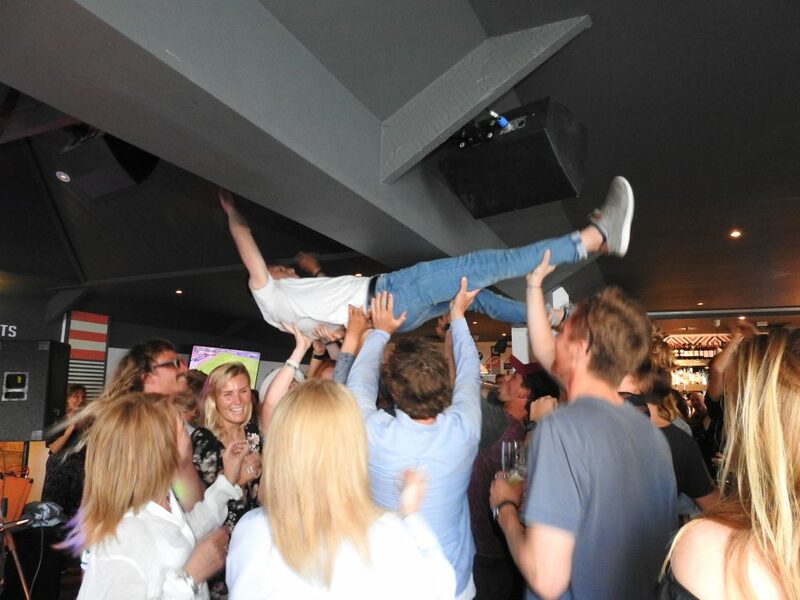 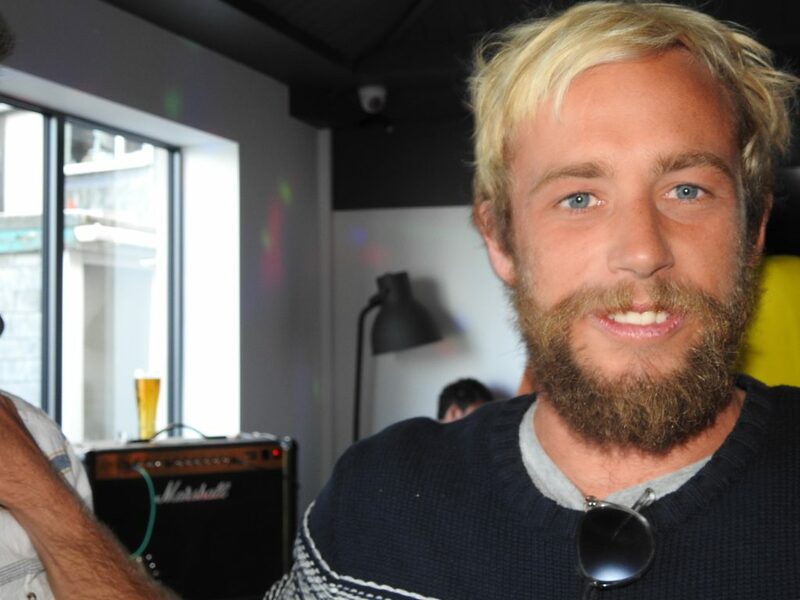 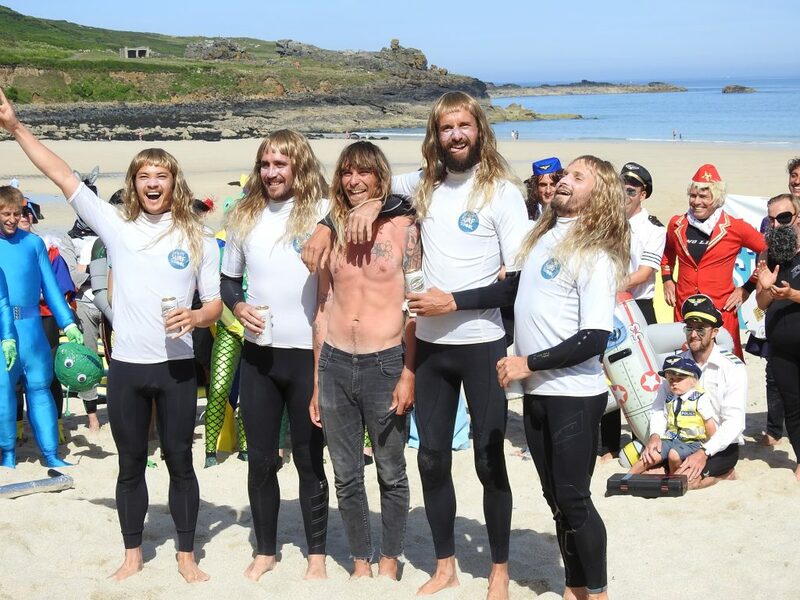 His efforts were thwarted at the very end of the contest as Bude’s Jobe Harris, home from his European QS campaign, found a buzzer-beater in the dying seconds to claim his first mens title. 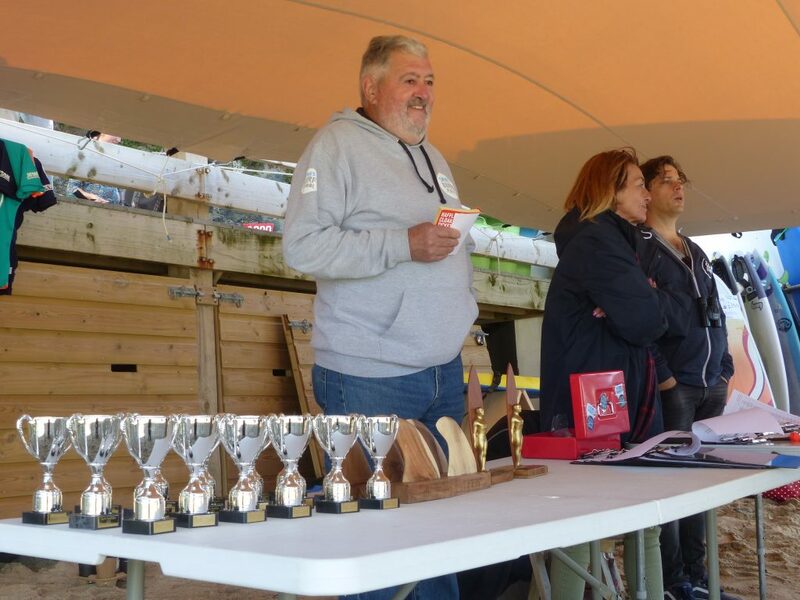 It was a great final to cap a great weekend of competition, and our banner picture shows Jayce, second left, within reach of the trophy which was so nearly his! 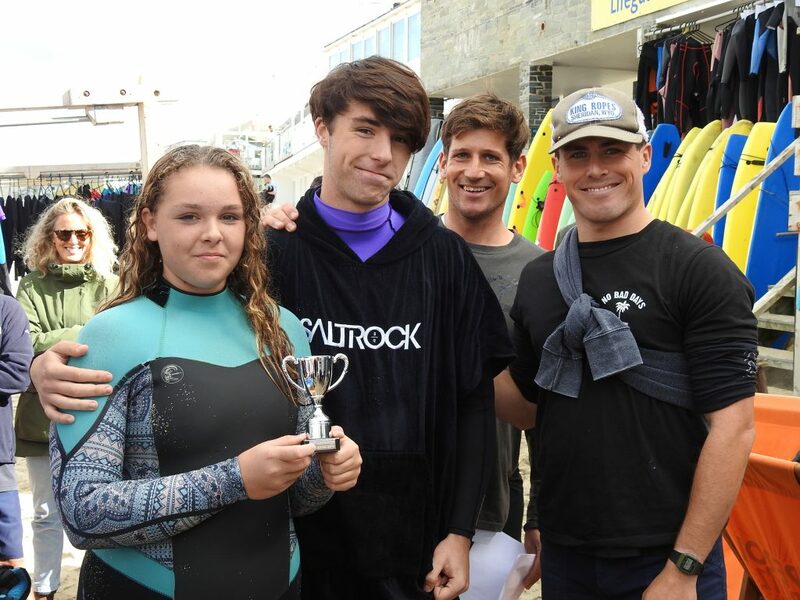 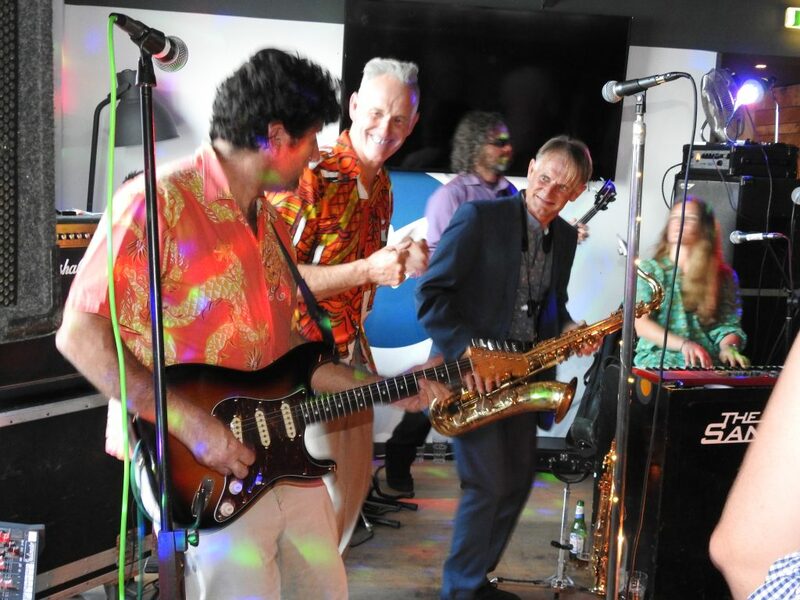 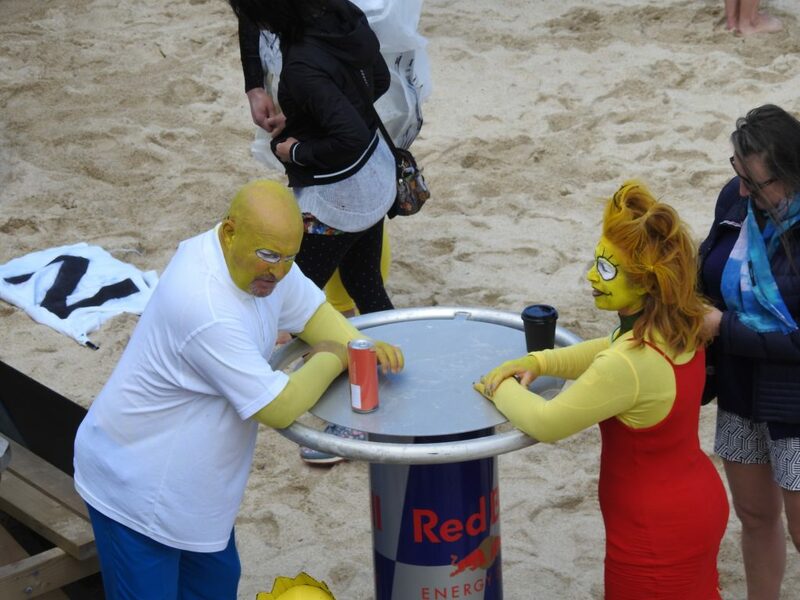 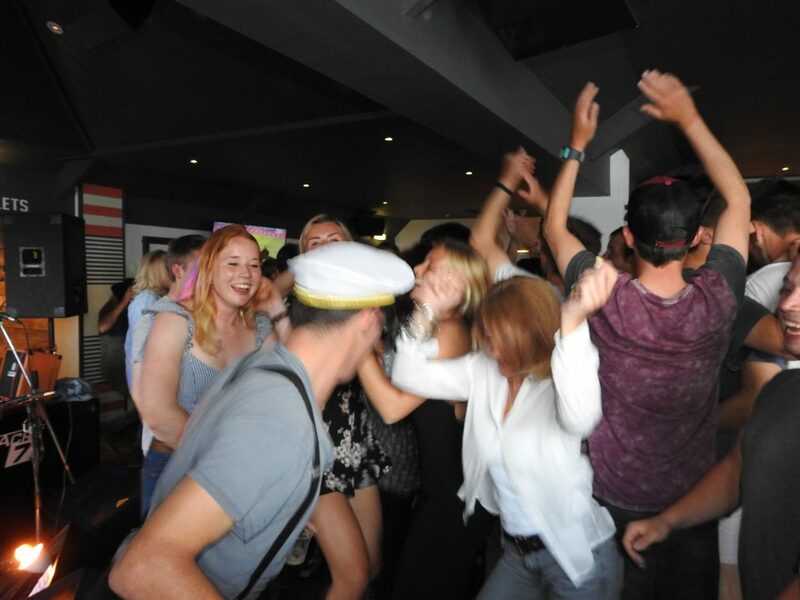 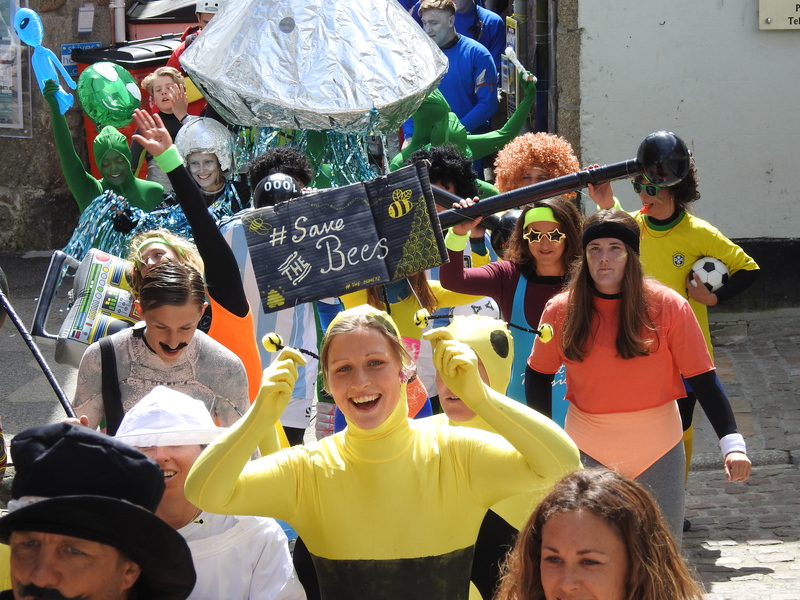 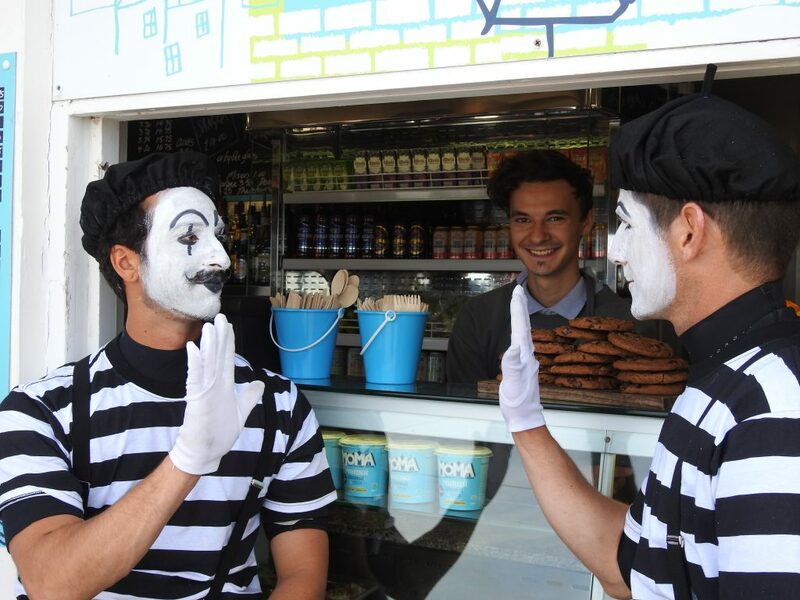 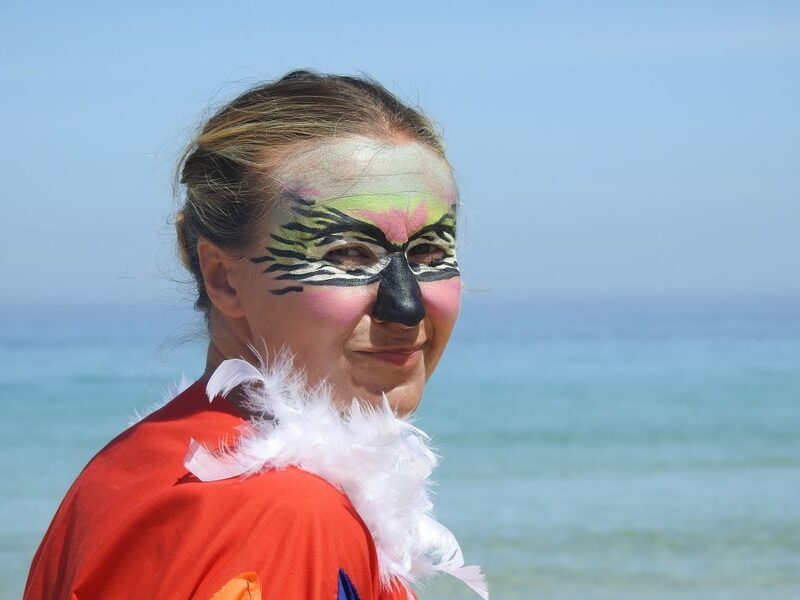 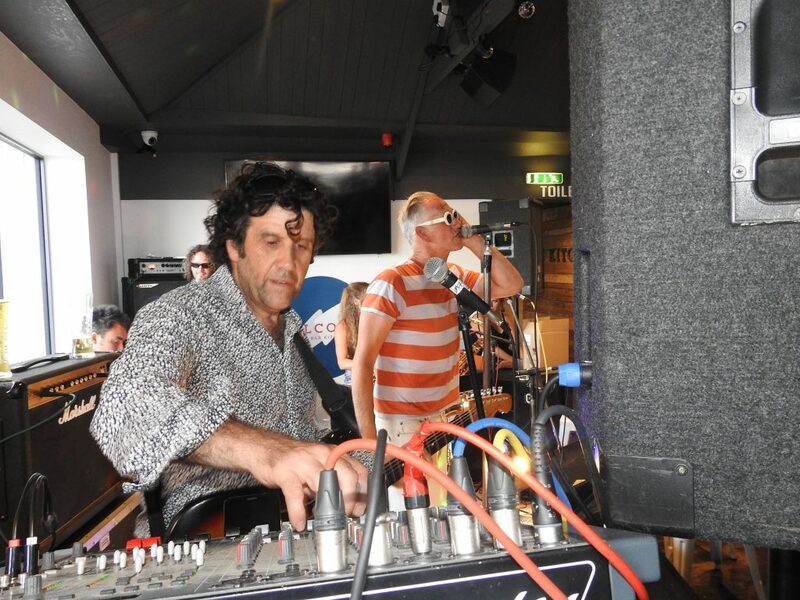 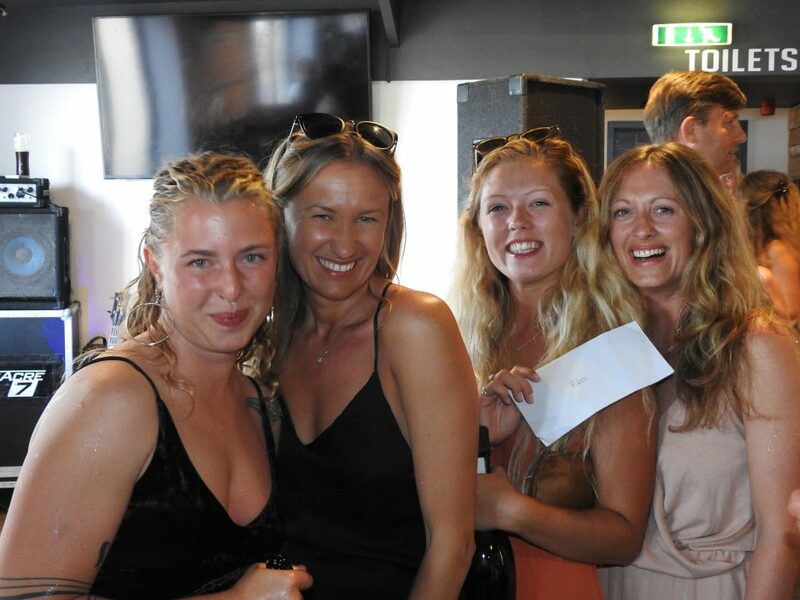 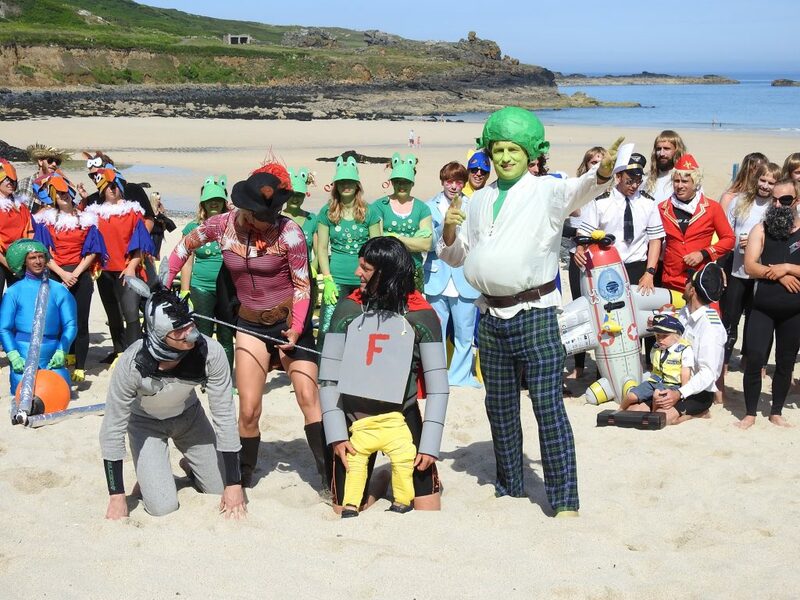 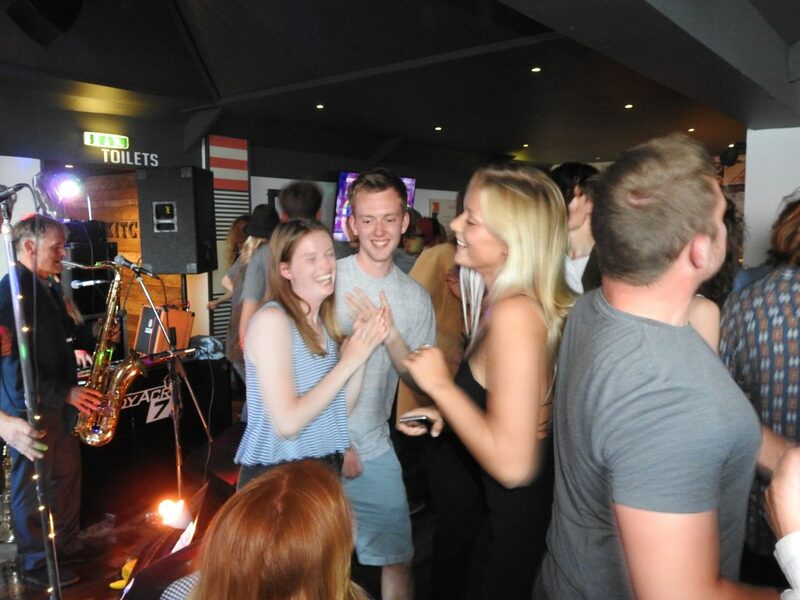 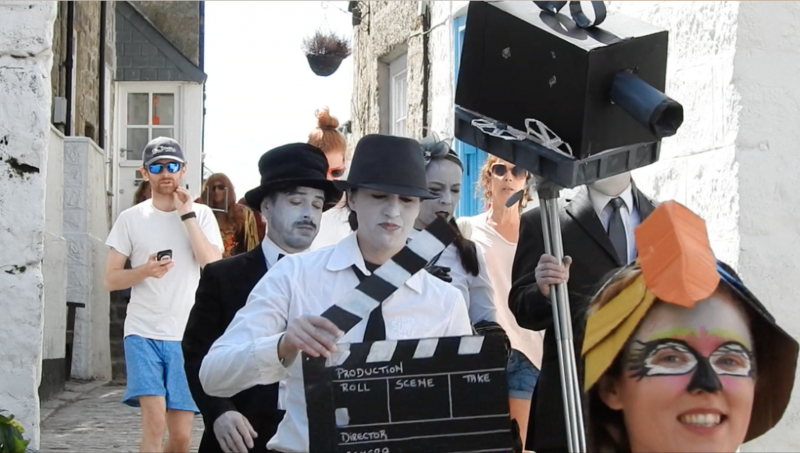 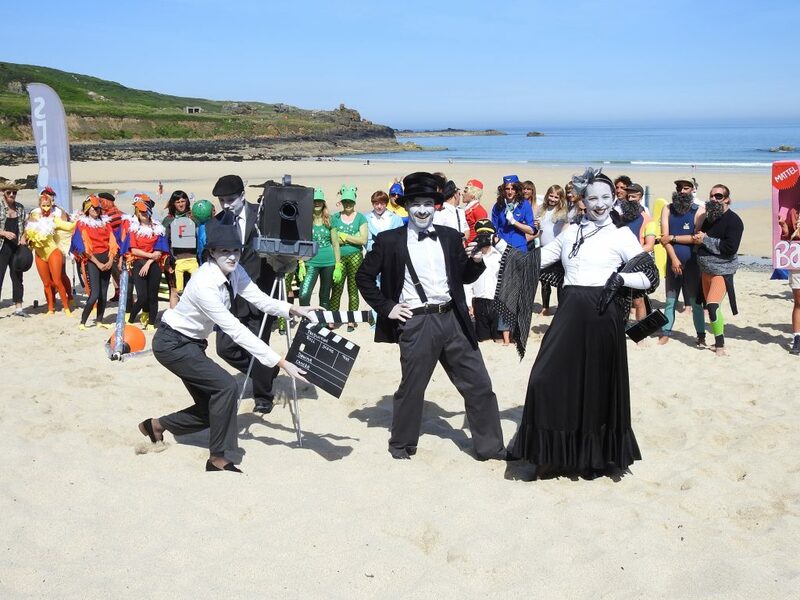 Well done to all our competitors – it’s been a fine show by everyone!